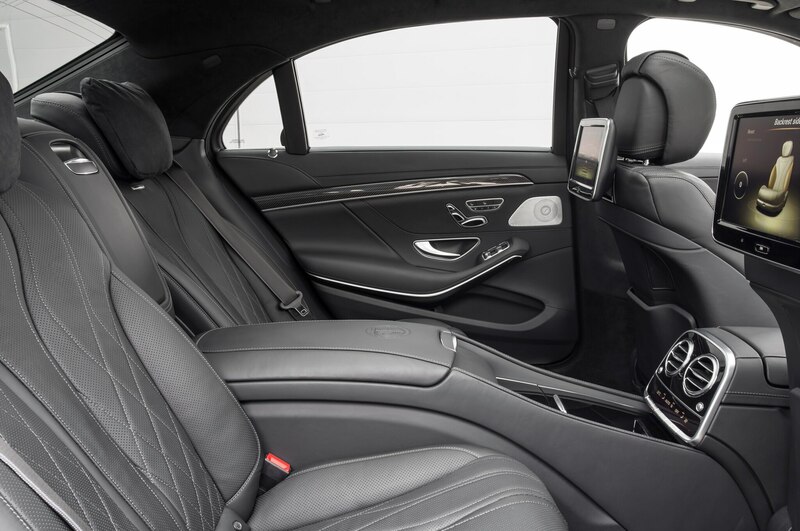 Aschau, Germany — Should I feel guilty for dozing in the back seat of the 2014 Mercedes-Benz S63 AMG while someone else drives? 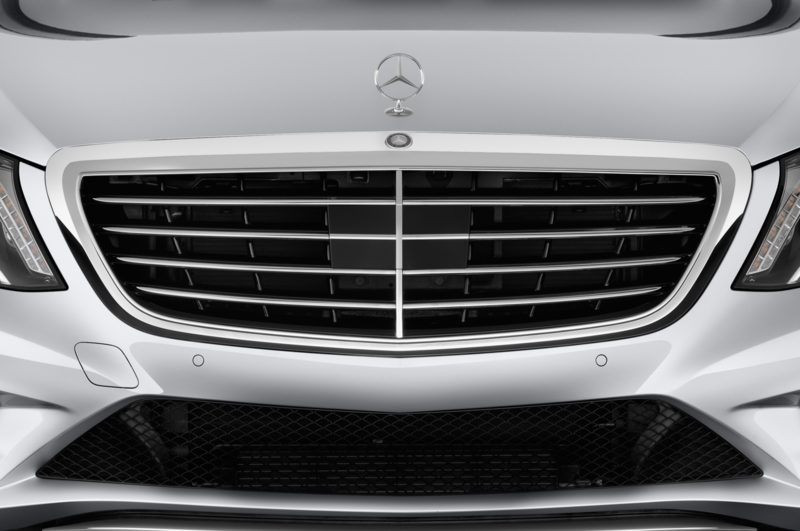 No, I should not. 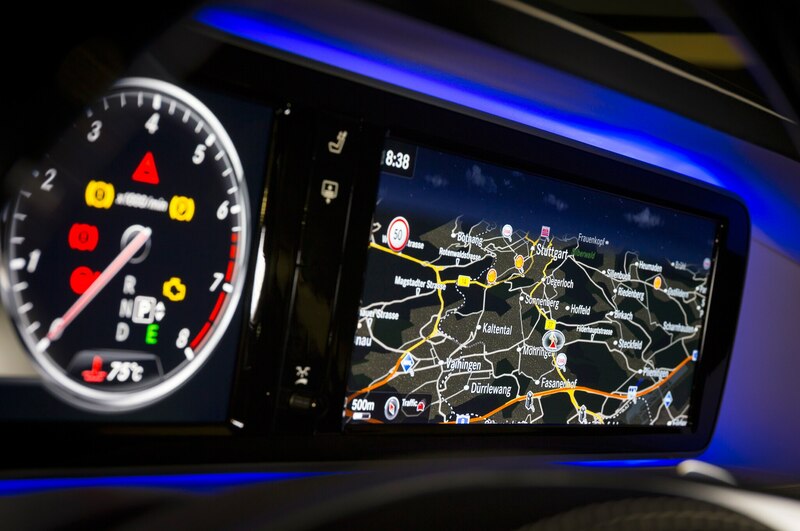 The best navigation display screen I’ve ever seen is guiding my colleague to our destination — a hotel near the border of German and Austria where we’ll have lunch — so he doesn’t need me to bark out directions from a map book. 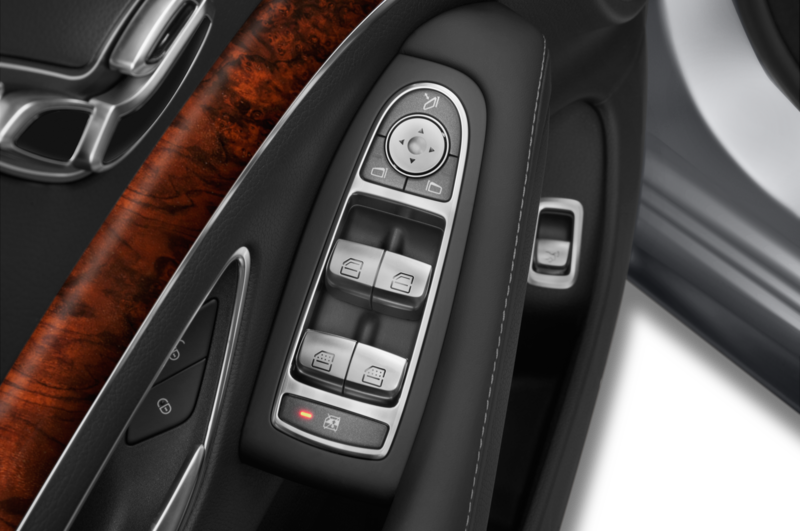 Besides, I’m busy playing with all the seat and television controls back here. 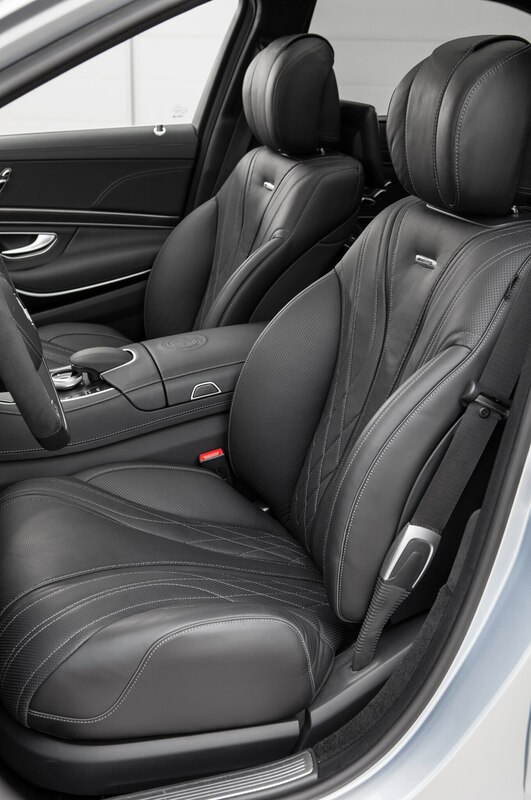 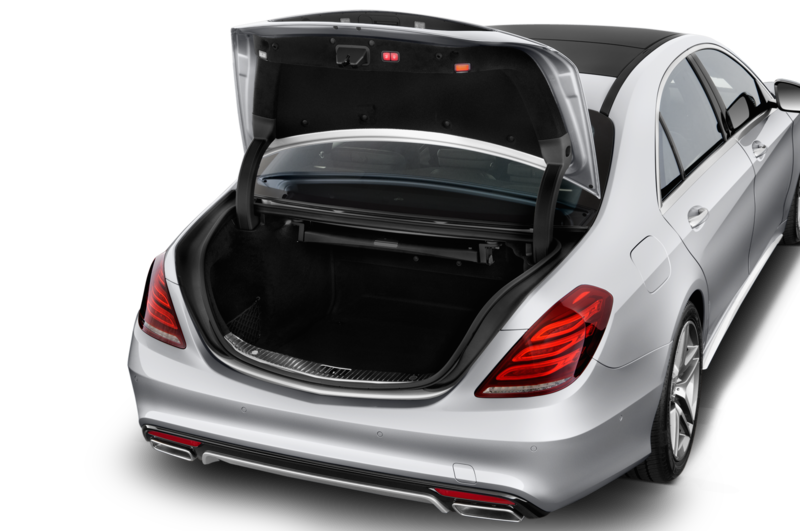 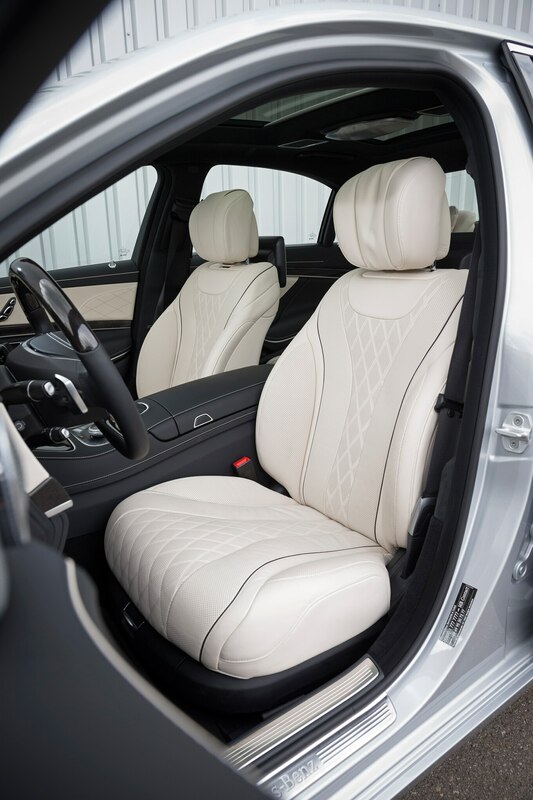 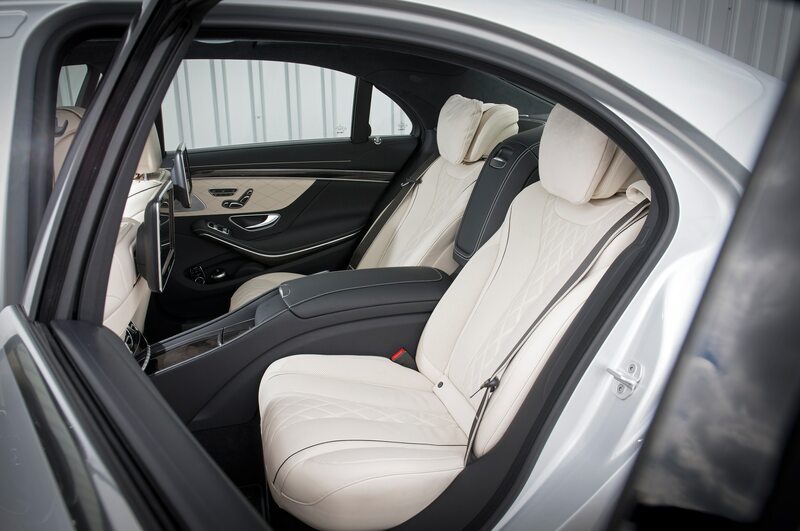 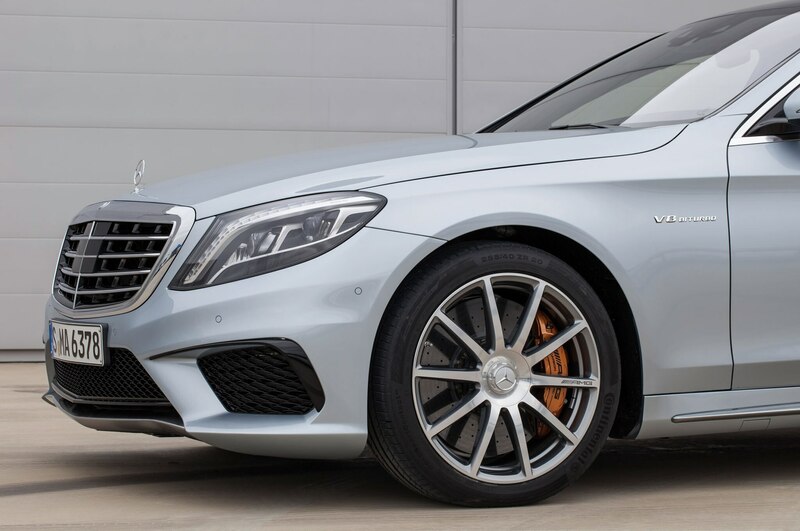 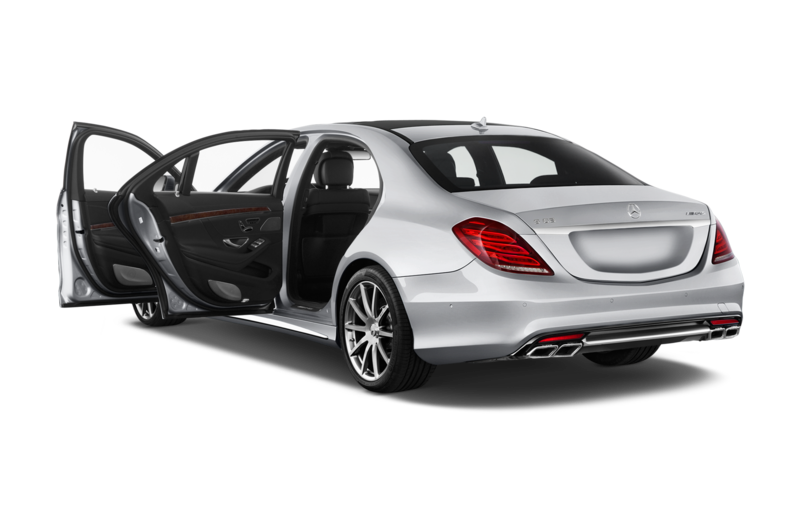 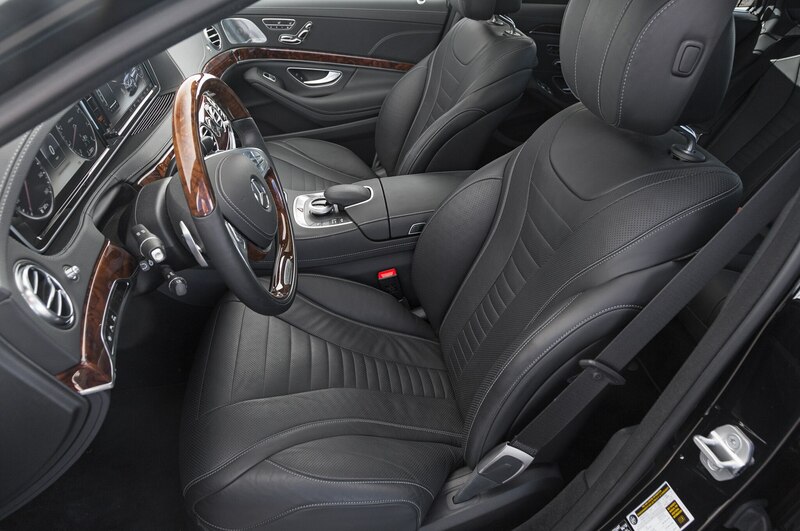 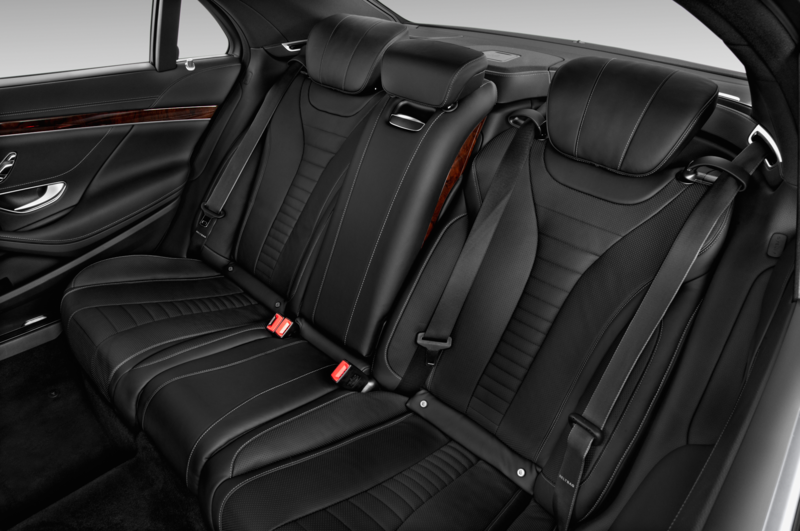 This 2014 Mercedes-Benz S63 AMG is equipped with the $3500 Executive Rear Seat package, which not only heats the armrests but also effectively turns the starboard rear spot into the equivalent of a business-class airliner seat. 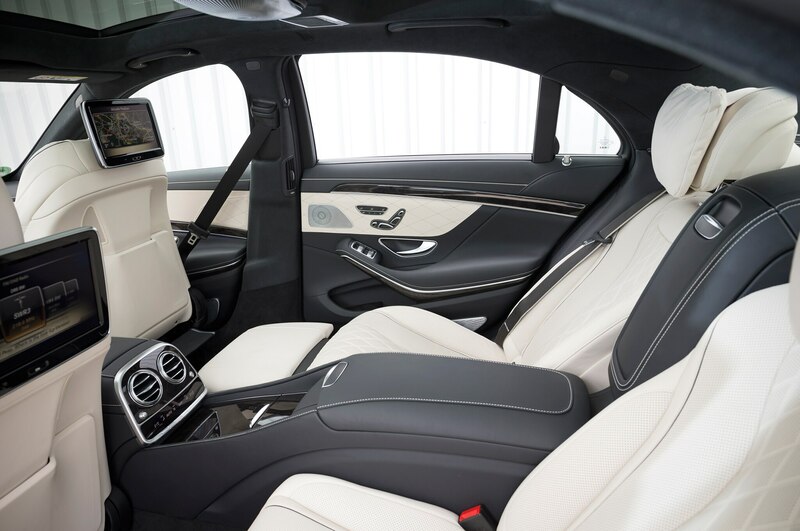 This is a better place to sit than a Boeing 787 Dreamliner. 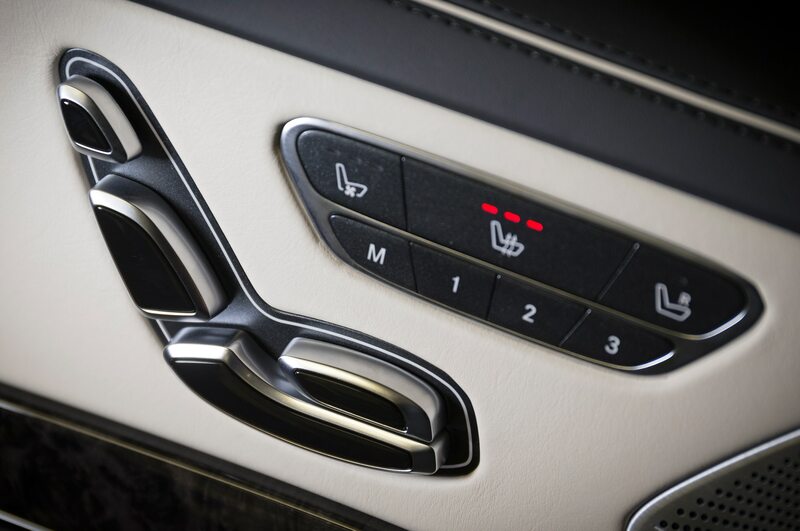 If only a Lufthansa flight attendant would bring me a cool drink. 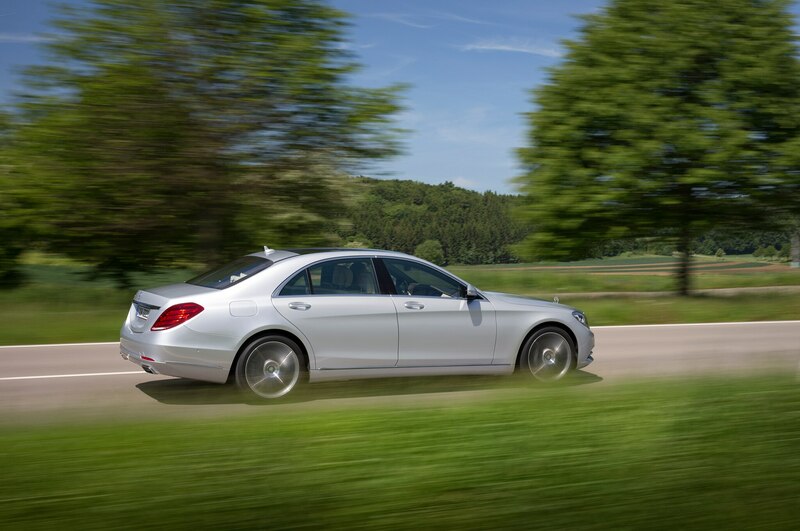 Sadly our route is awash with rain, so we’ve abandoned any fantasies of storming along the autobahn at 155 mph. 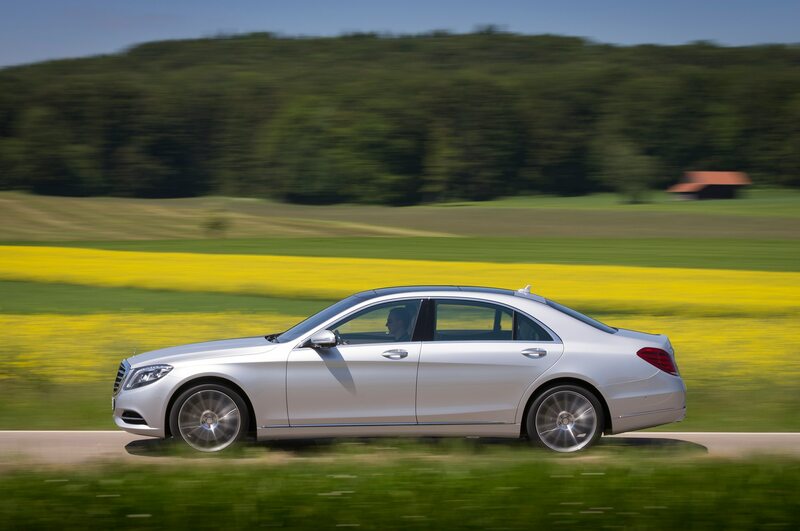 In fact, we have been obliged by our hosts at Mercedes-Benz to spend most of our time with this car on twisting two-lane roads crowded with Opel microvans and Volkswagen Polos. 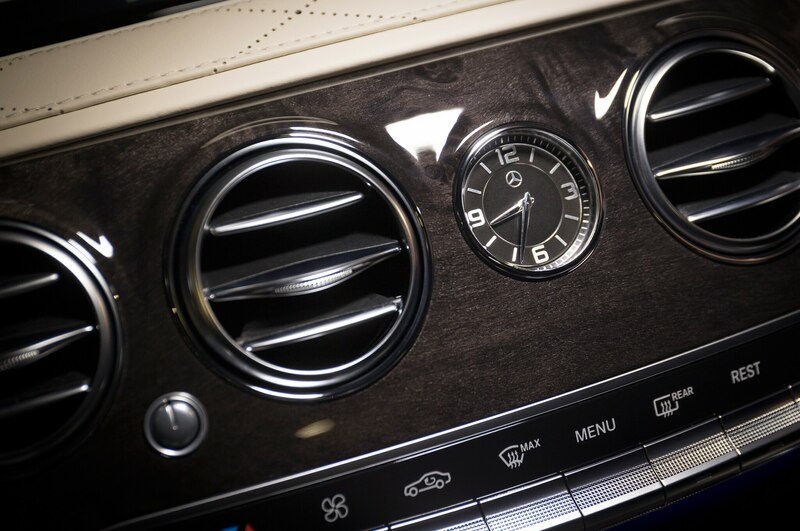 Not that we’re complaining. 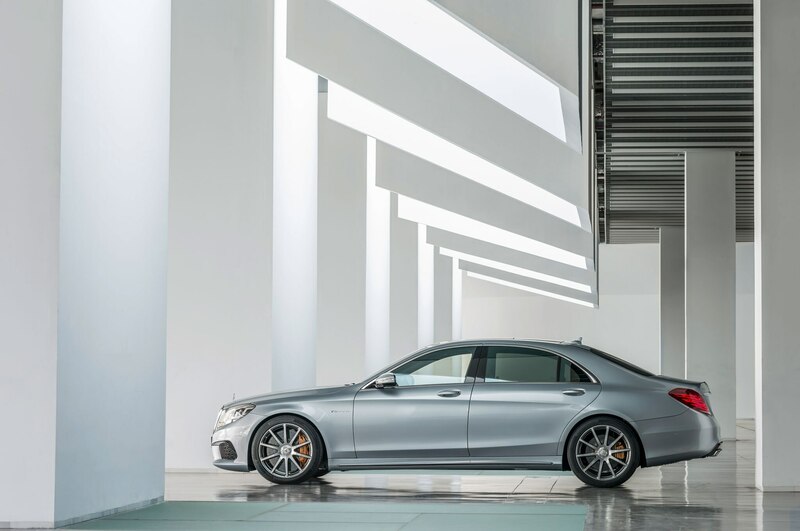 The 2014 S63 AMG feels like an impregnable fortress, one that’s lined with supple diamond-stitched nappa leather and which happens to be gliding along on 20-inch tires. 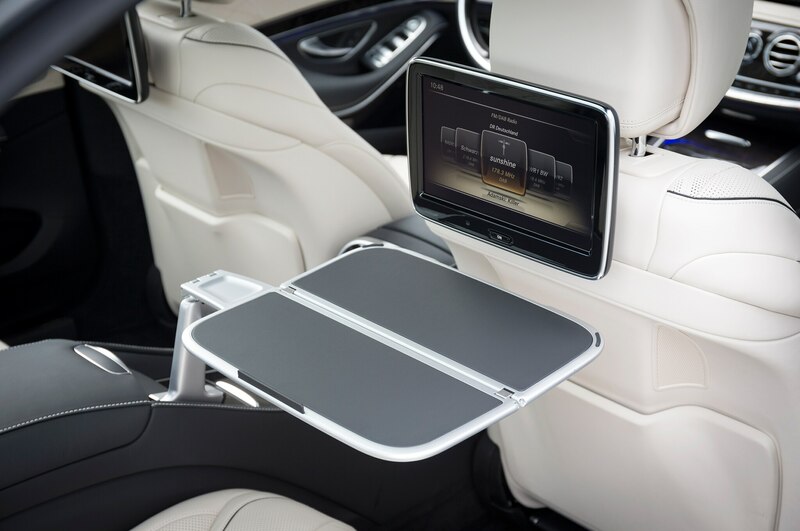 Could we just have our lunch here in the car, please? 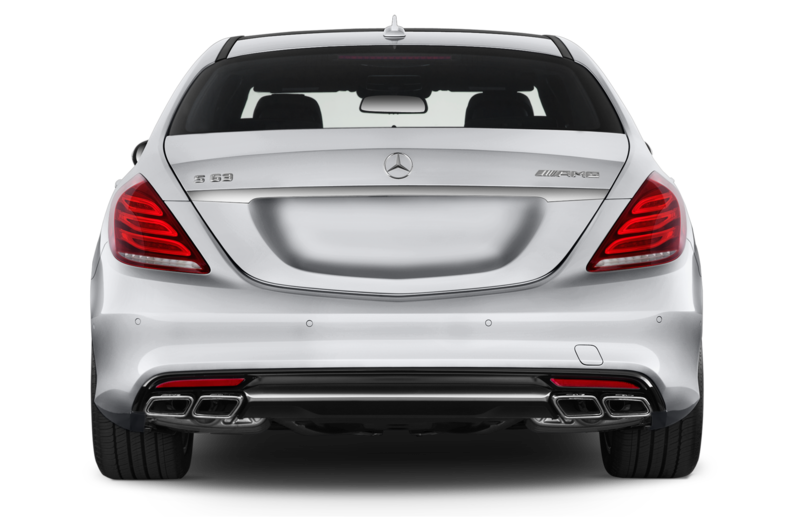 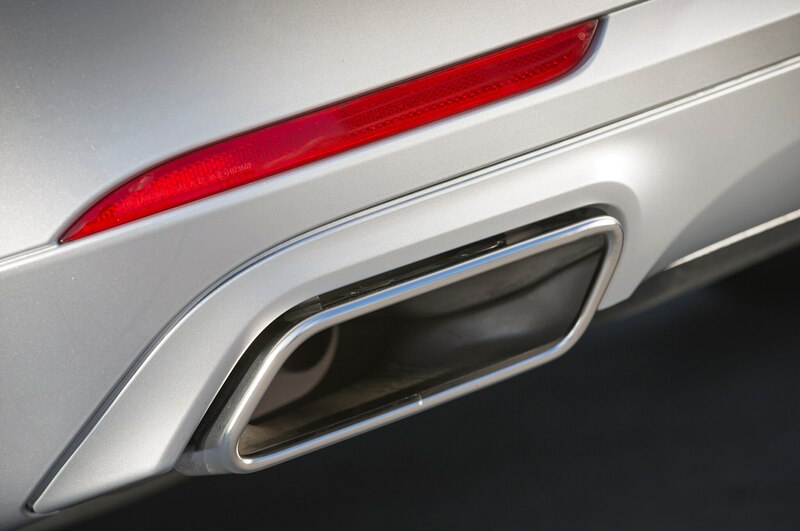 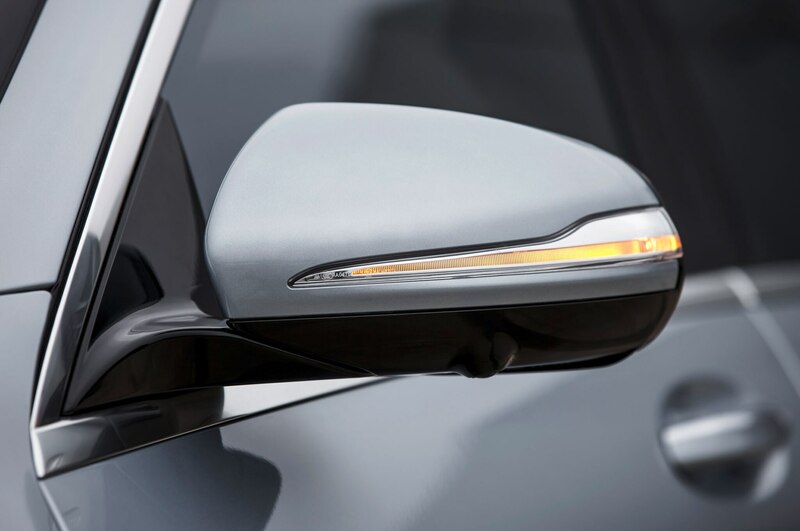 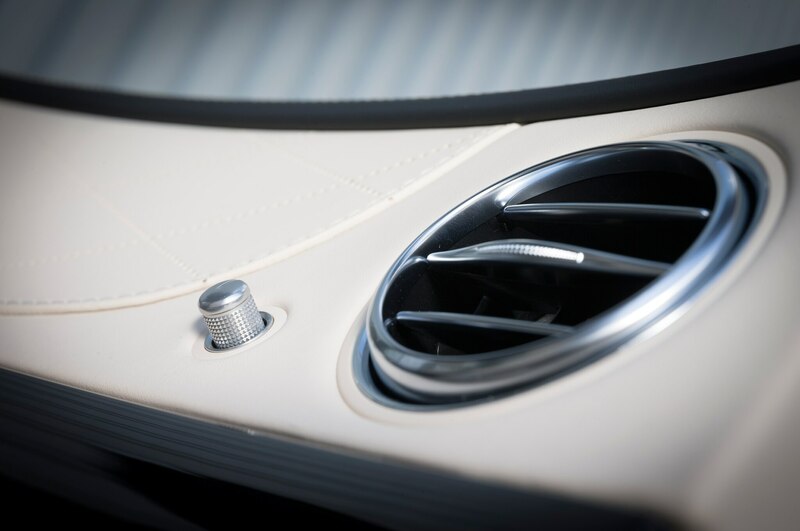 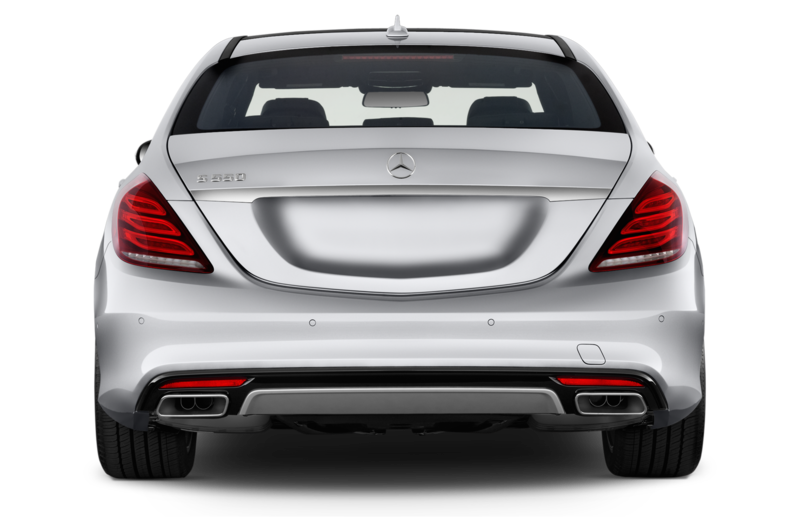 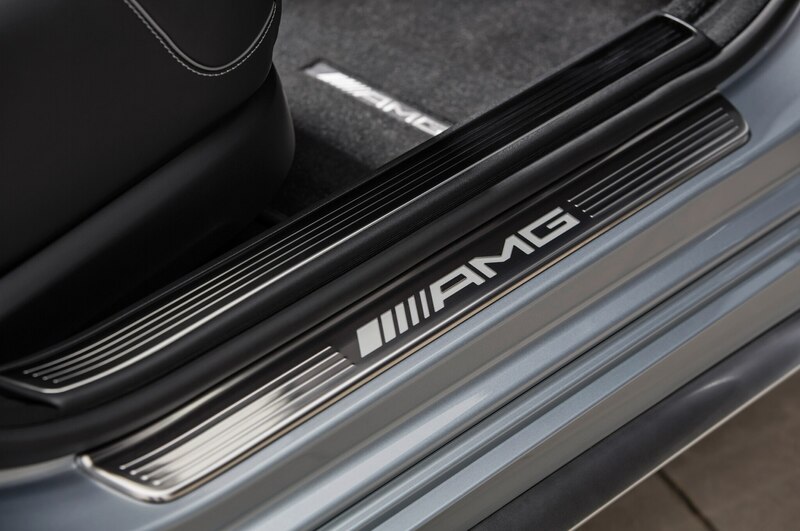 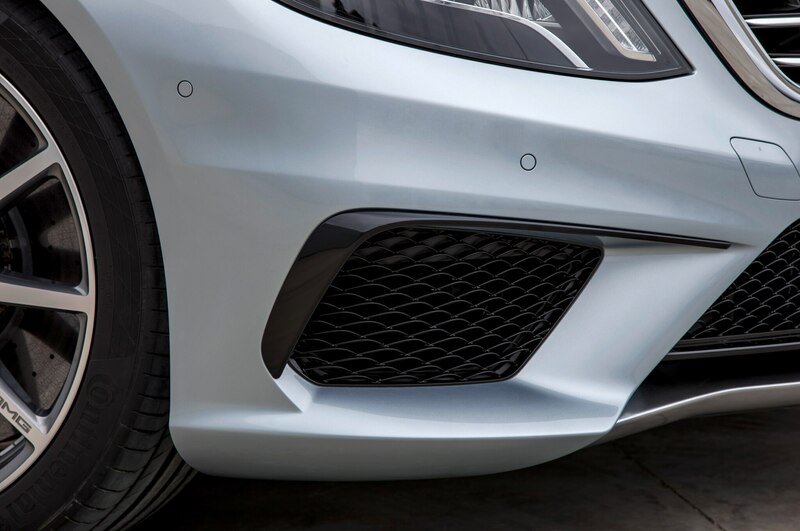 And what you hear is the AMG sport exhaust system, which has flaps that open for the full tailpipe serenade when the transmission is in Sport or Manual mode. 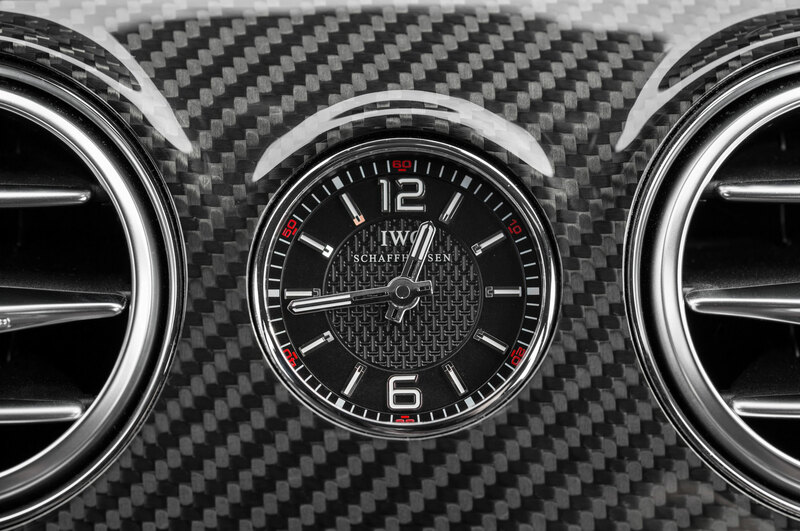 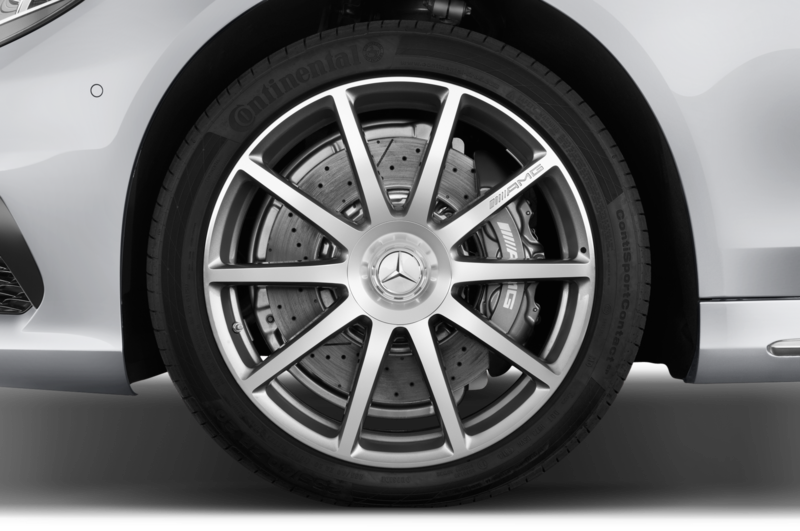 You might also occasionally hear a slight grinding noise from the standard carbon-composite brakes, a small price to pay for serious bite, resistance to fading, and (surprise) excellent pedal modulation. 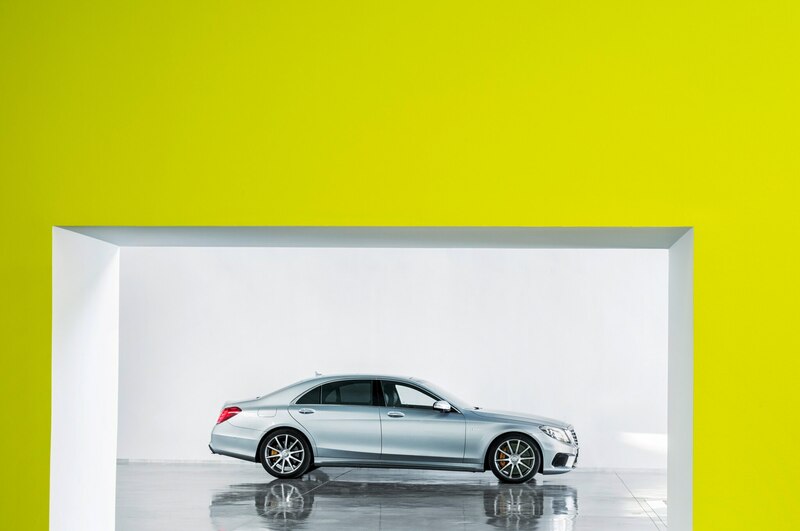 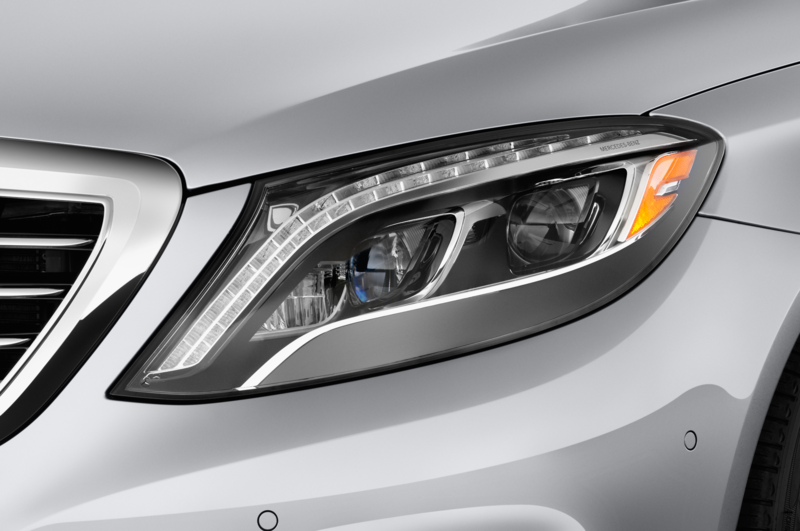 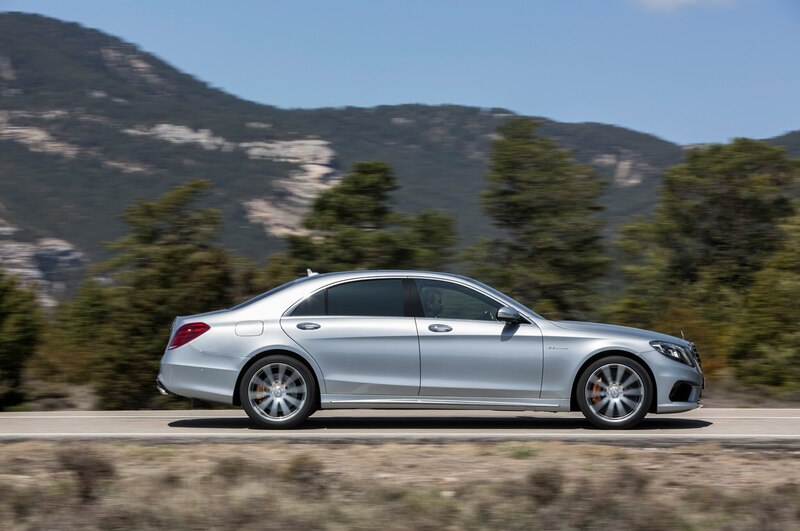 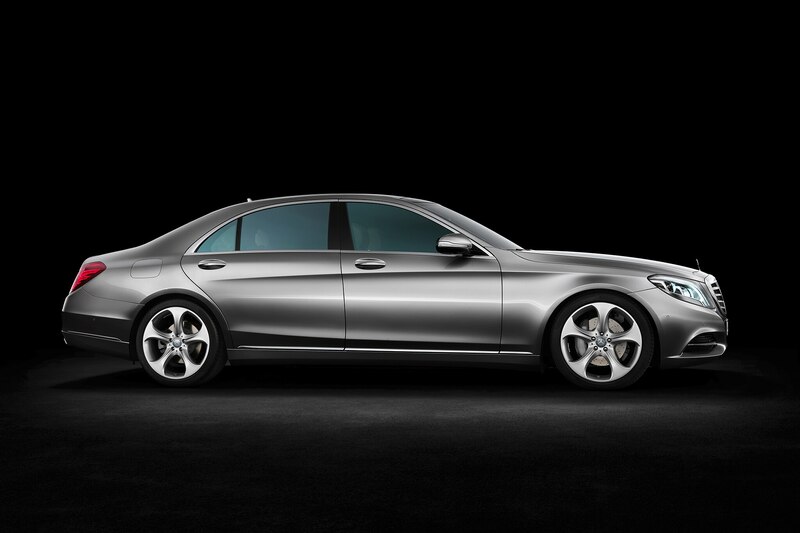 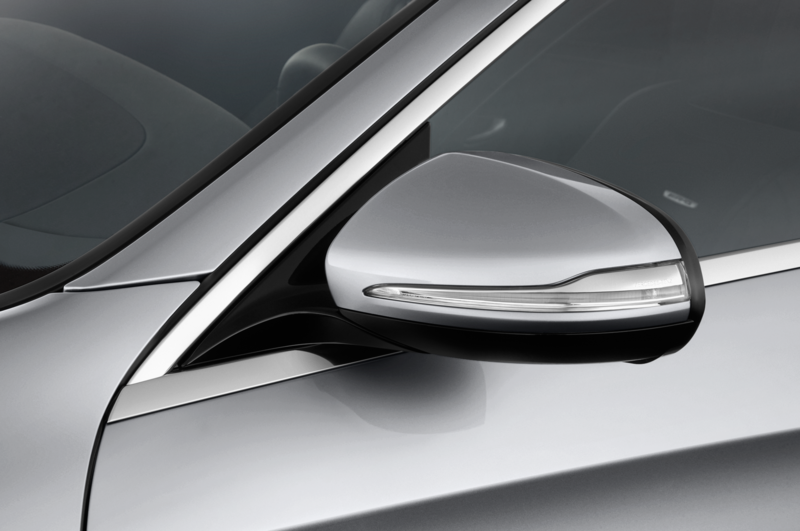 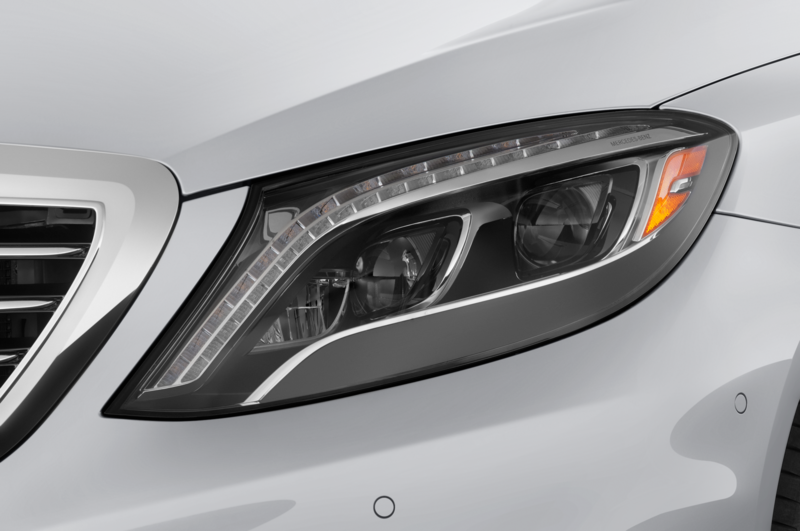 Of course, the 2014 S63 AMG is no light and lithe sporting sedan. 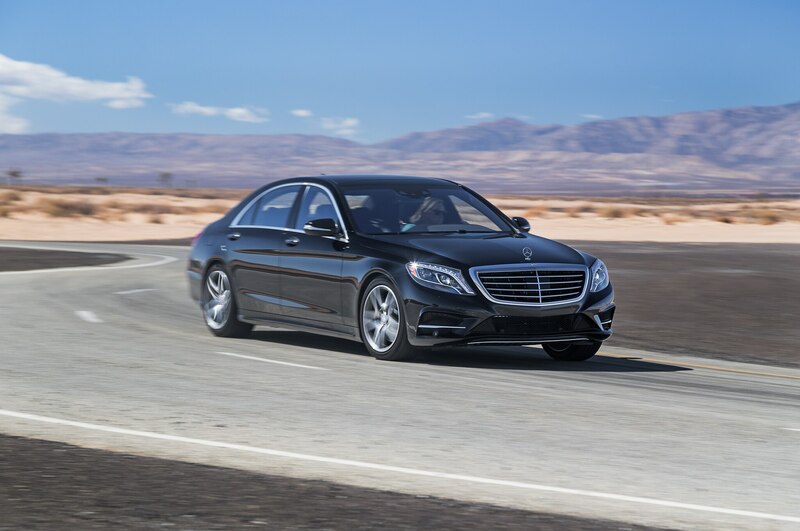 Although the curb weight is said to be about 4400 lb, the selection of test cars that we drove felt heavier, a feeling that was exacerbated by the artificially heavy effort level of the steering. 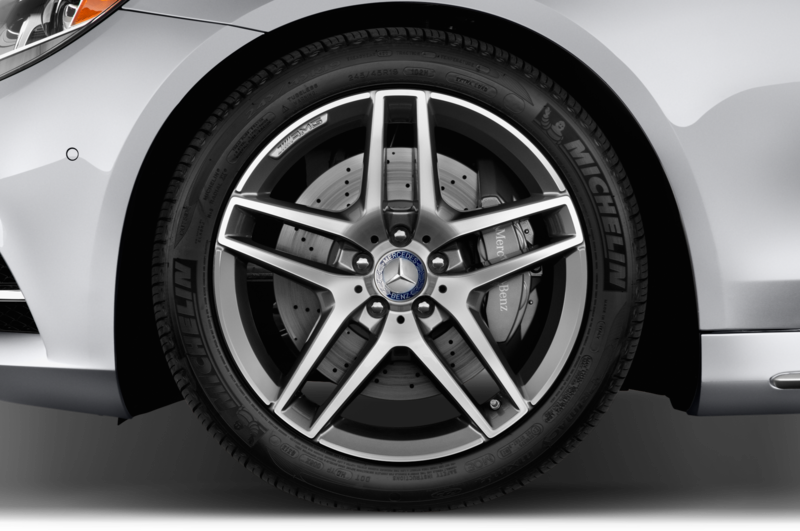 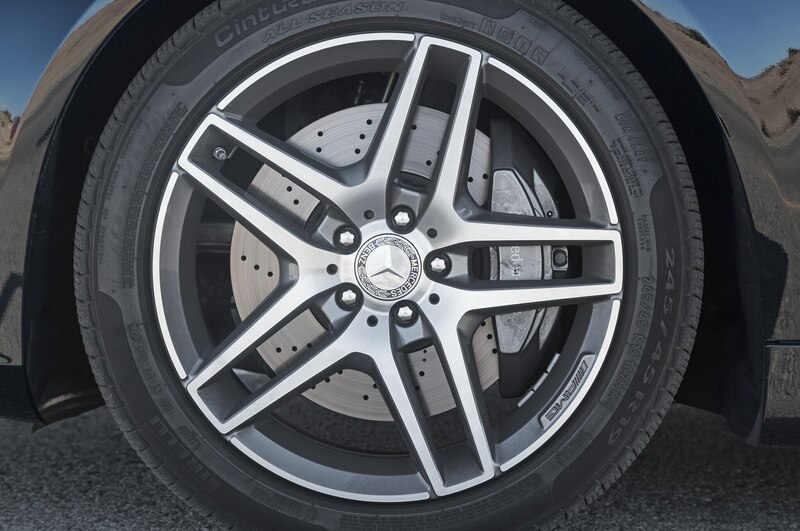 Fortunately once you switch the AMG sport suspension to its comfort setting, there’s a bit more lightness in the wheel action. 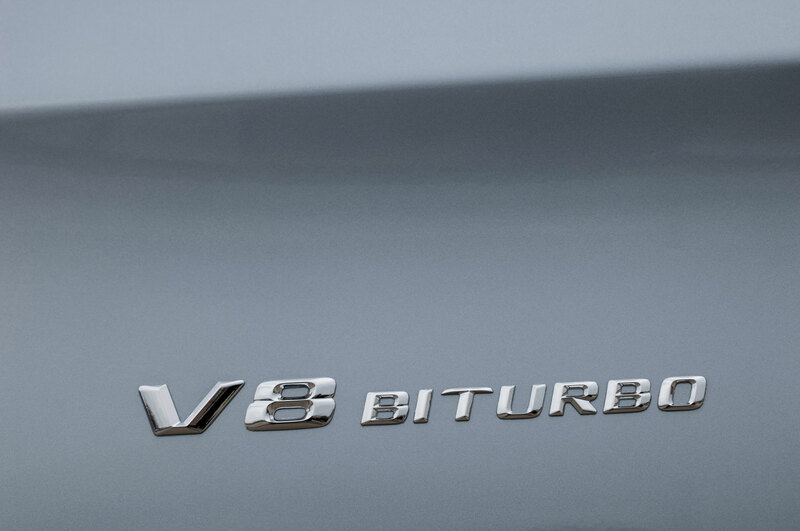 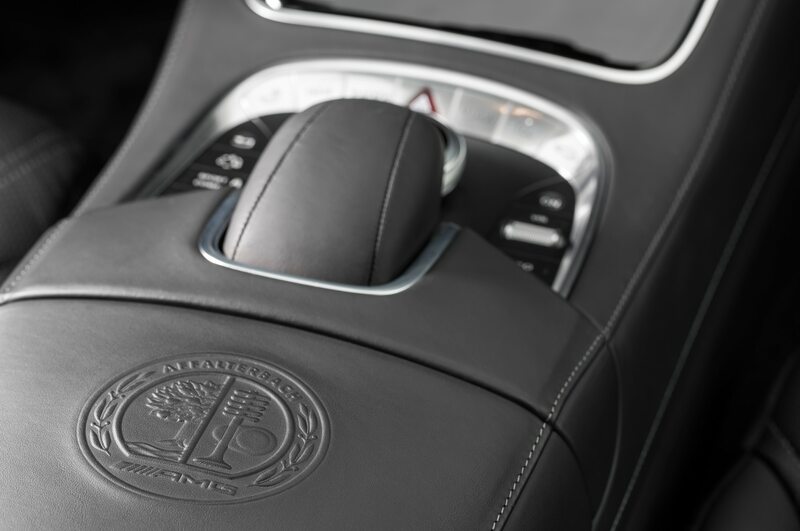 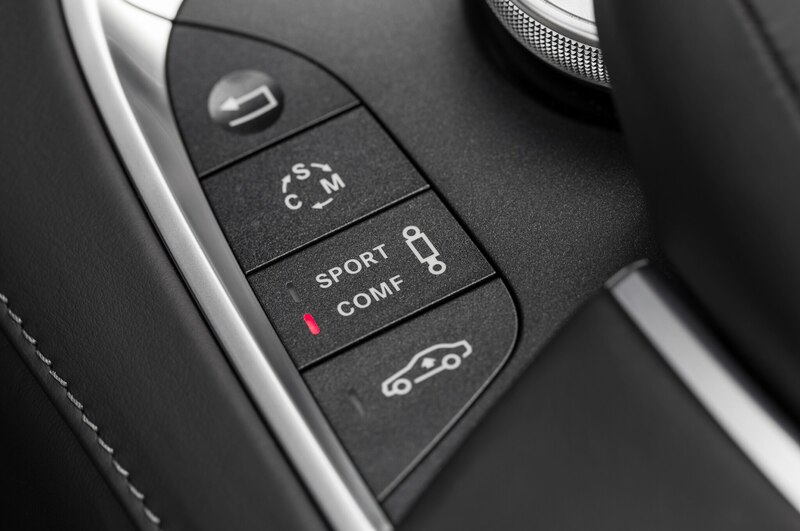 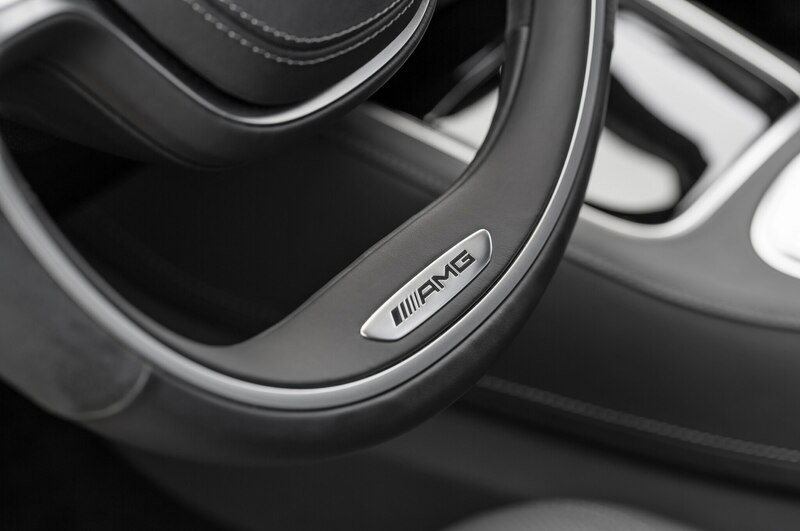 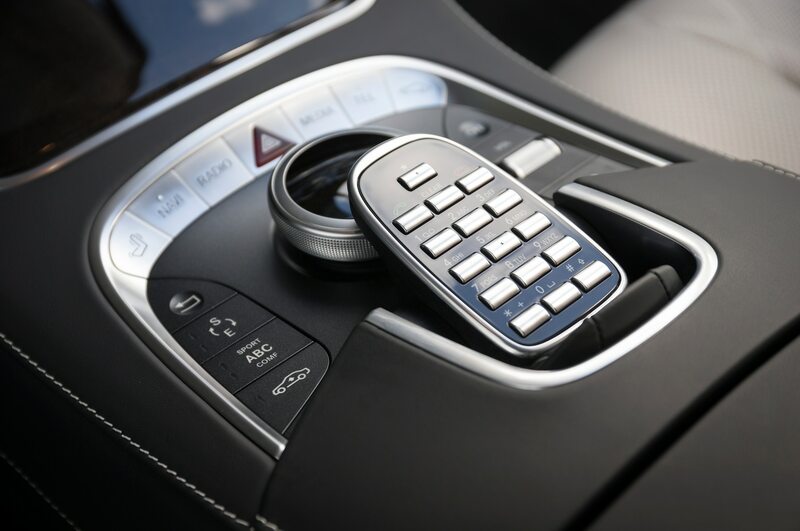 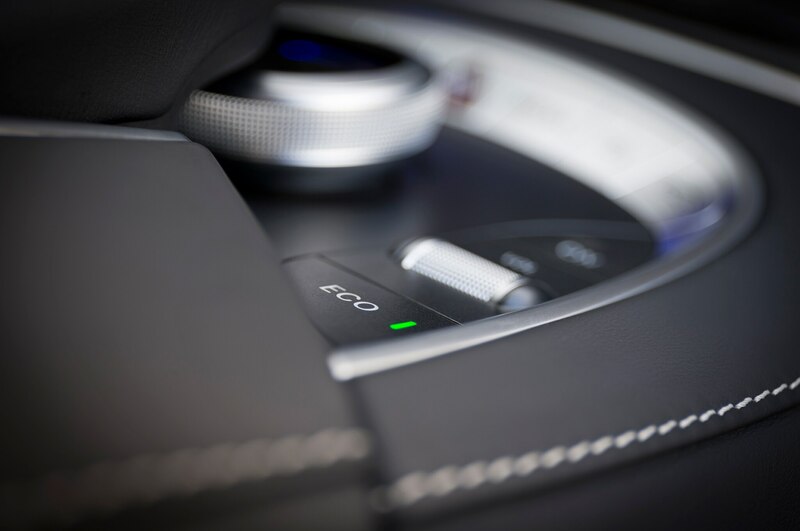 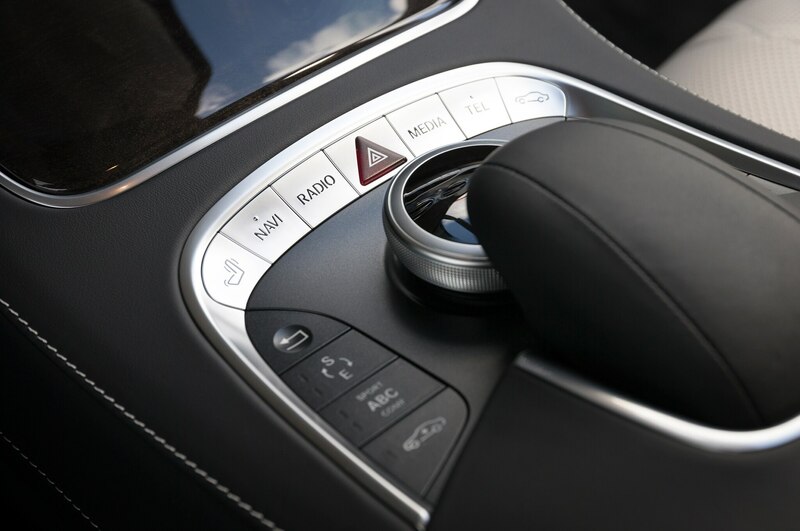 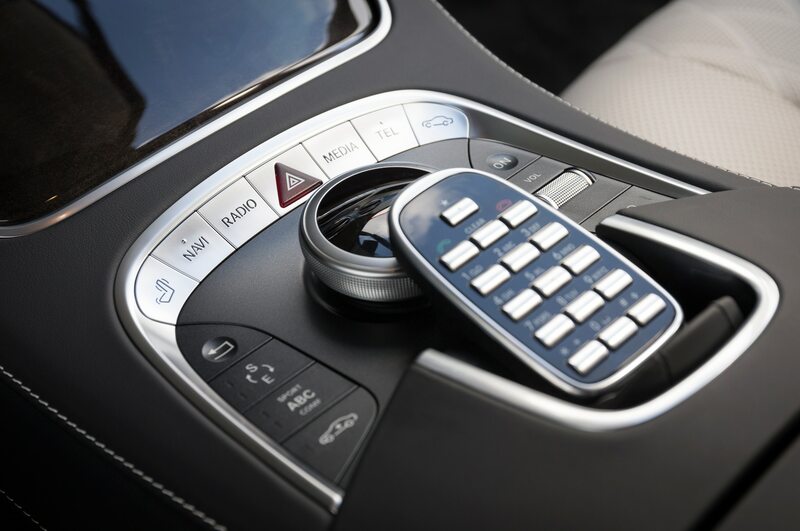 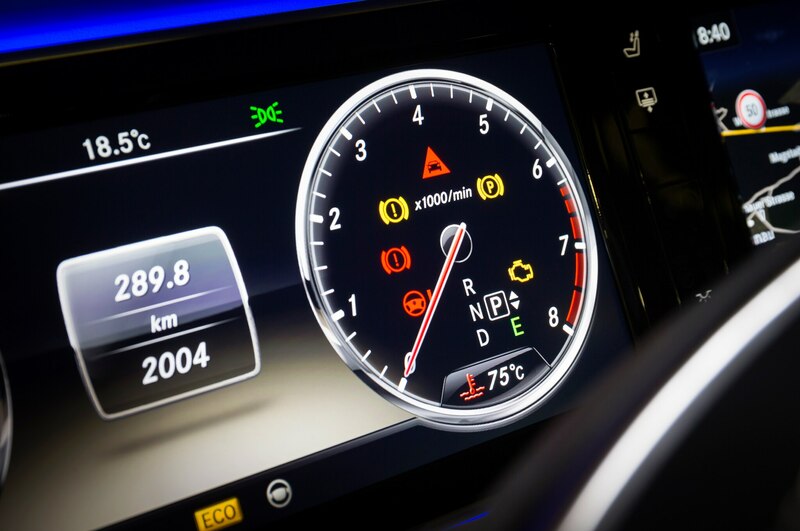 Meanwhile, the usual seven-speed automatic transmission from AMG can be set to C (controlled efficiency, or Eco mode, with engine start-stop function); S (sport); or M (manual shifting via paddles). 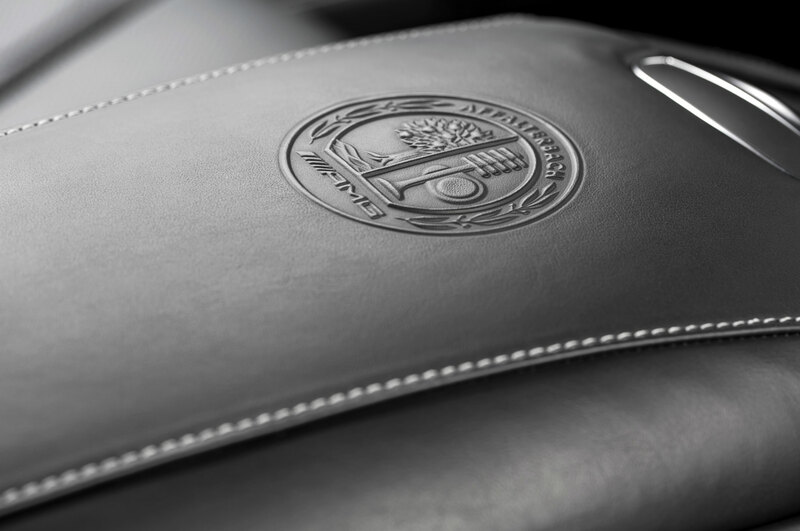 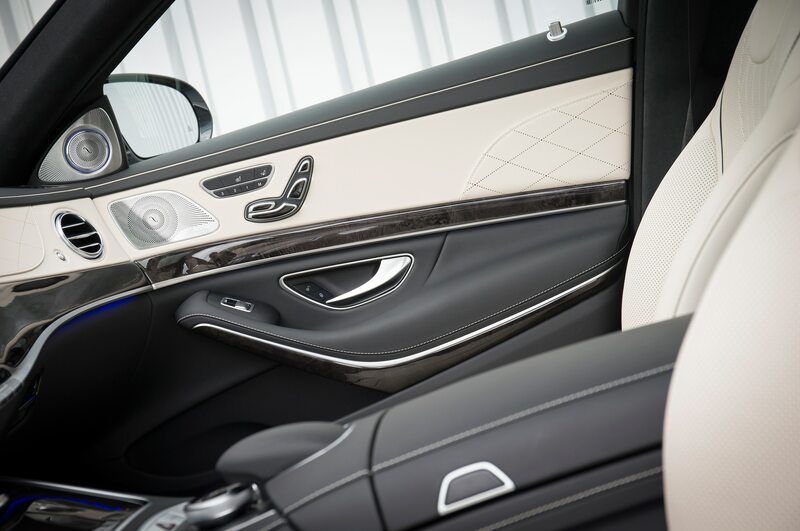 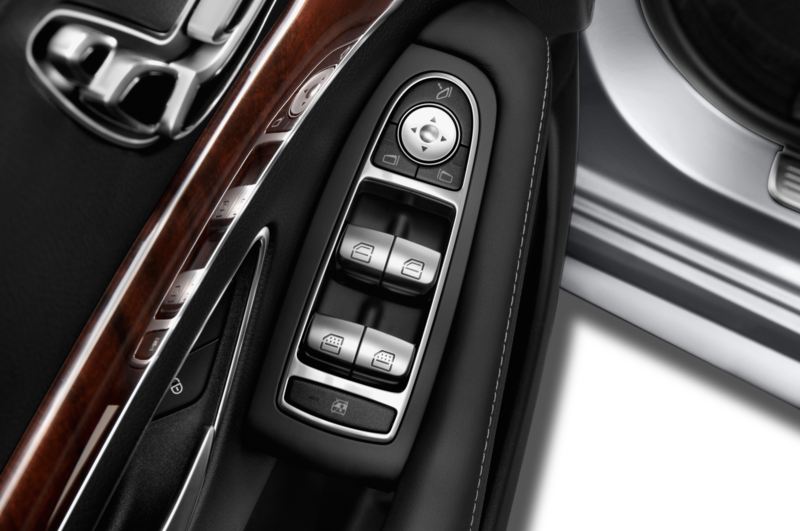 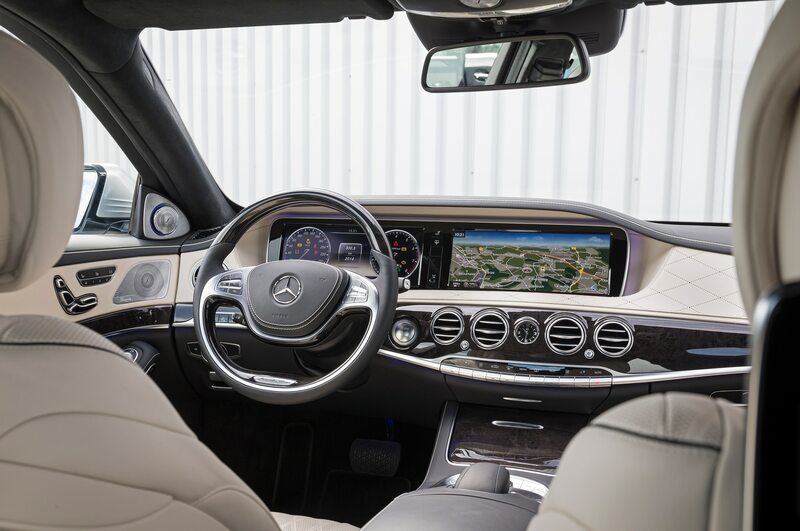 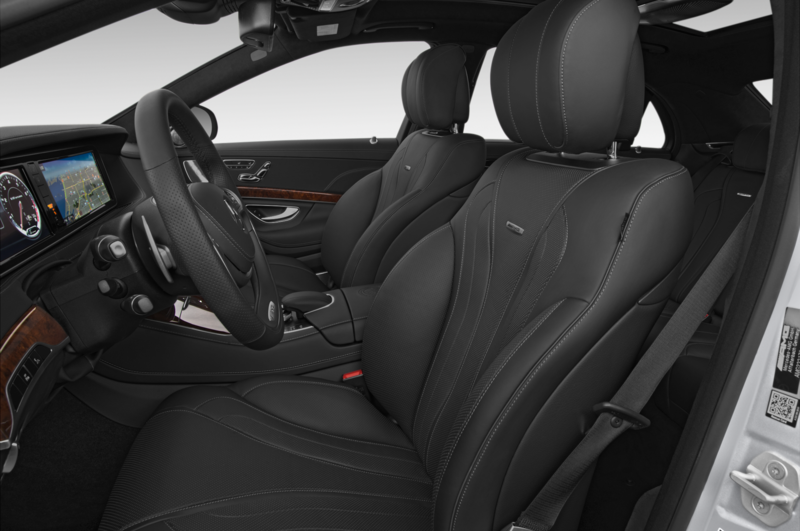 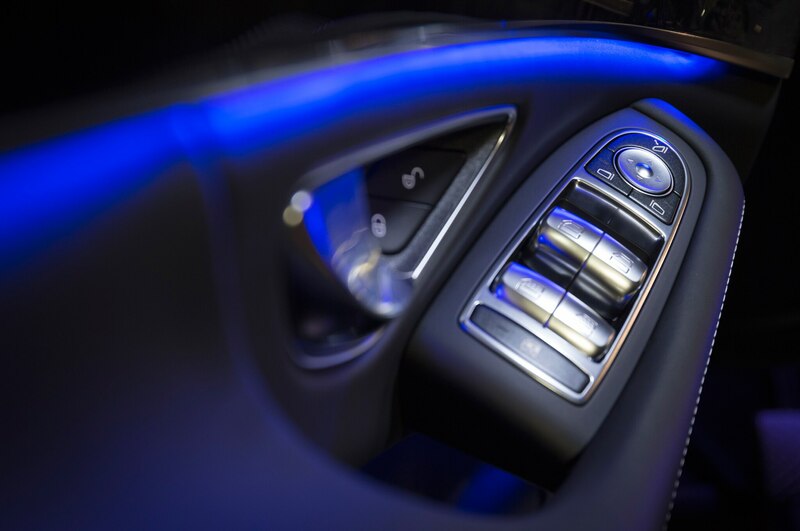 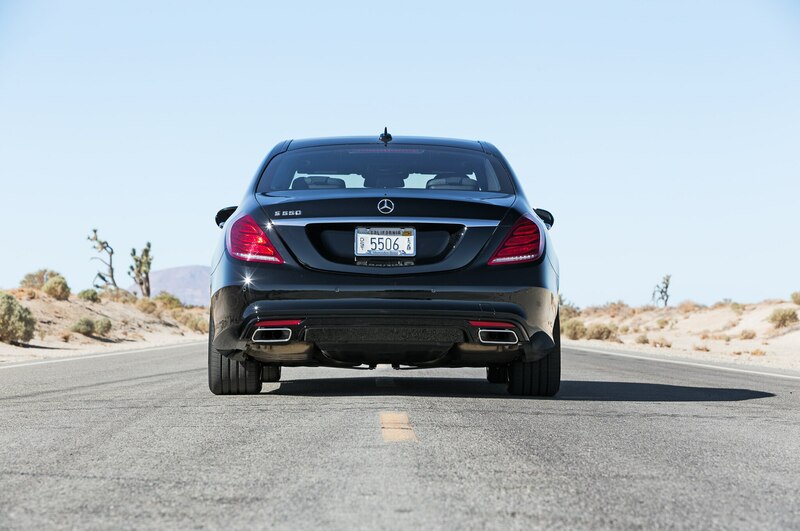 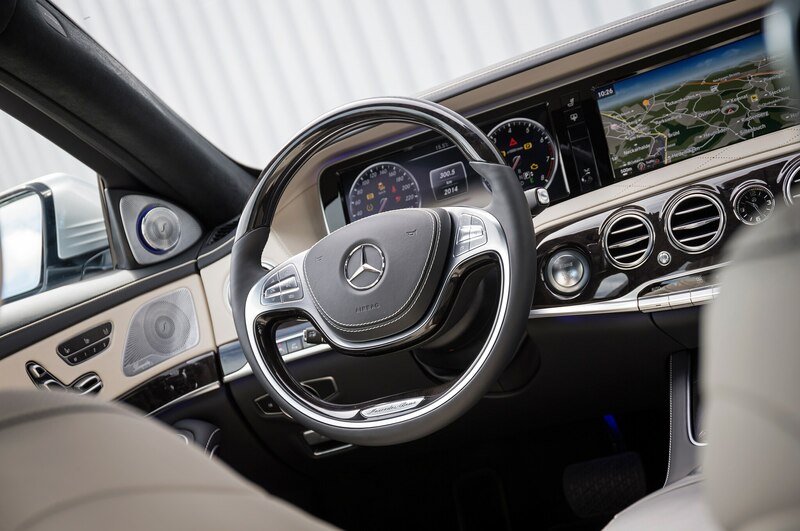 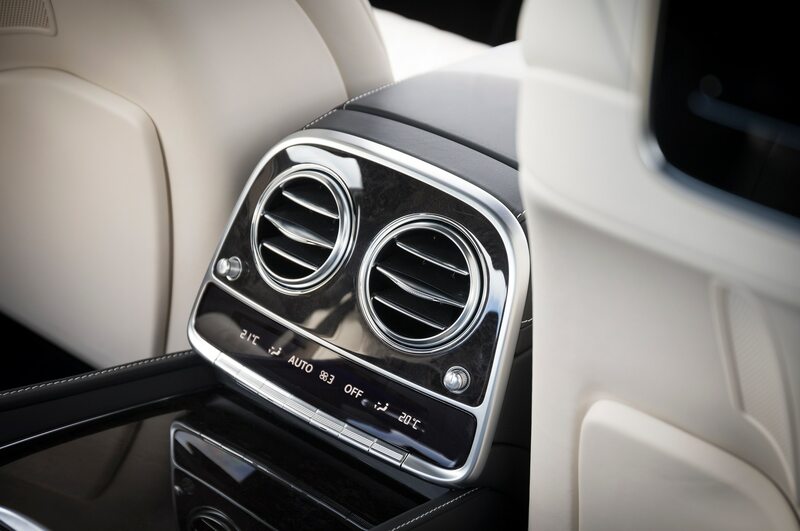 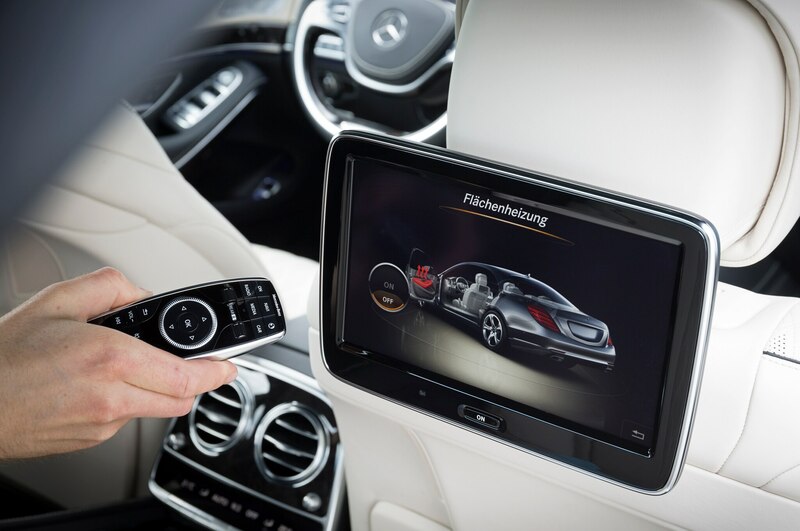 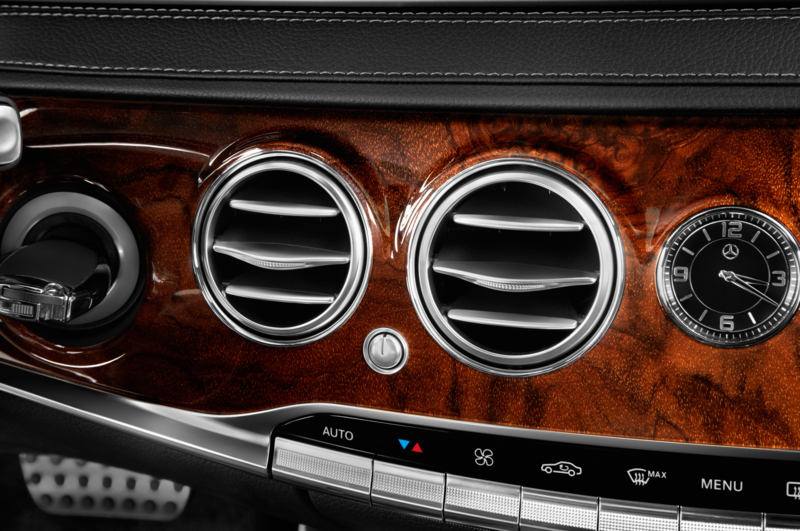 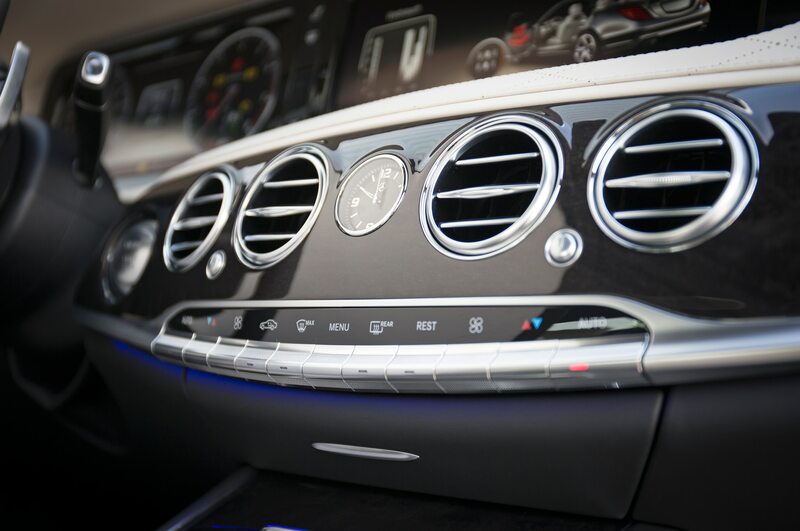 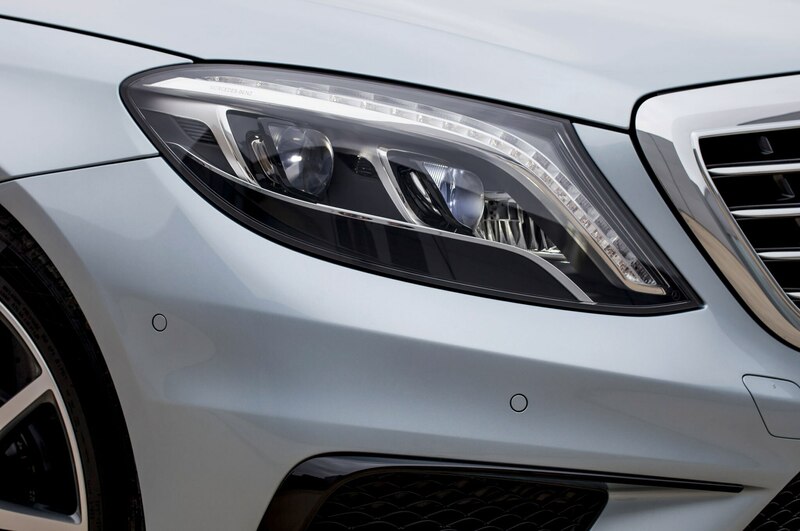 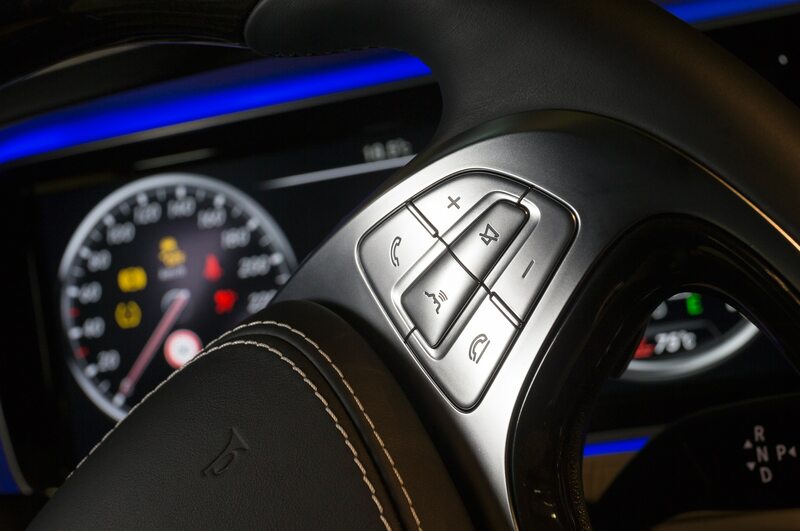 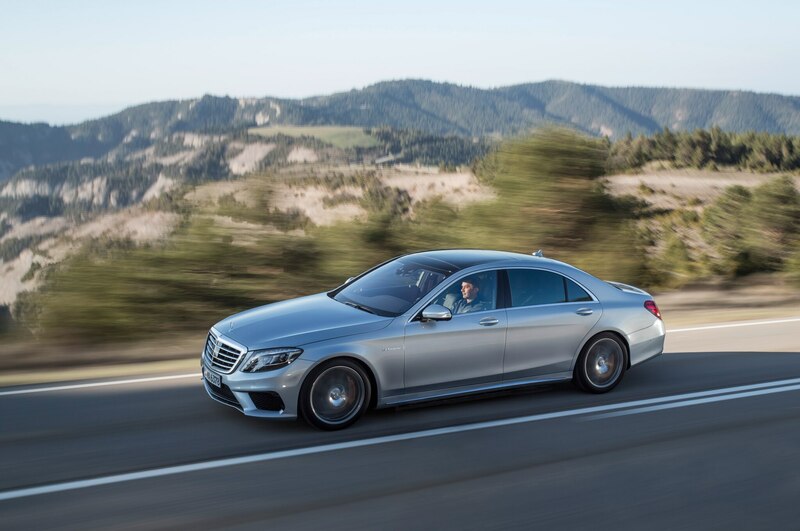 When in Comfort, the S63 AMG, in traditional Mercedes style, starts off from a standstill in second gear. 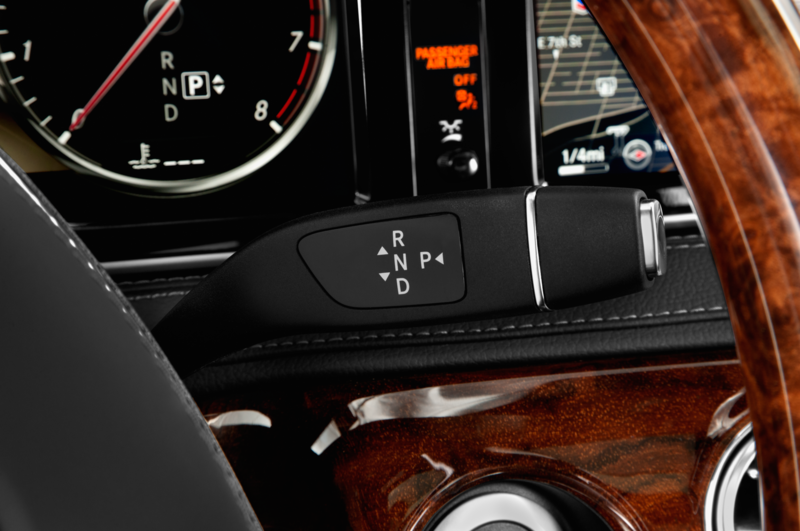 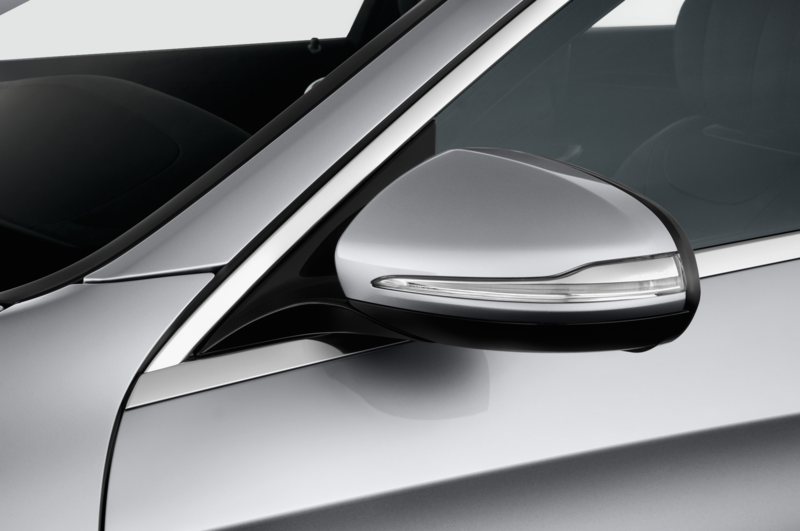 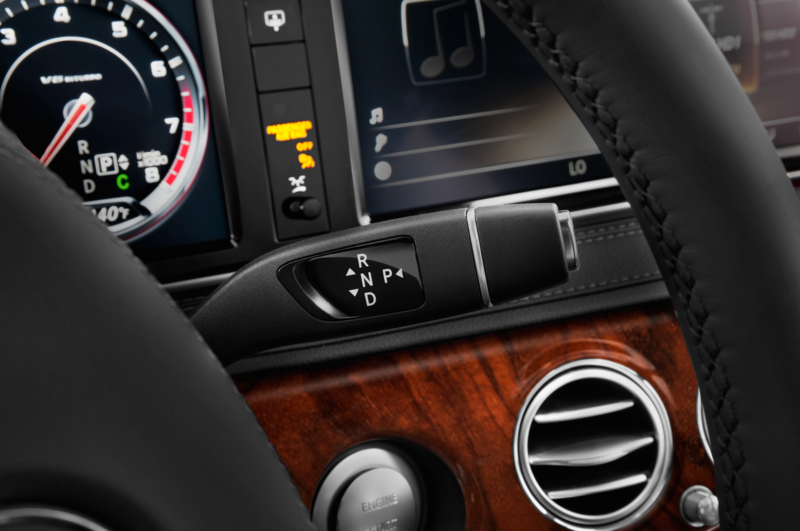 Throttle tip-in is well balanced, and it’s very easy to move out both smoothly and rapidly even if you’re in S or M mode. 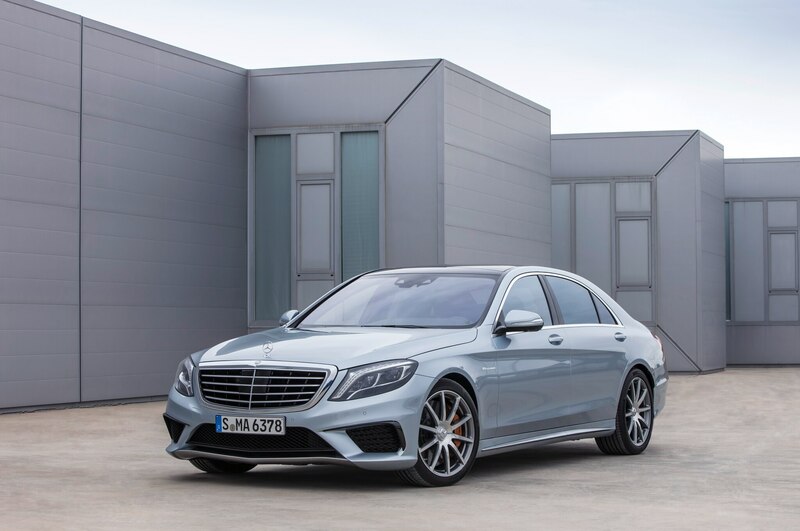 The AMG-specification 4Matic system is biased decidedly to the rear of the car, and it sends 67 percent of torque to the rear wheels, such that you can powerslide the AWD S63 if you try hard enough. 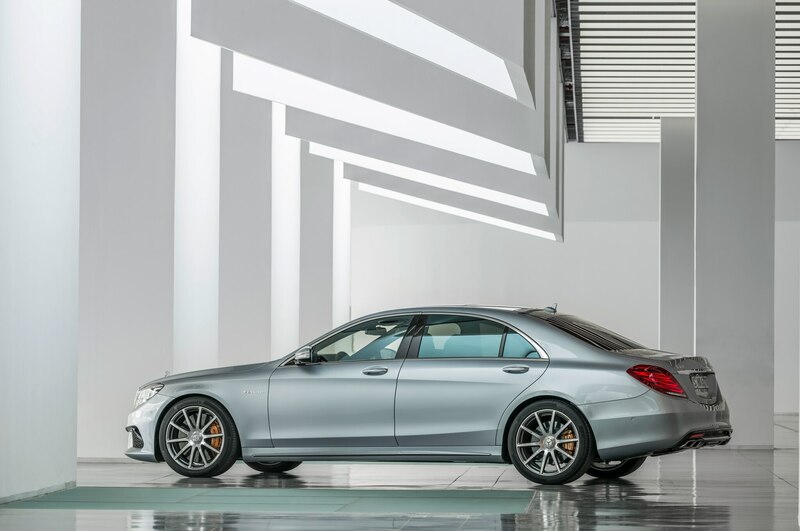 Yet some American enthusiasts are bound to be disappointed that the RWD S63 will not be available here. 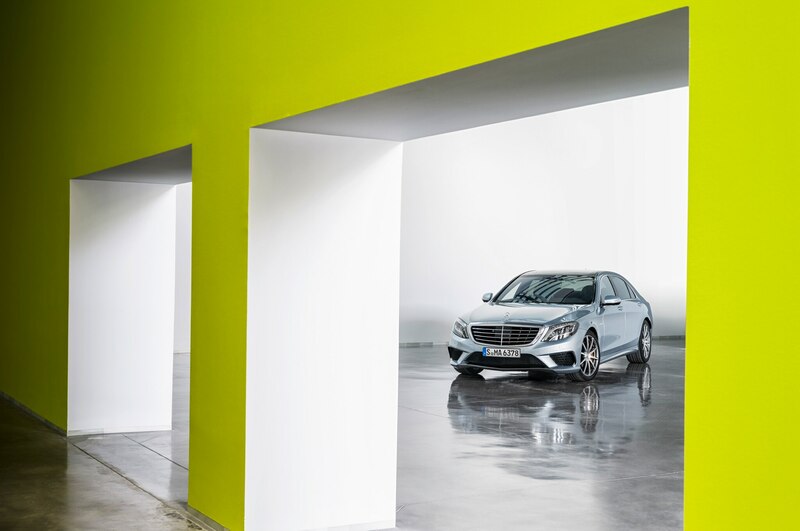 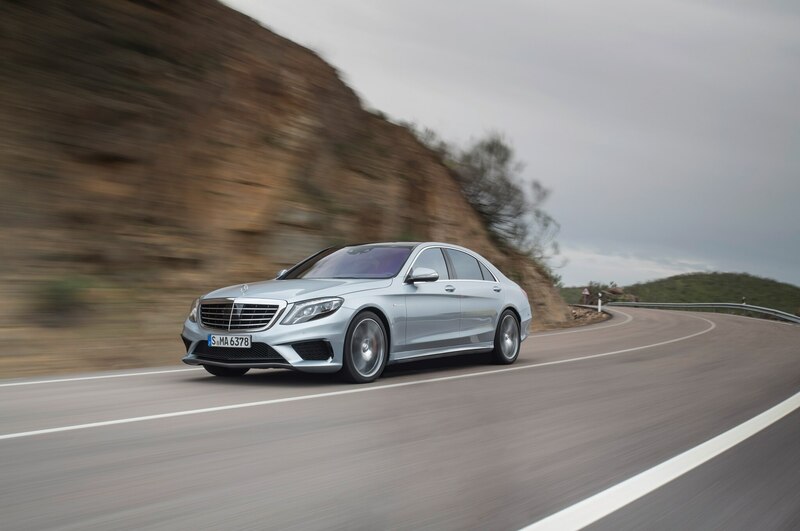 This also means we won’t get to try an S63 with Magic Body Control, which adjusts the suspension to accommodate for road imperfections spotted by road-scanning cameras. 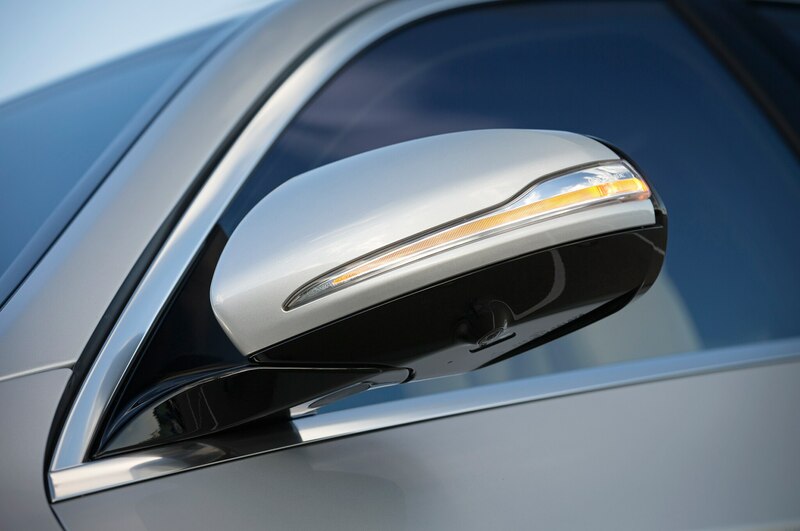 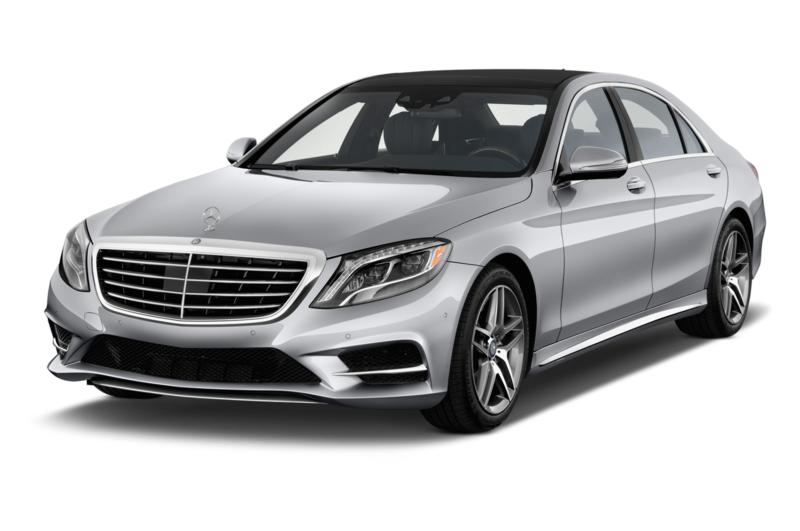 For that technology, you must step down the S-Class ladder of models and select the rear-wheel-drive 2014 Mercedes-Benz S550. 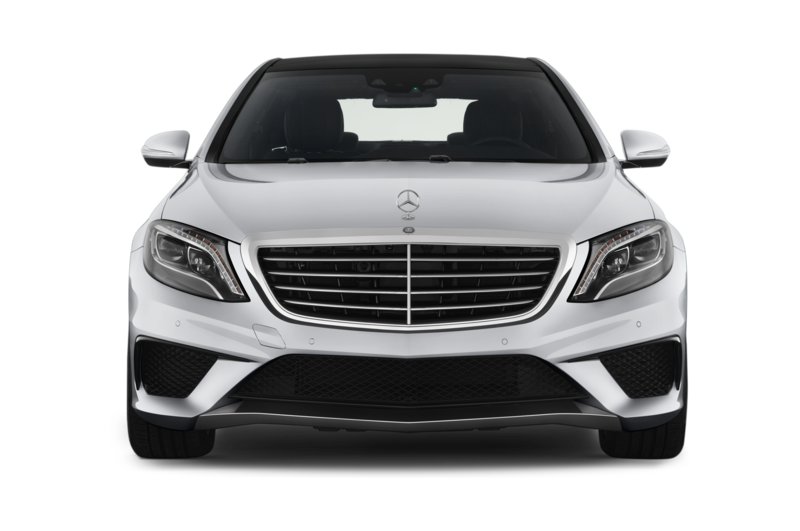 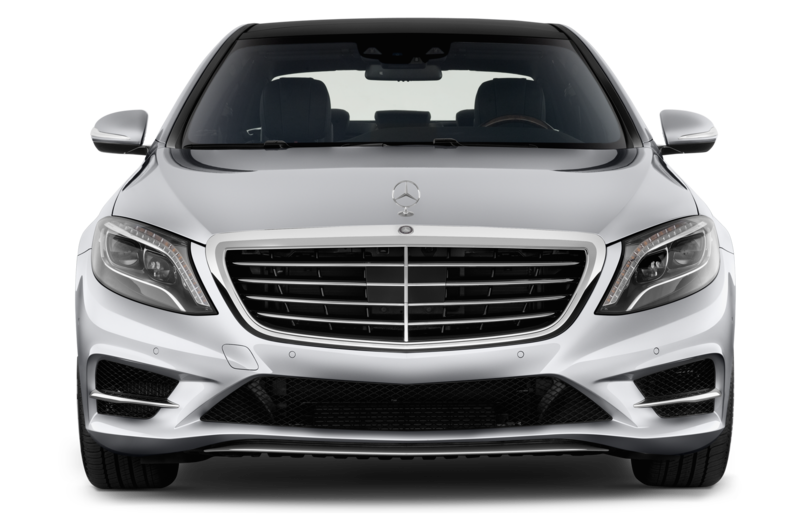 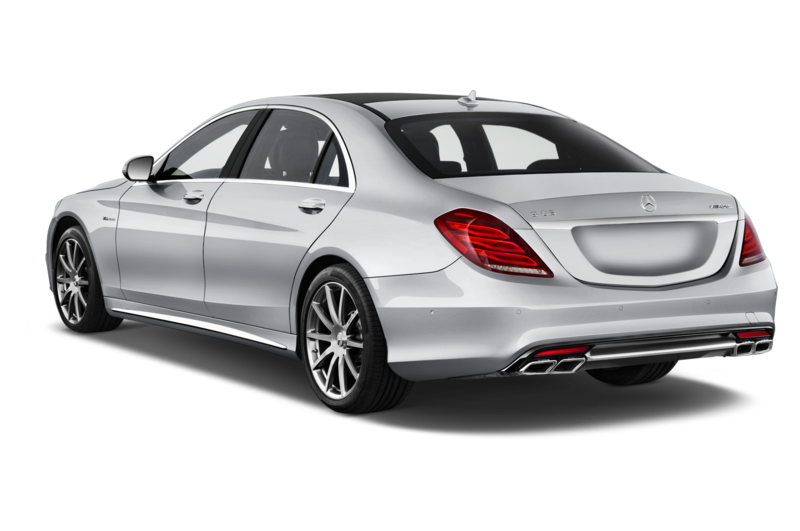 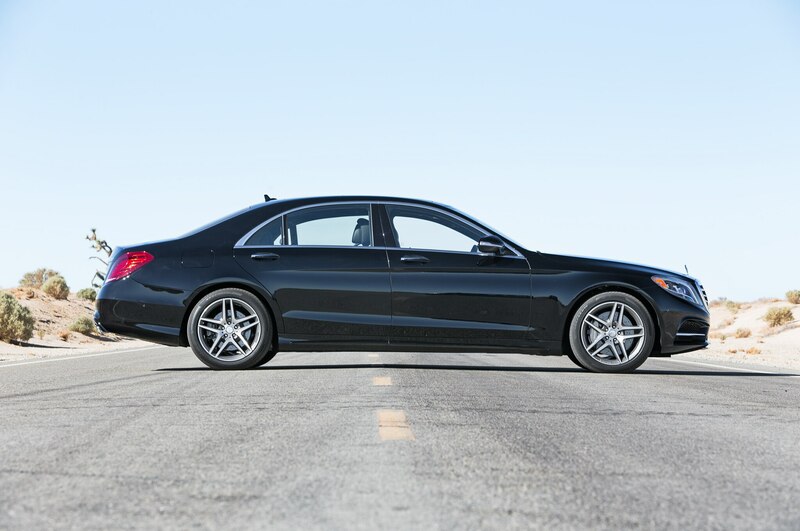 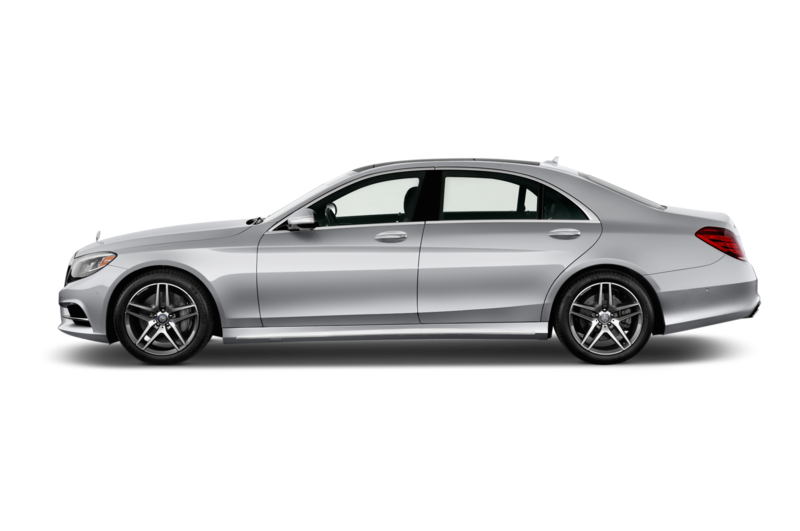 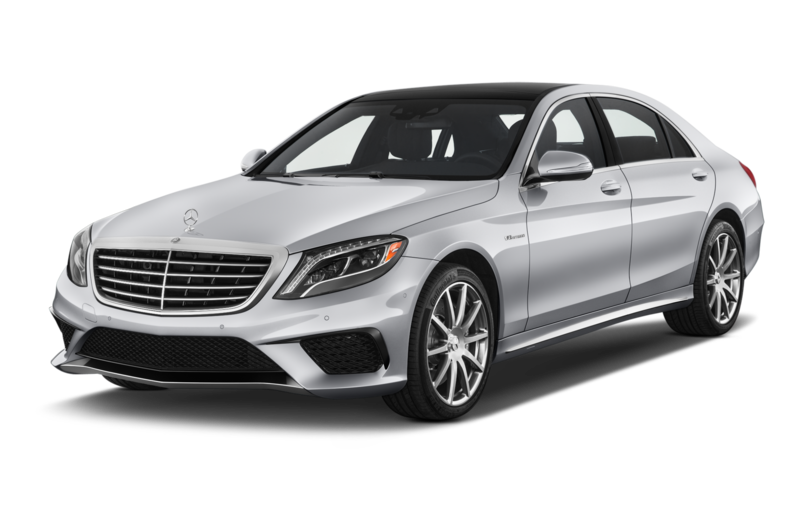 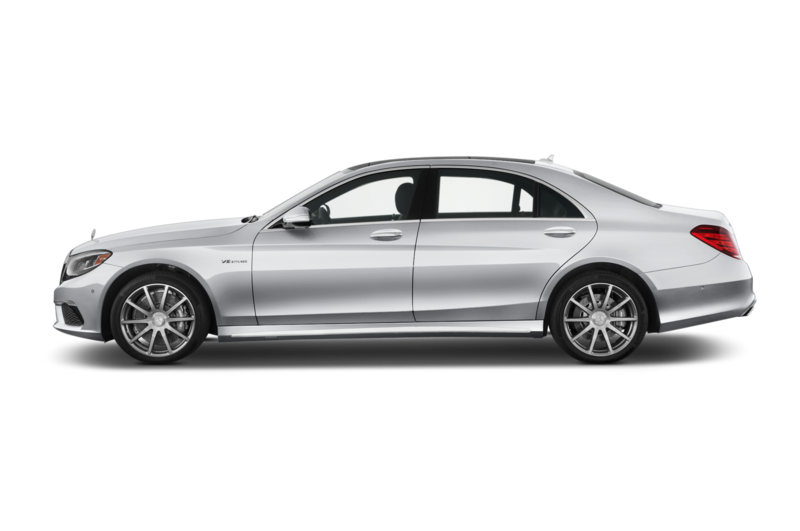 Speaking of the range of Mercedes-Benz S-Class sedans, a 2014 S550 starts at $93,825, whereas the 2014 S63 AMG is $140,425. 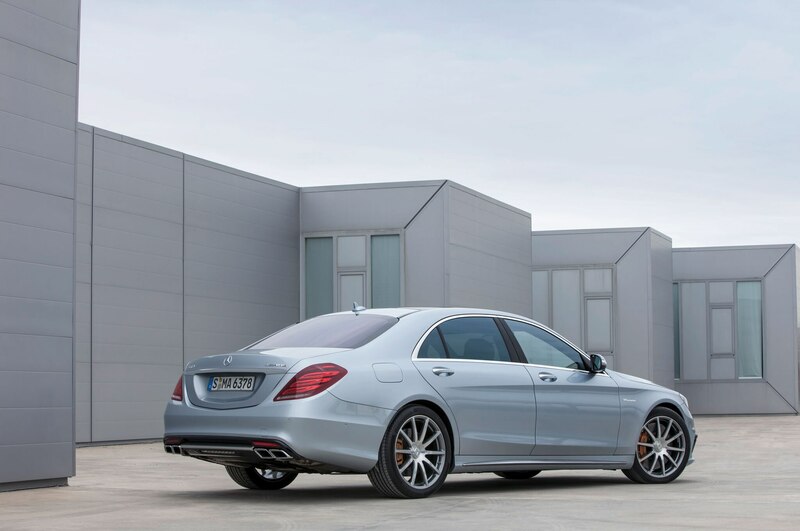 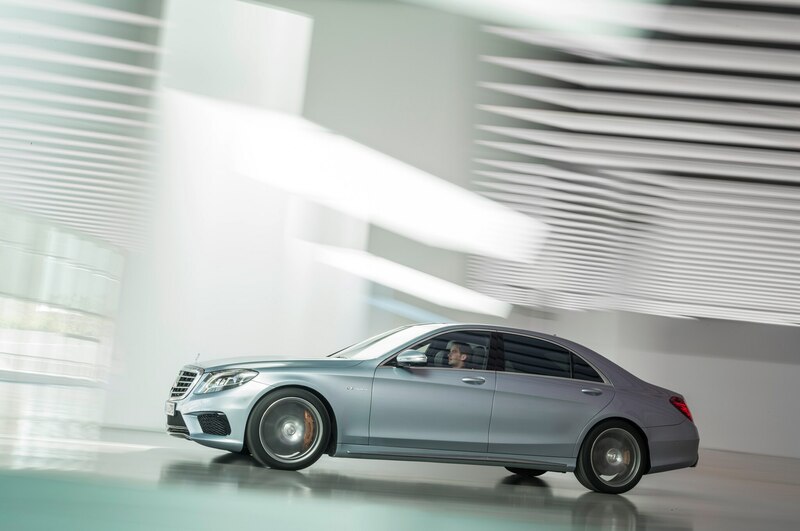 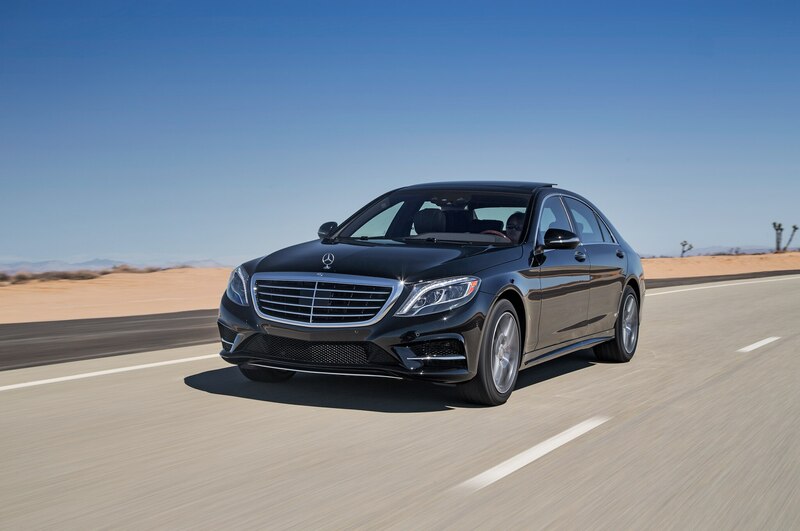 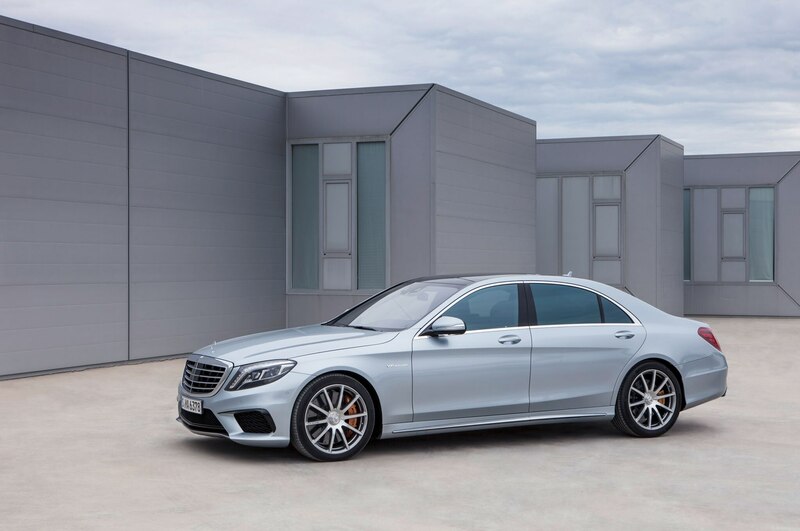 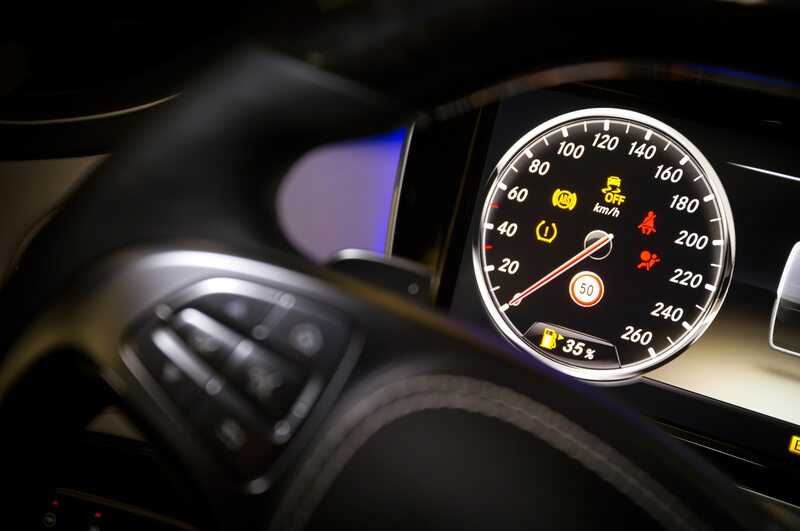 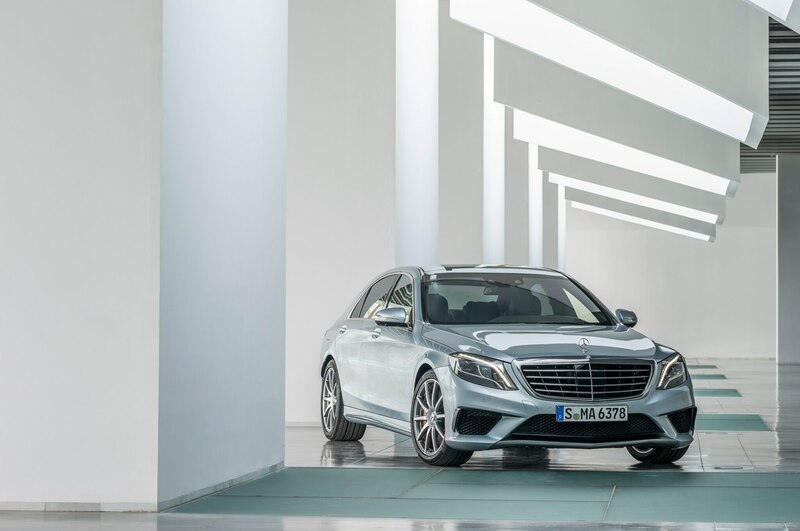 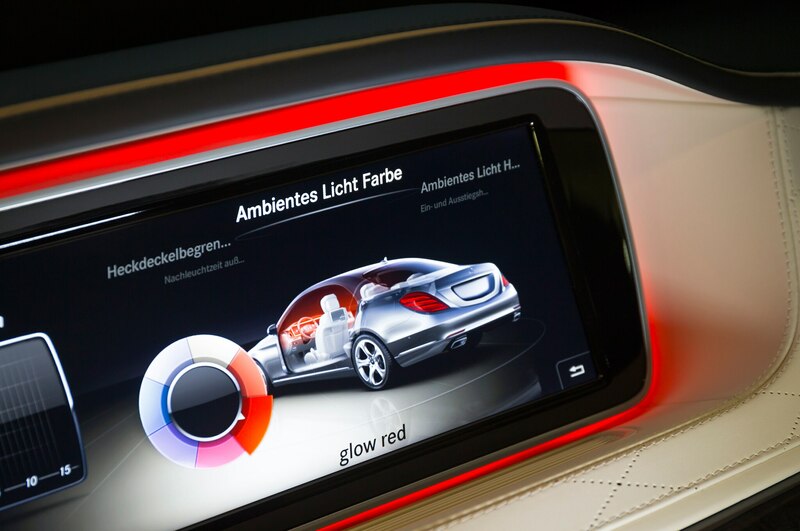 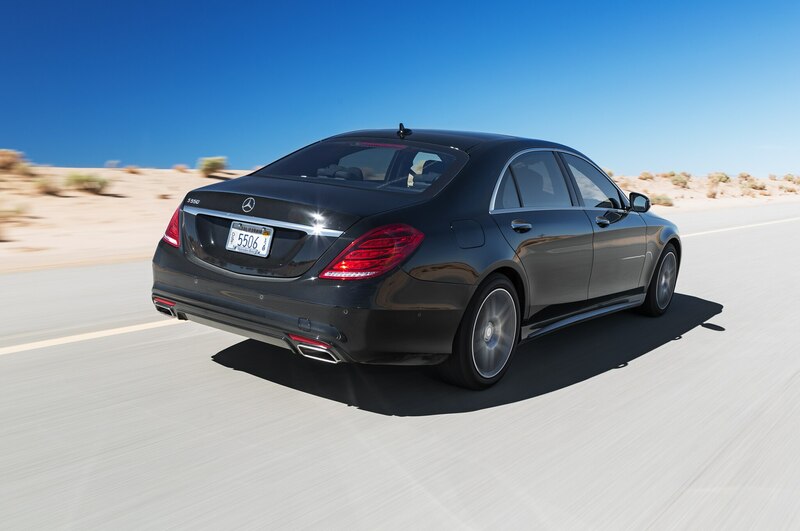 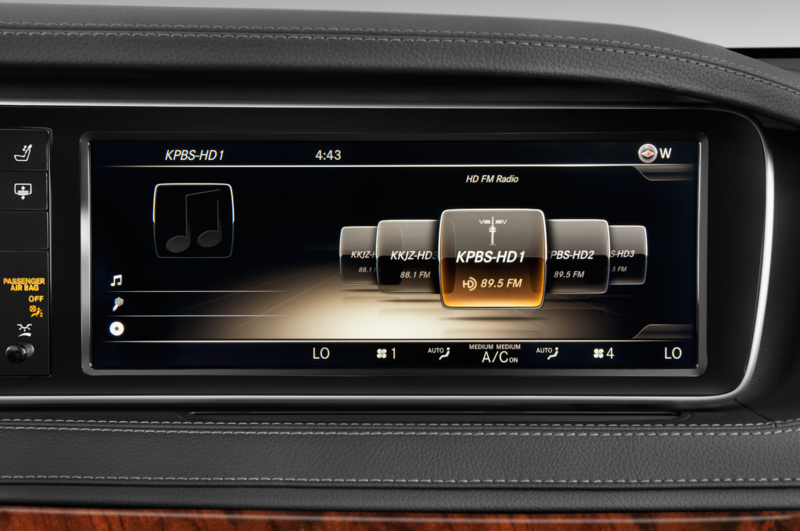 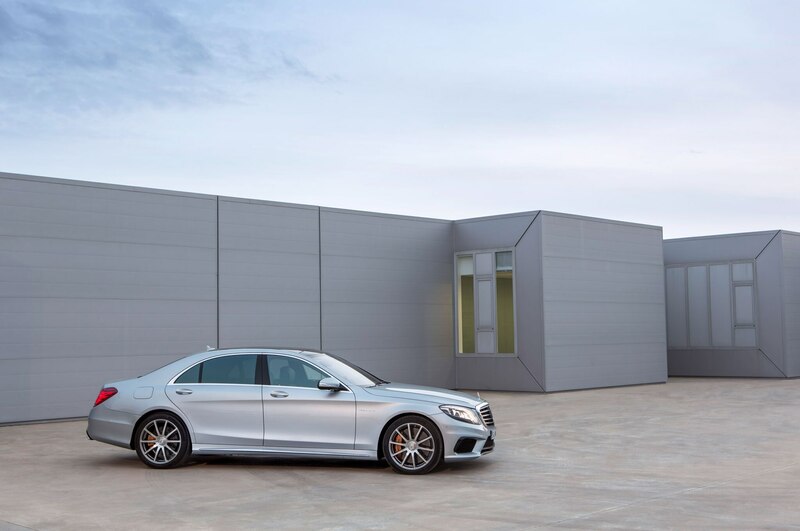 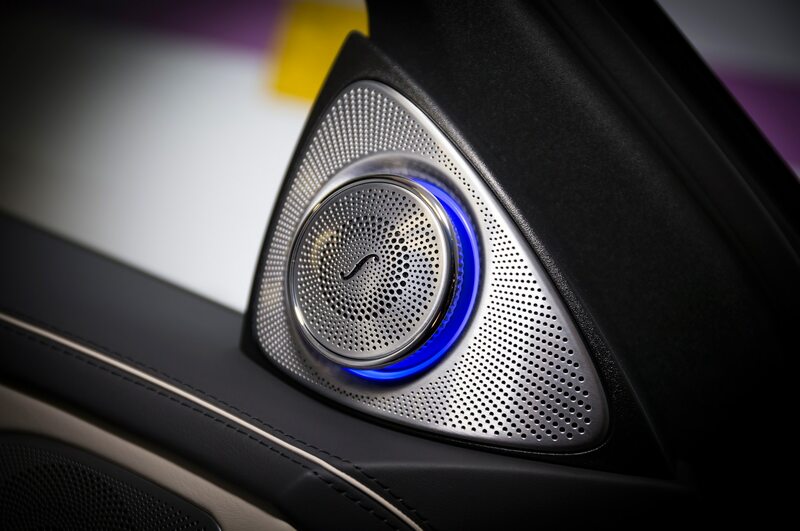 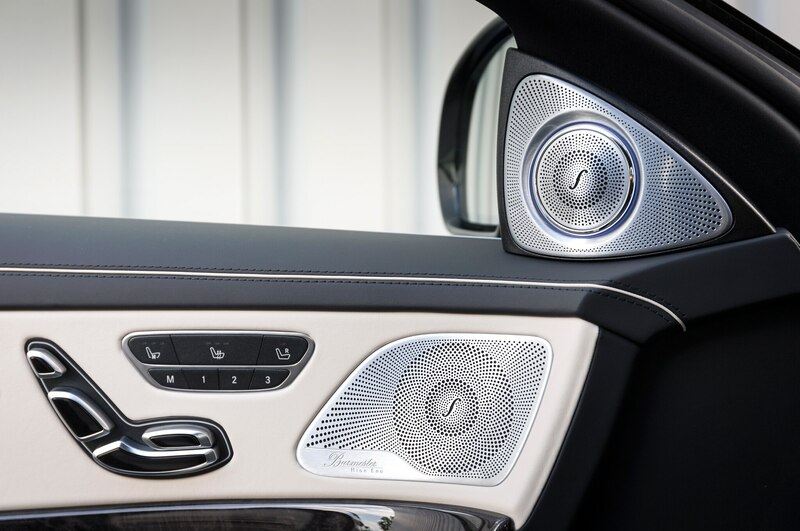 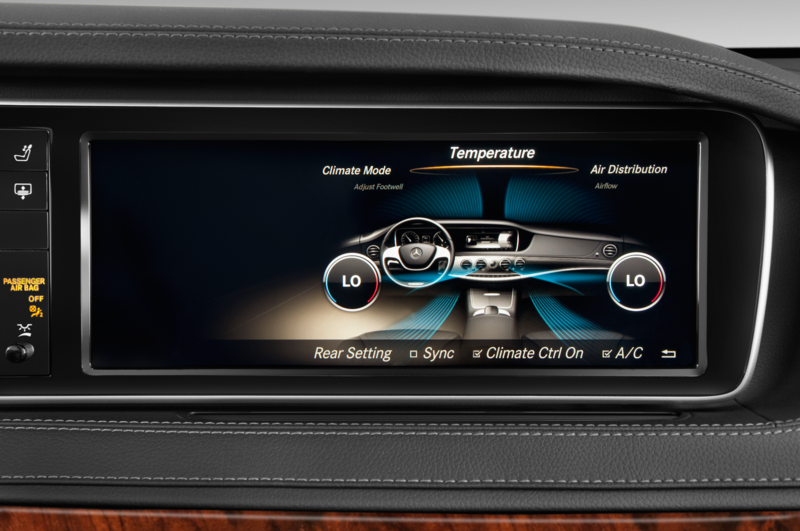 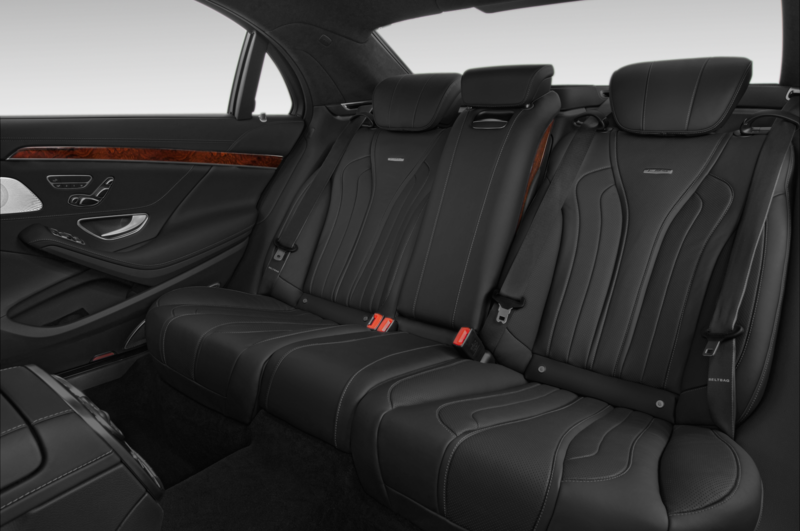 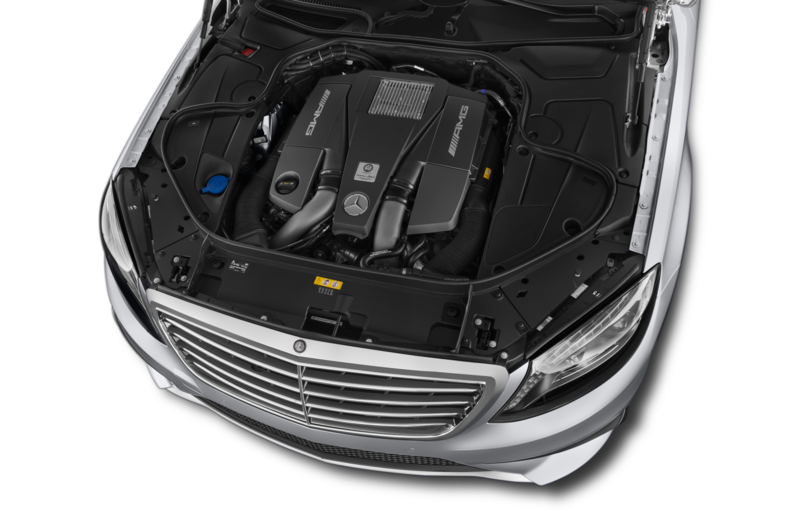 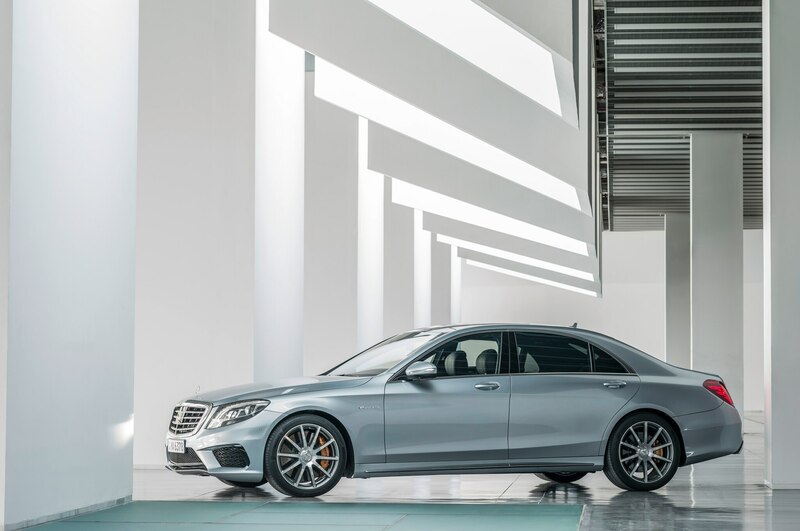 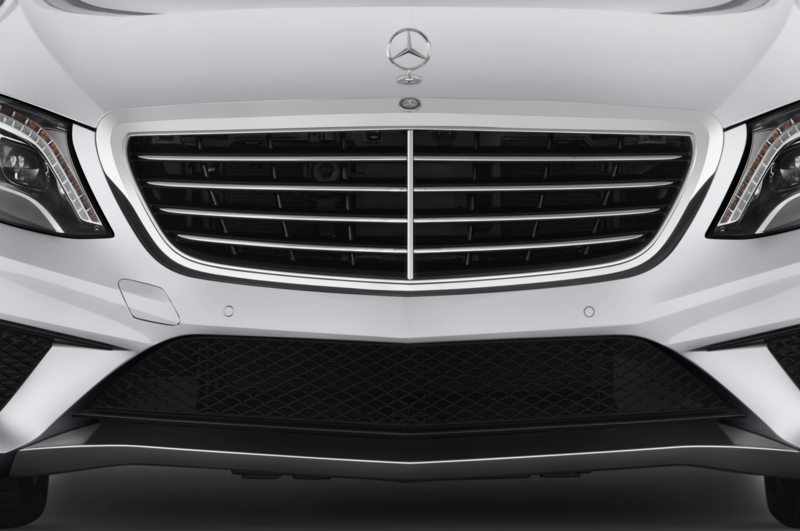 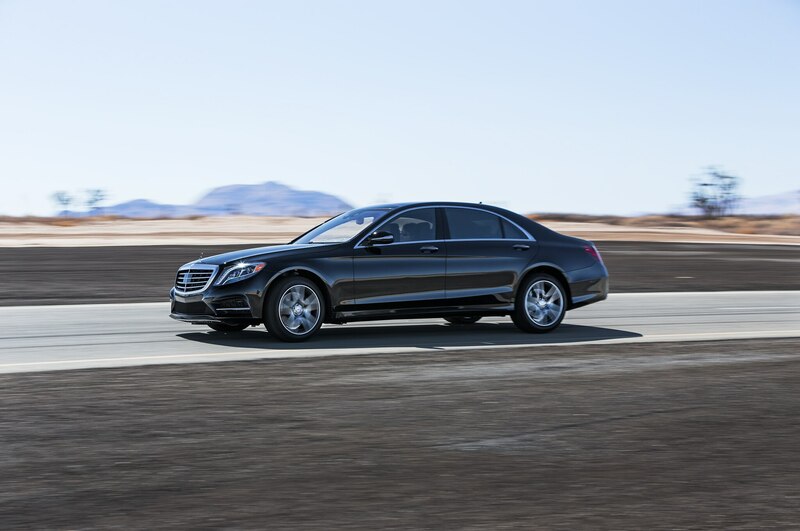 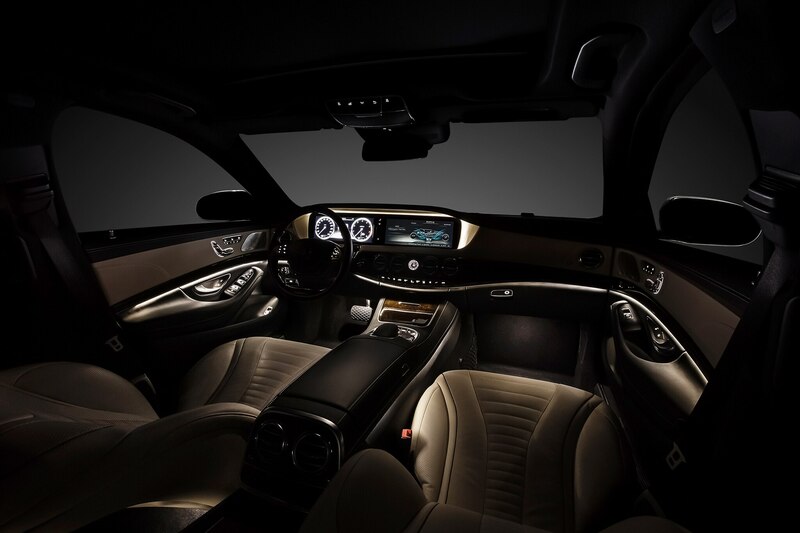 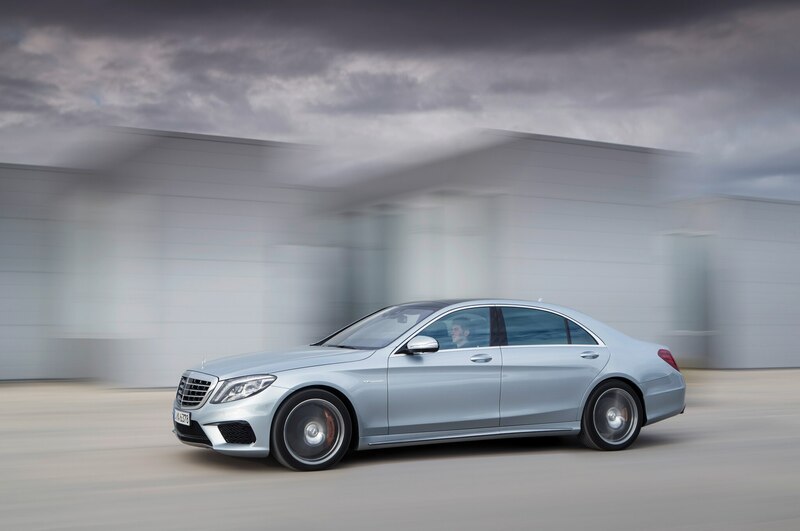 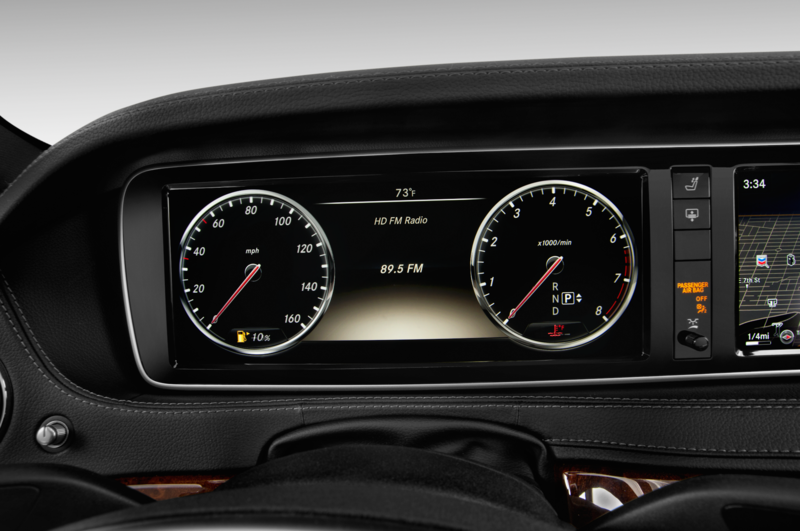 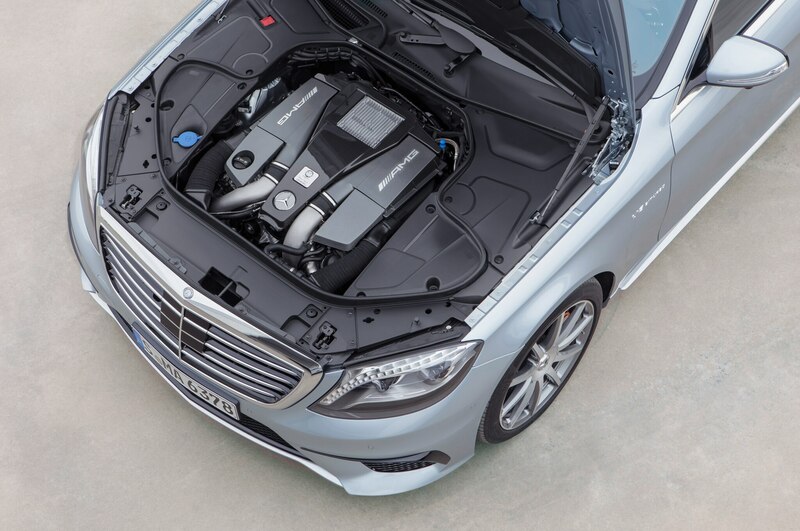 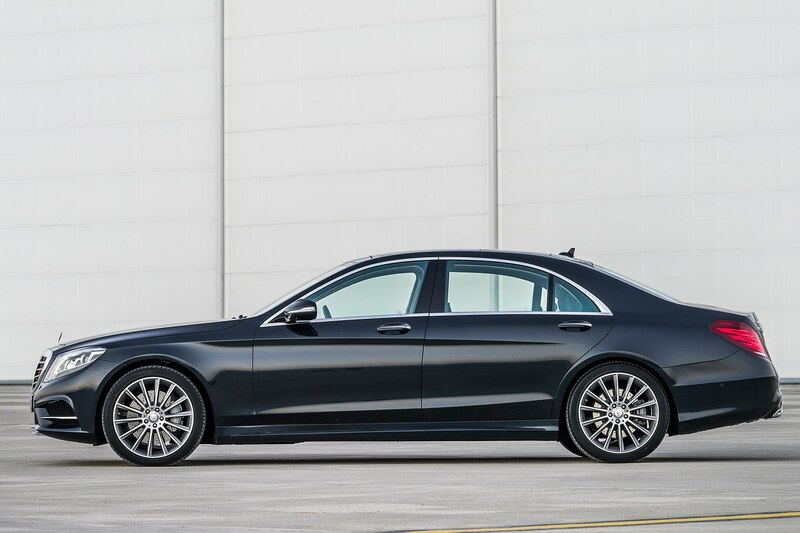 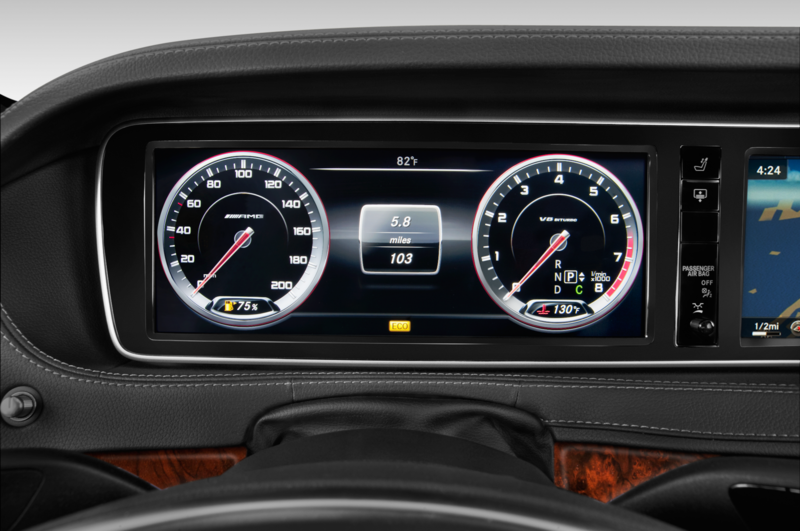 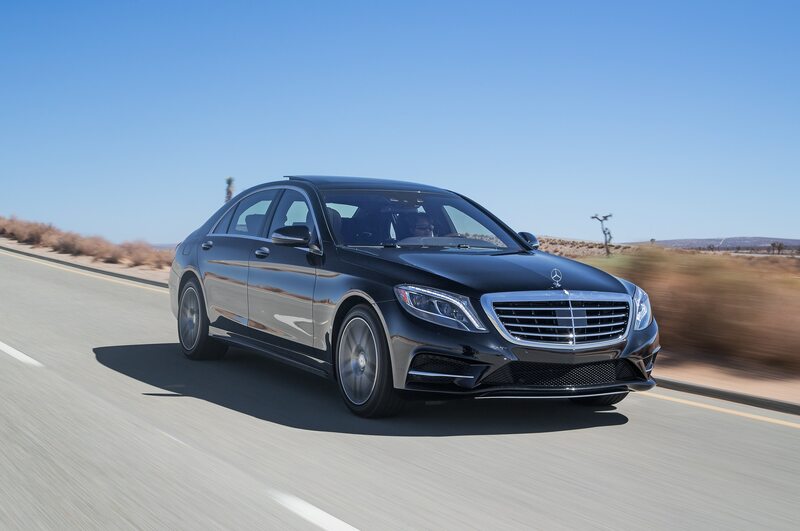 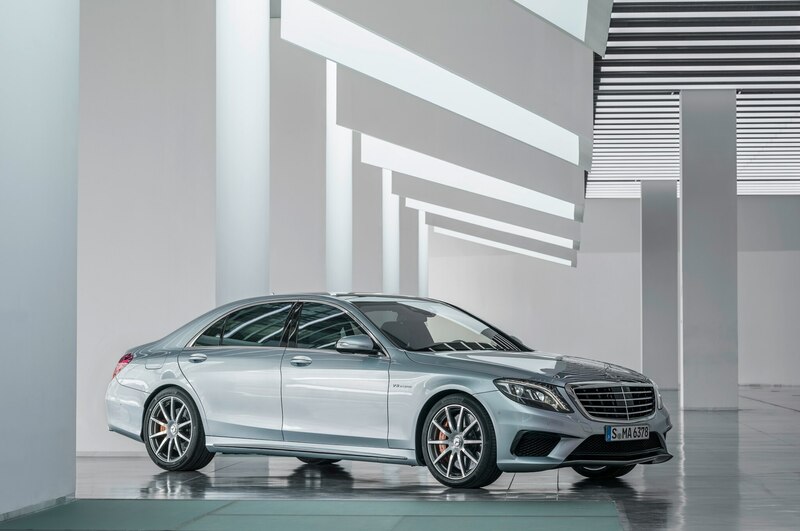 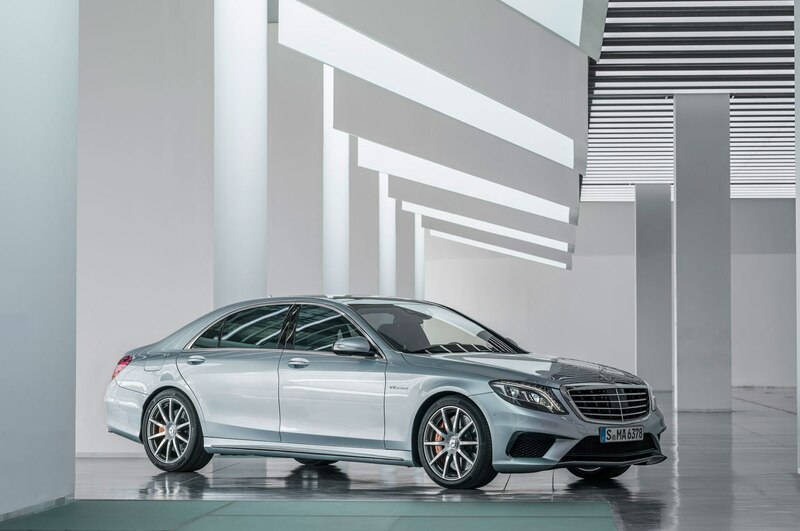 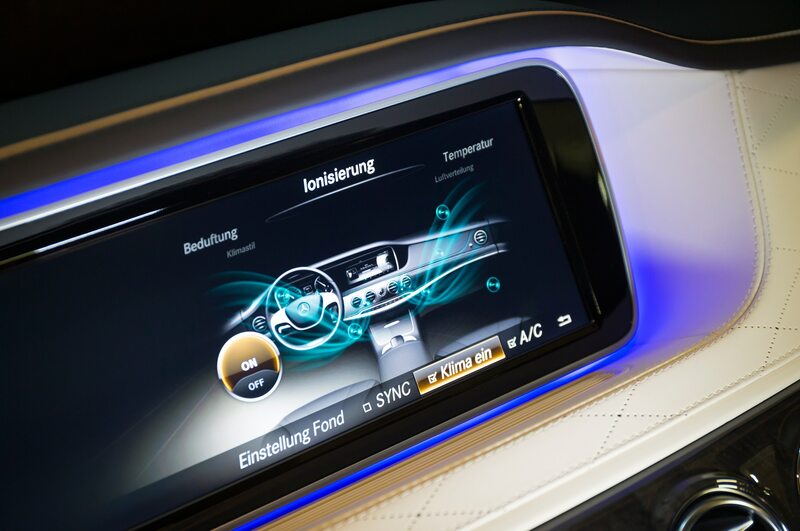 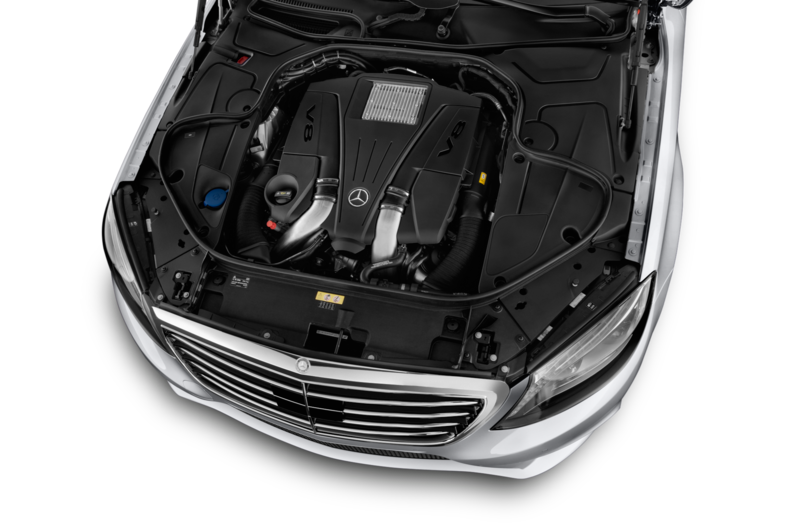 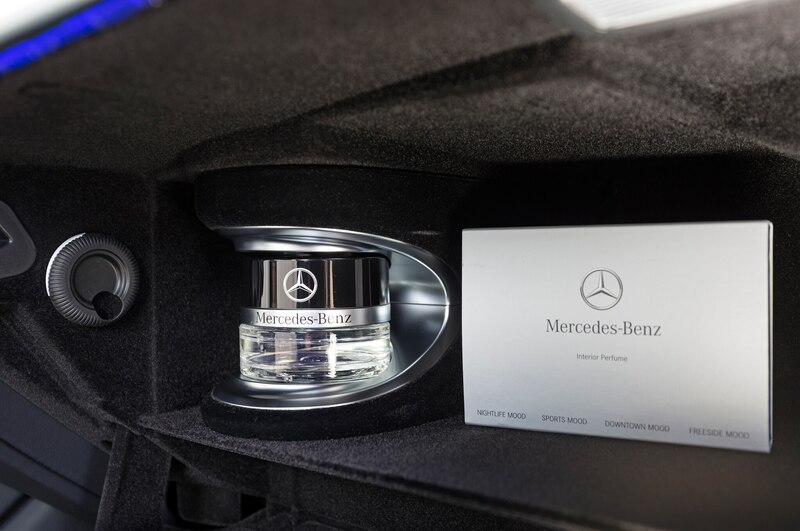 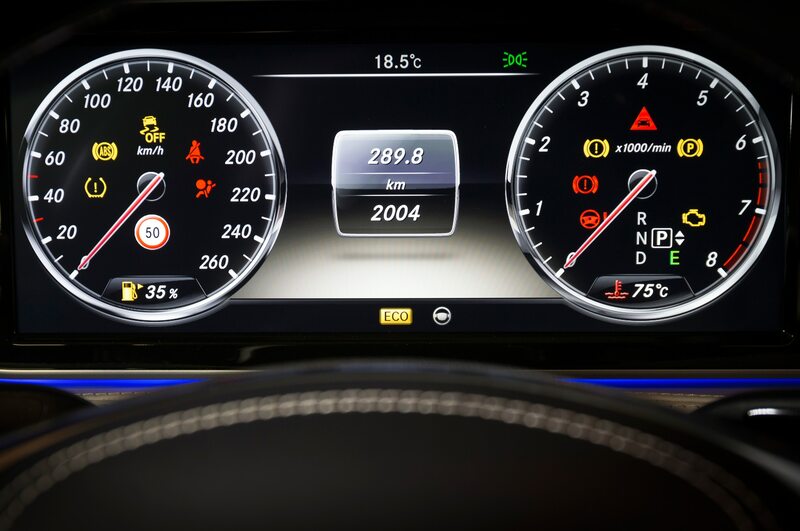 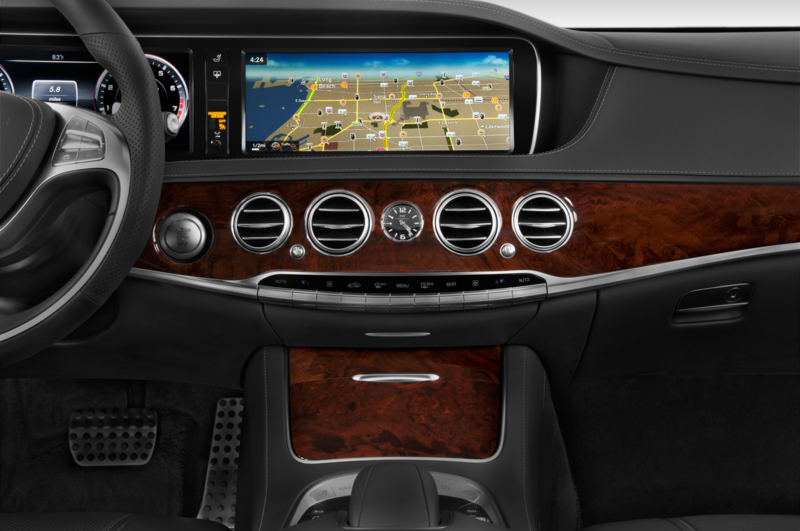 Of course, once you throw in the 24-speaker Burmester stereo system ($6400), the exquisite nappa leather, a special set of wheels (the black ones look amazing when paired with diamond-white metallic paint for the bodywork), and a few other necessities of life in the fast lane, the 2014 Mercedes-Benz S63 AMG will top $150K easy. 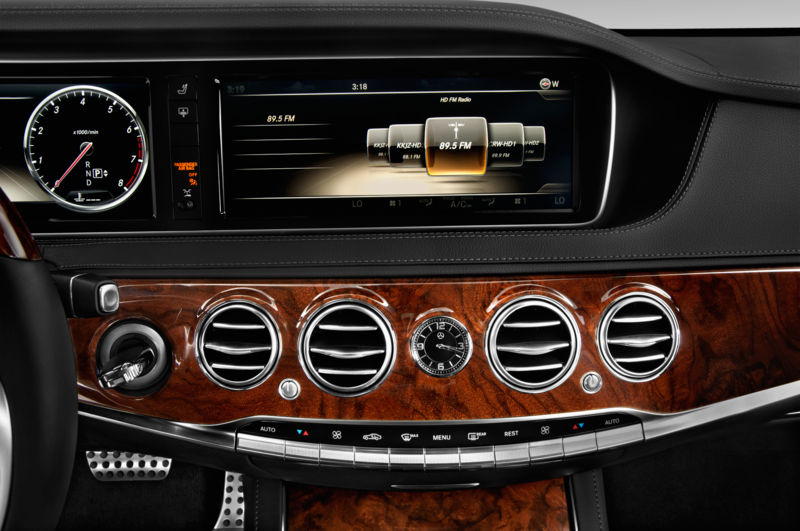 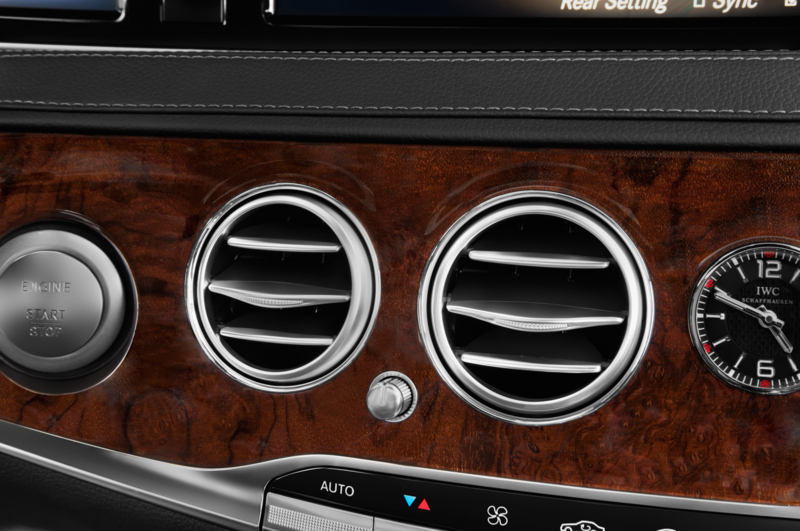 If this seems indulgent, I suggest you sit in the right-side back seat and see if you change your mind. 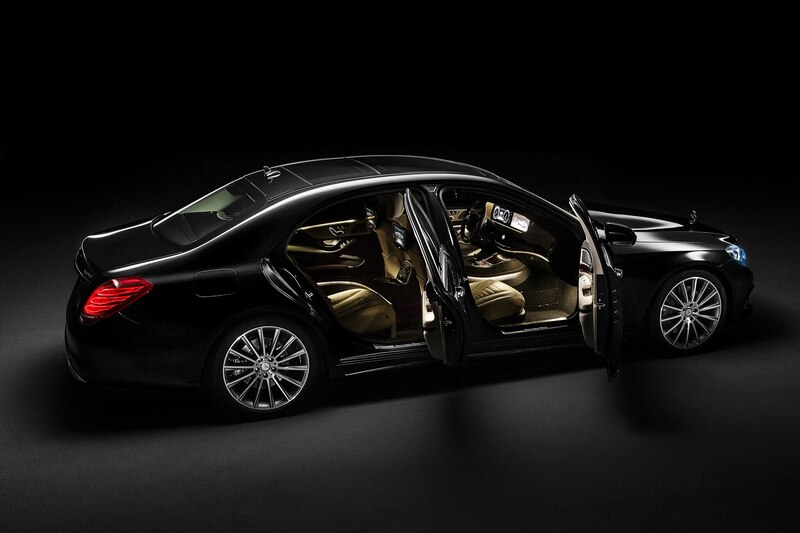 Six-seat limousine meant to evoke exclusive Benz sedans of the past. 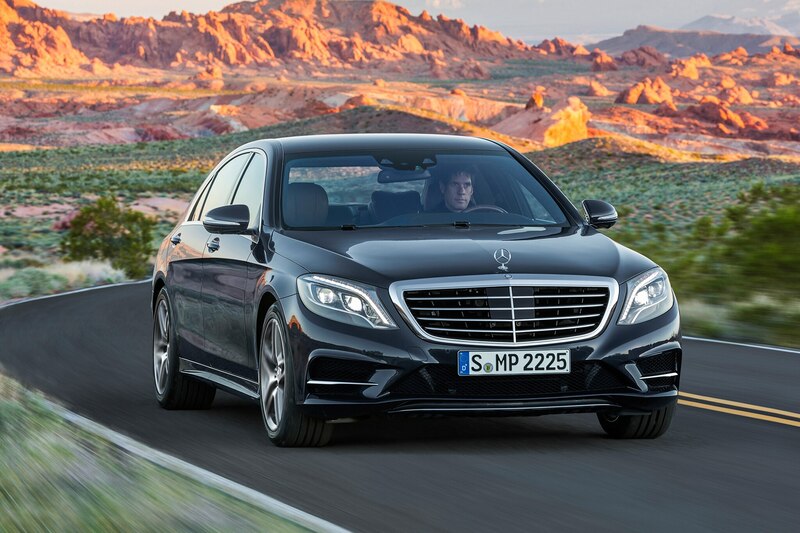 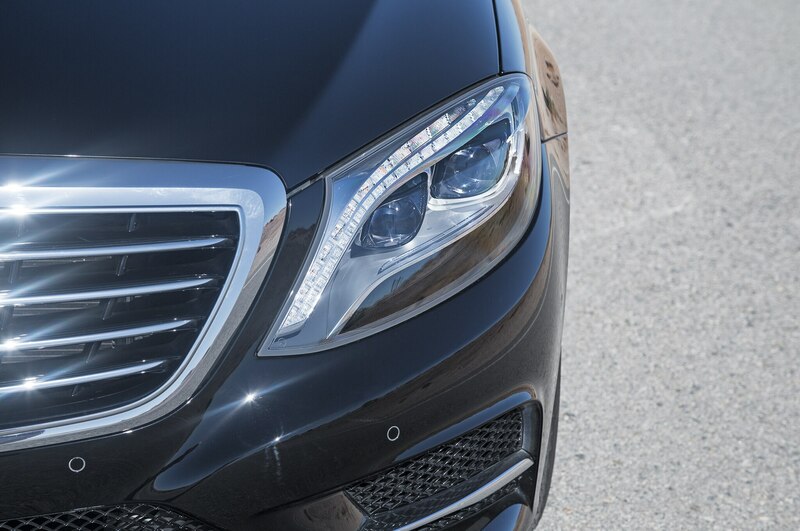 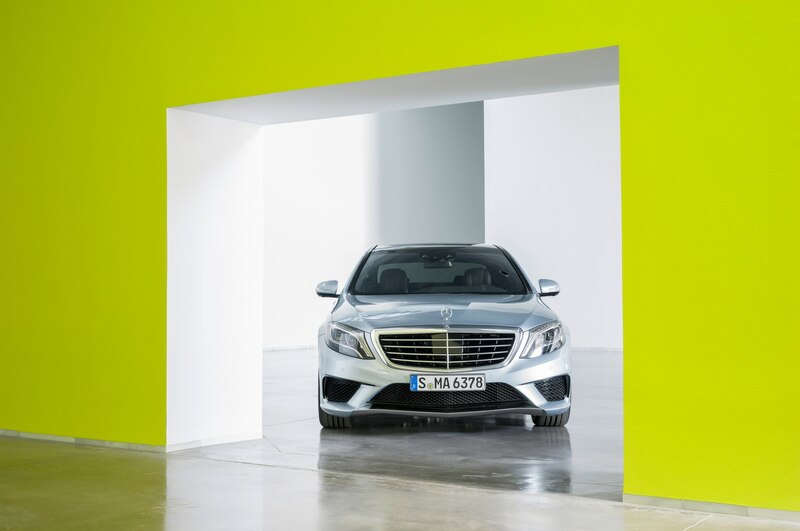 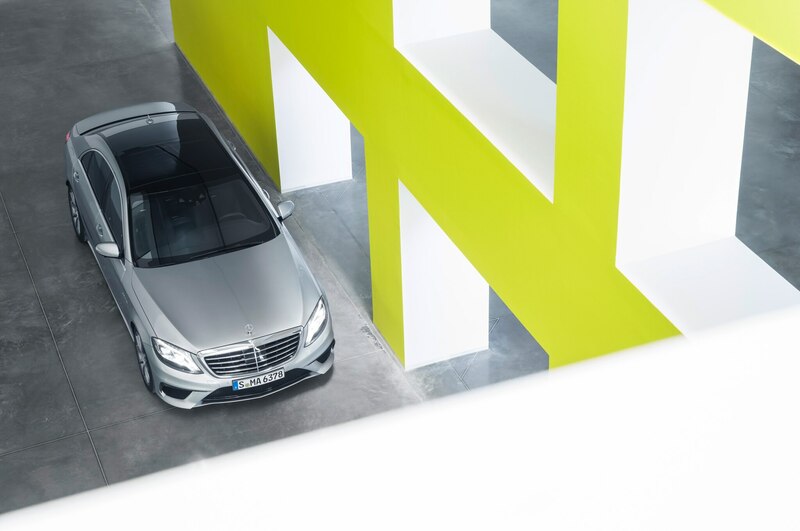 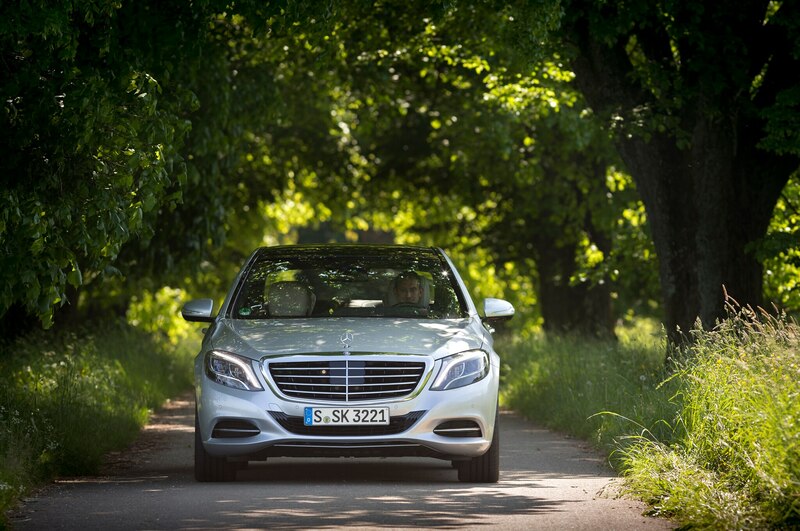 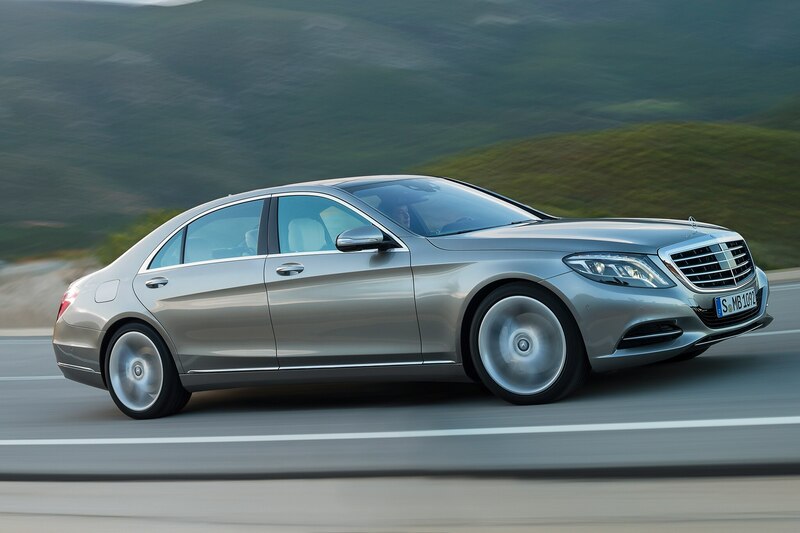 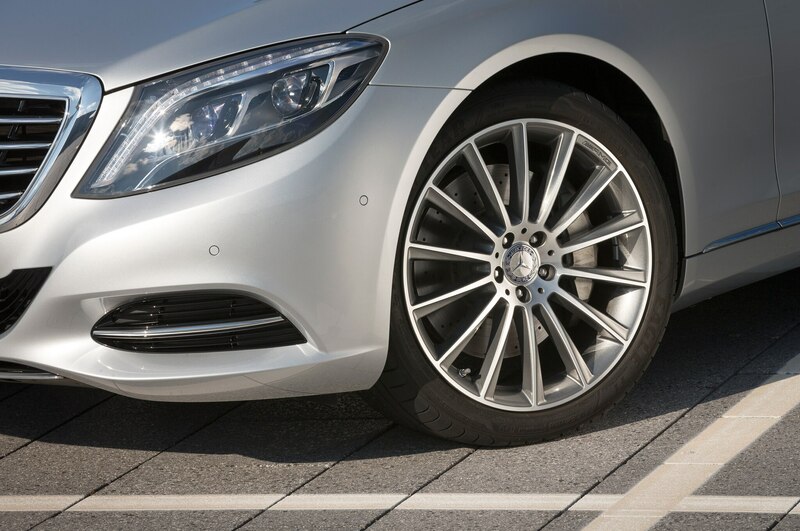 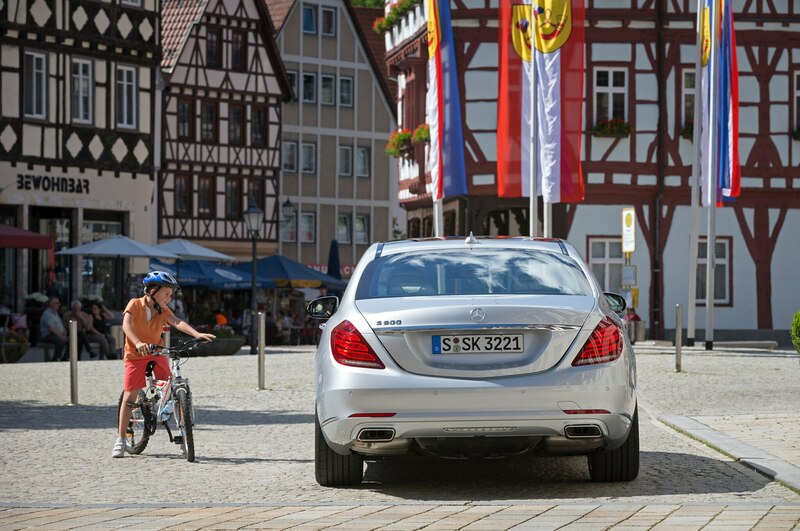 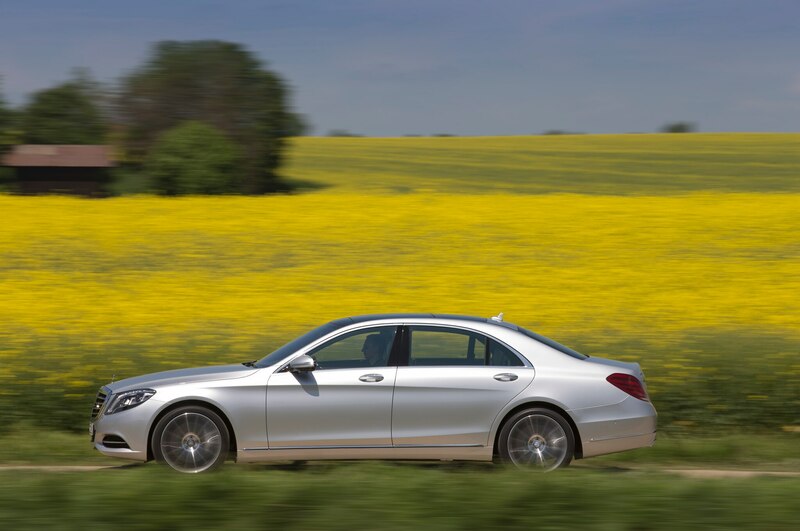 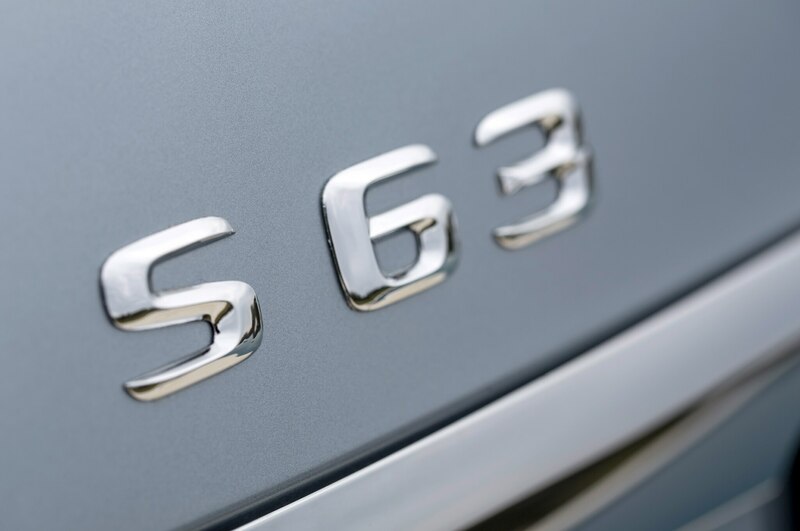 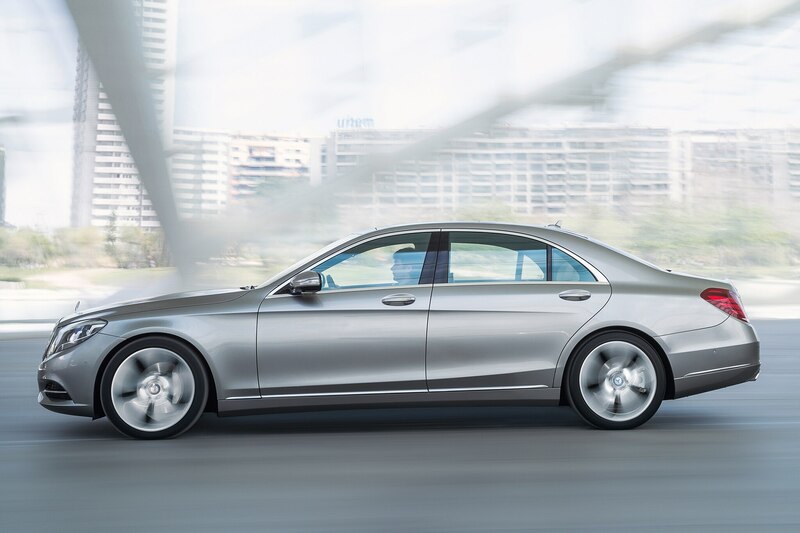 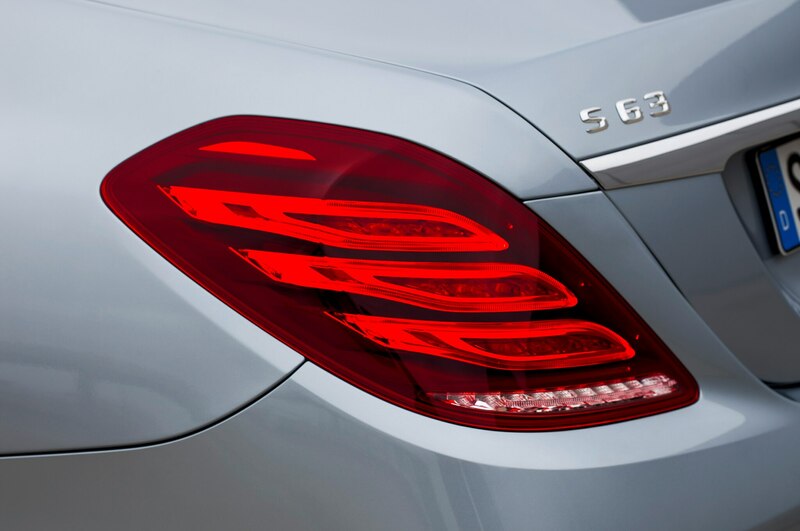 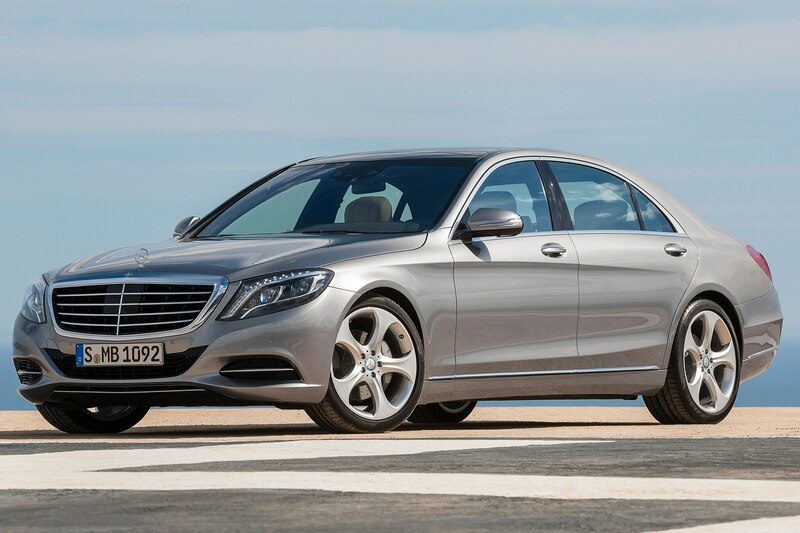 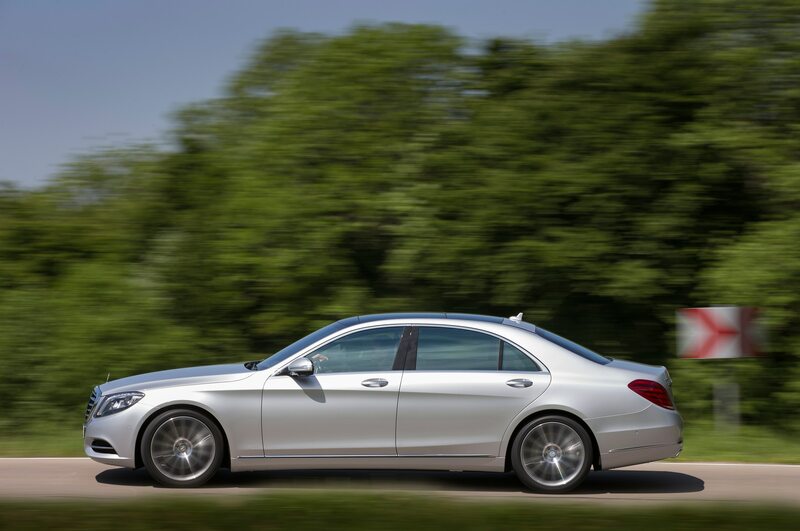 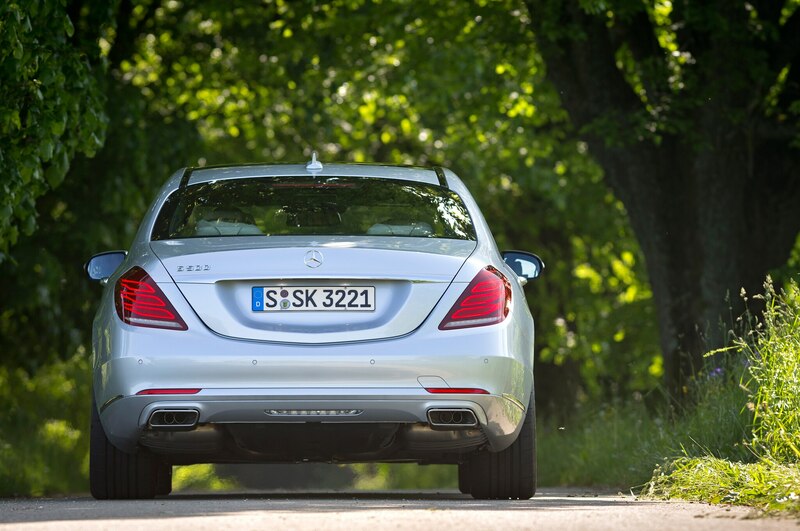 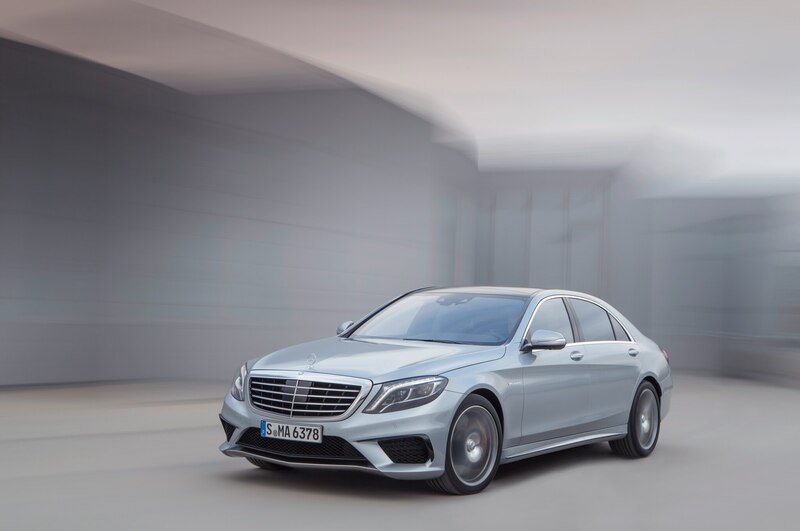 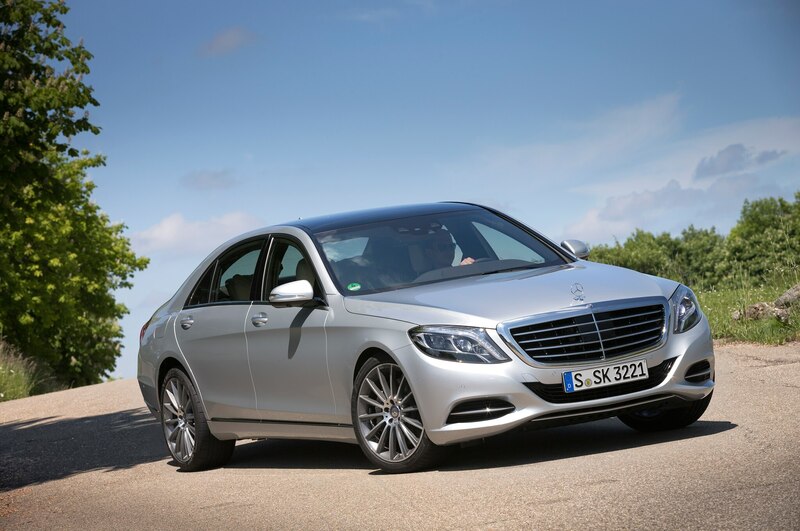 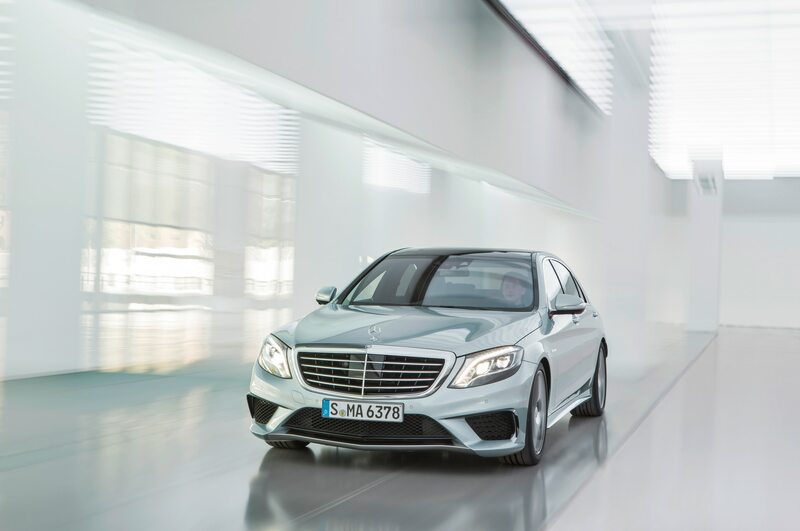 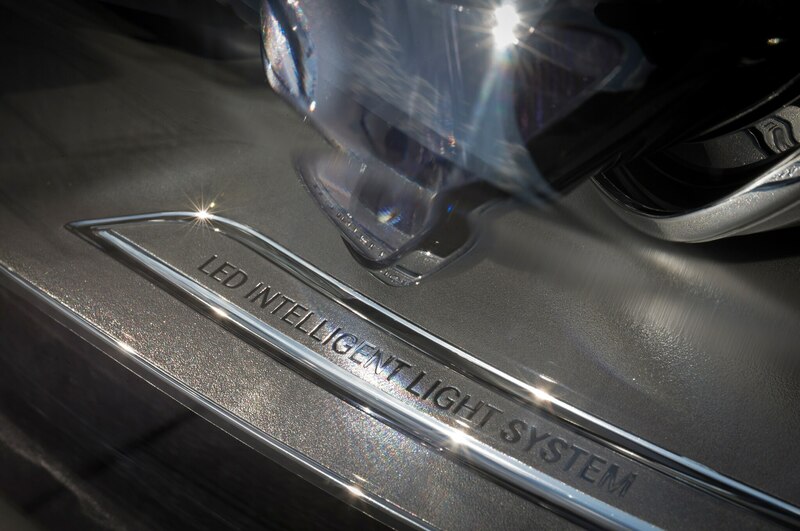 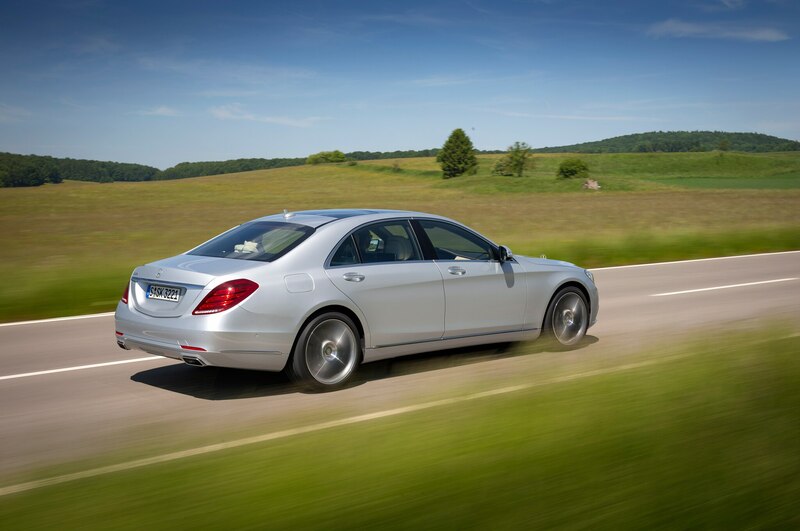 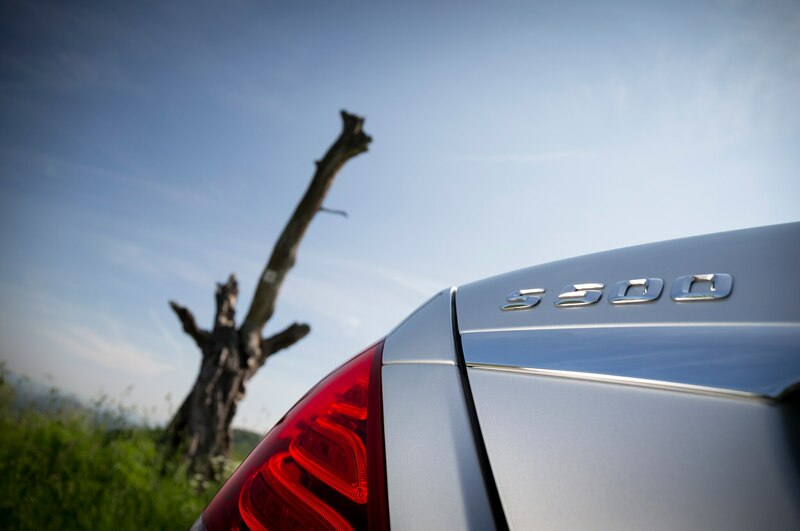 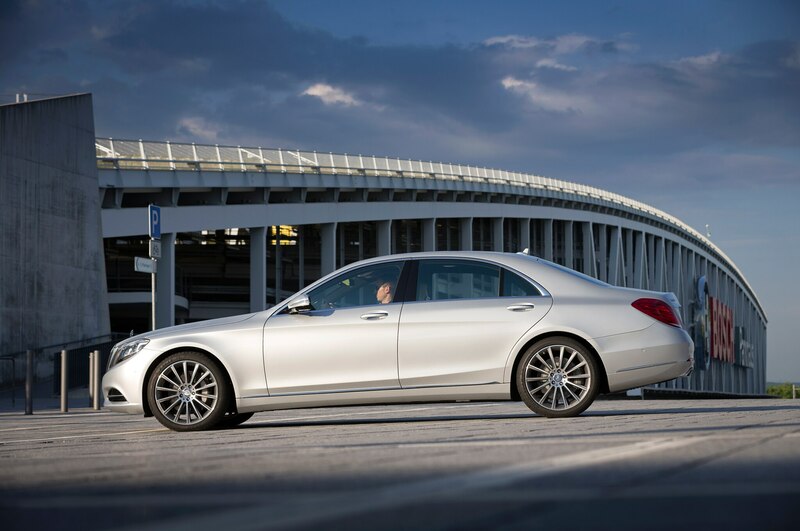 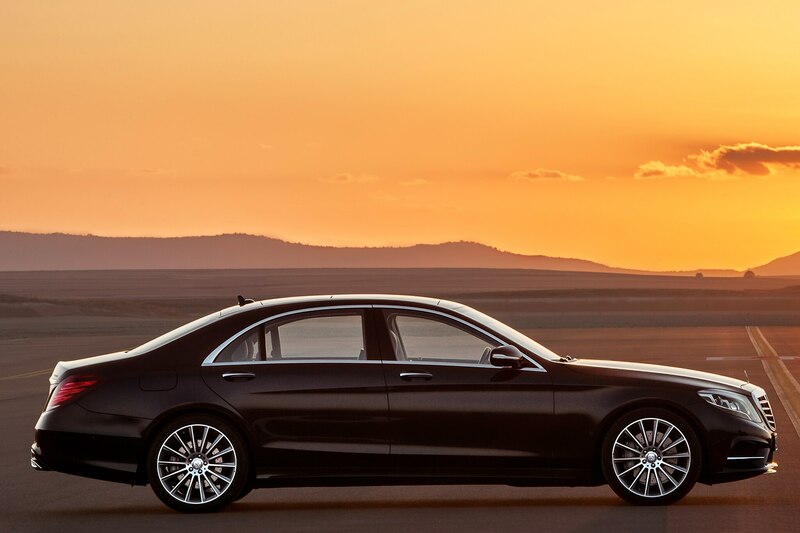 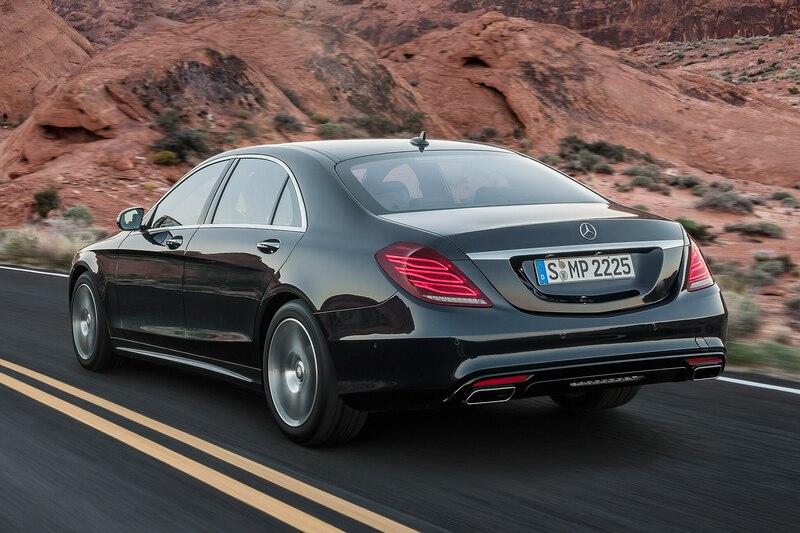 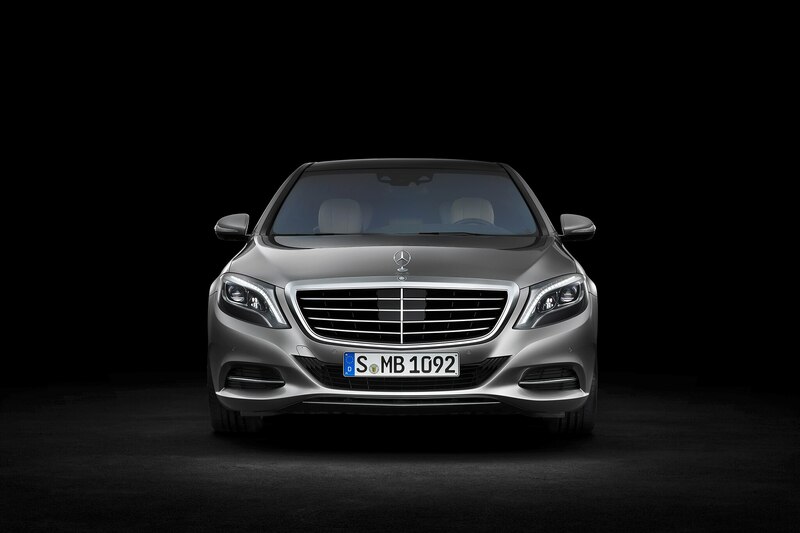 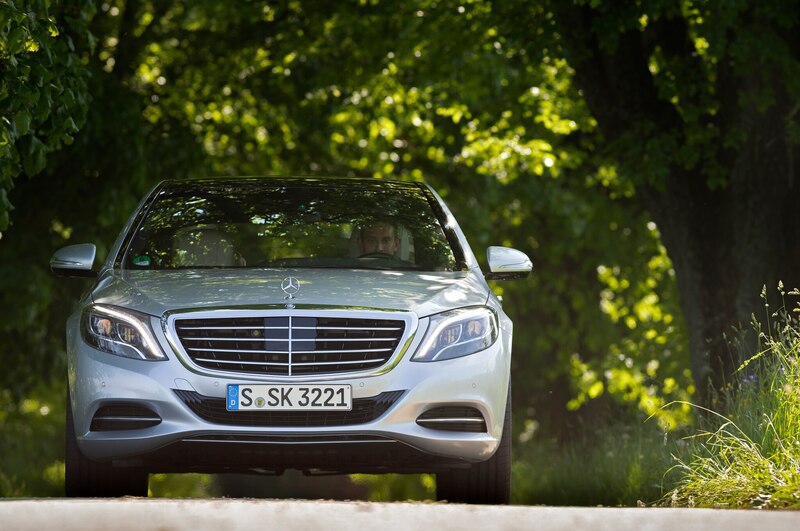 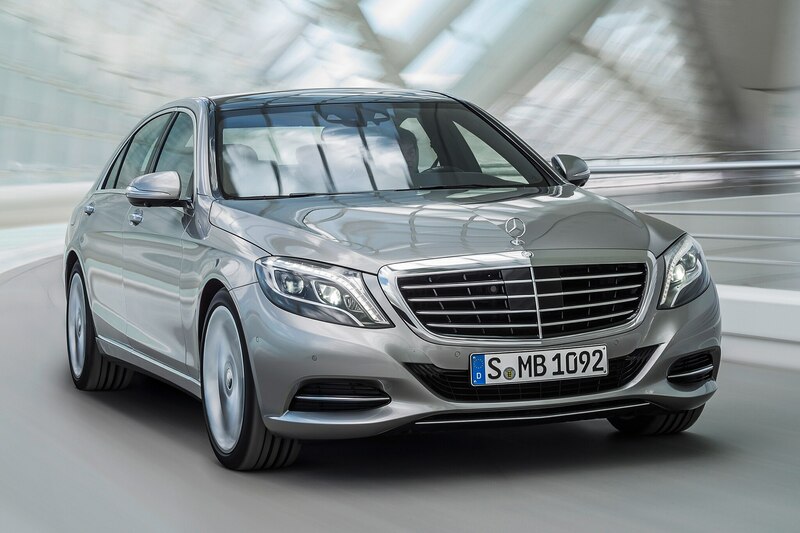 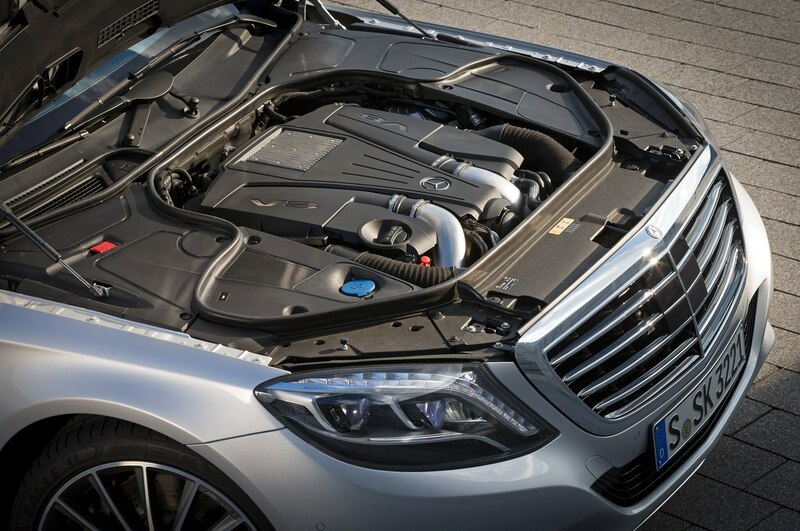 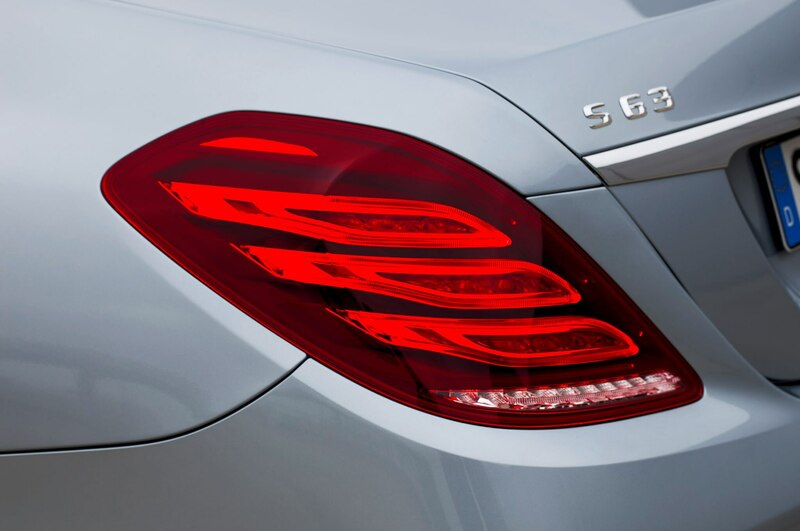 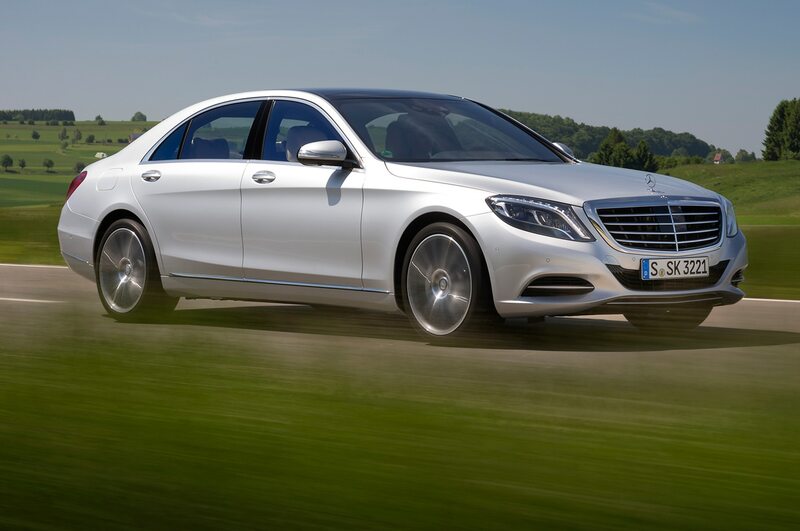 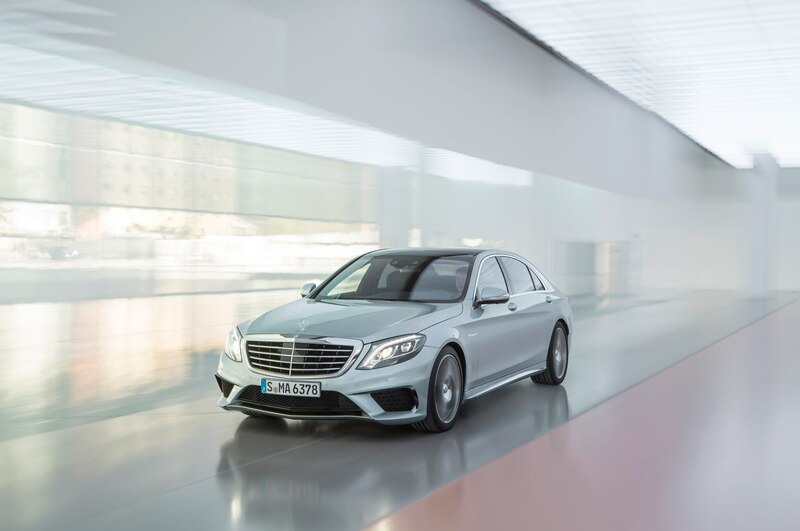 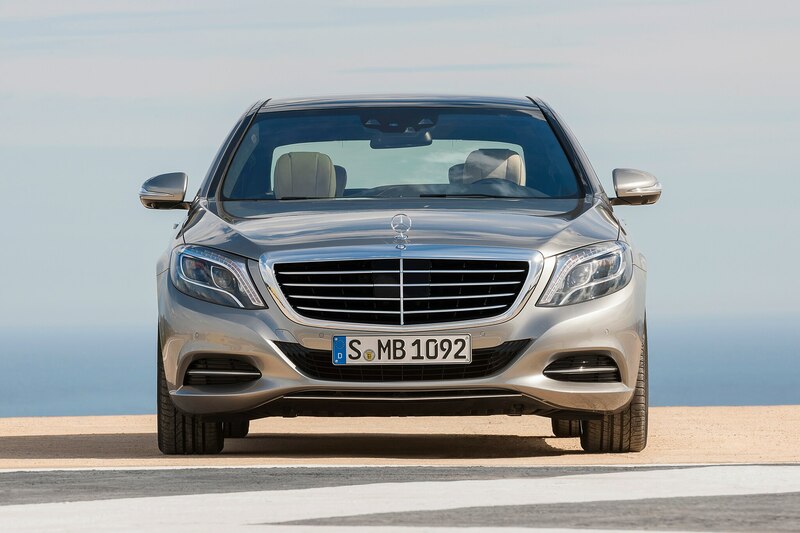 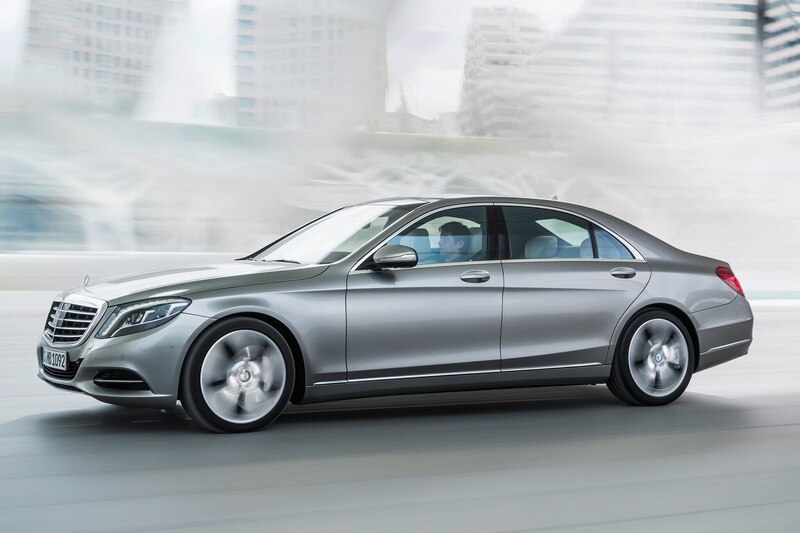 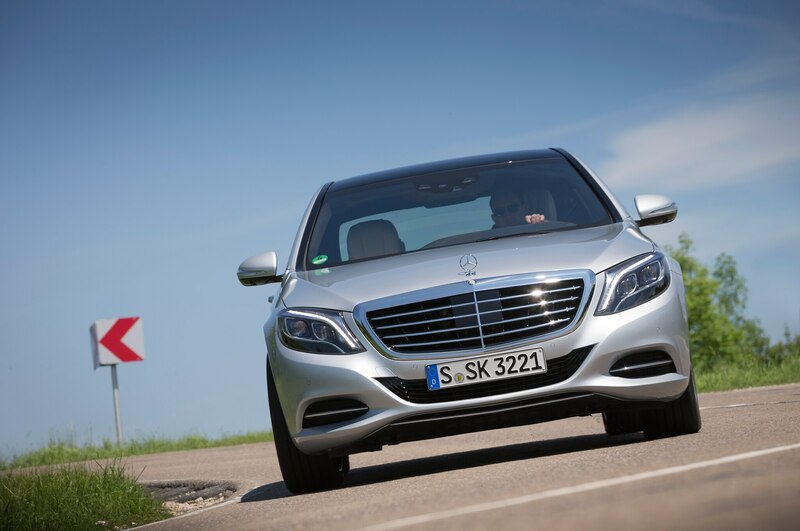 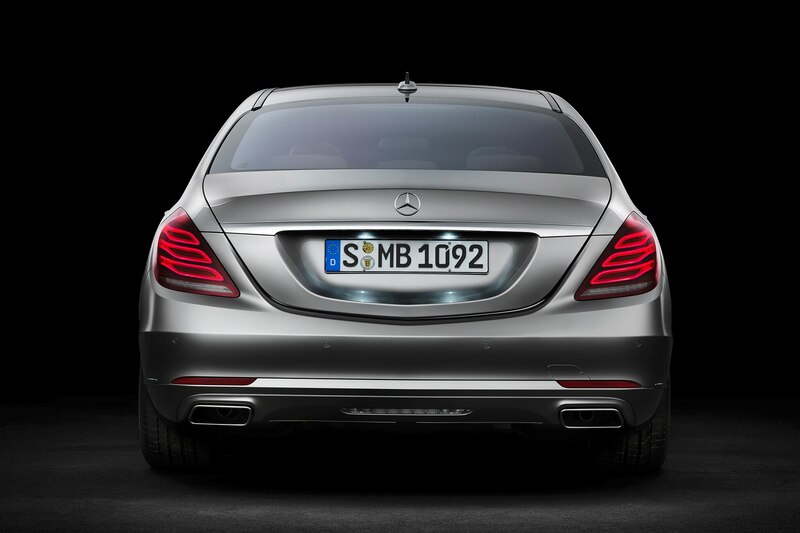 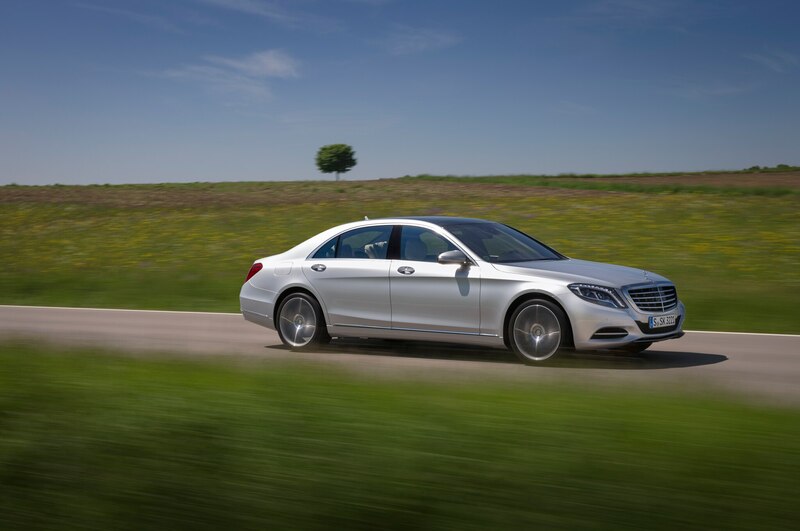 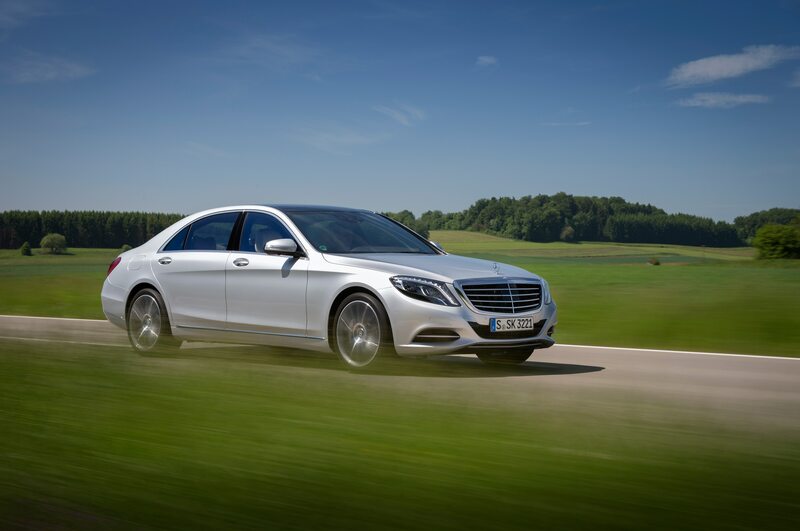 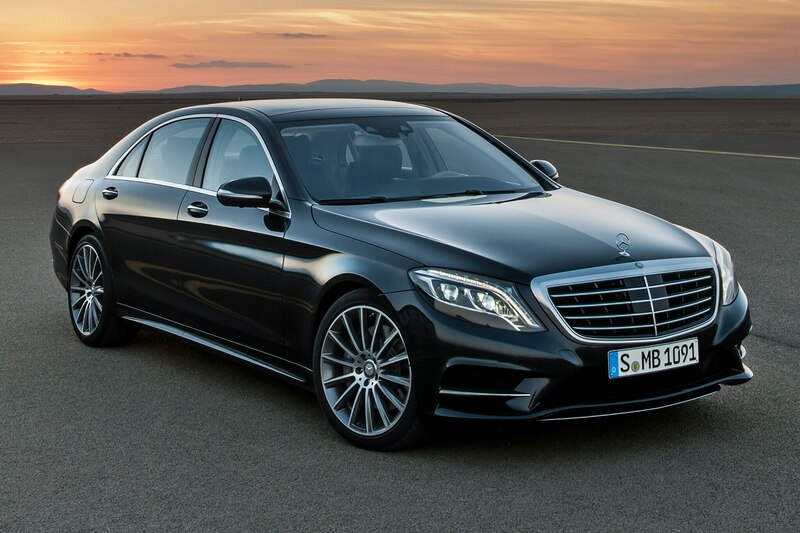 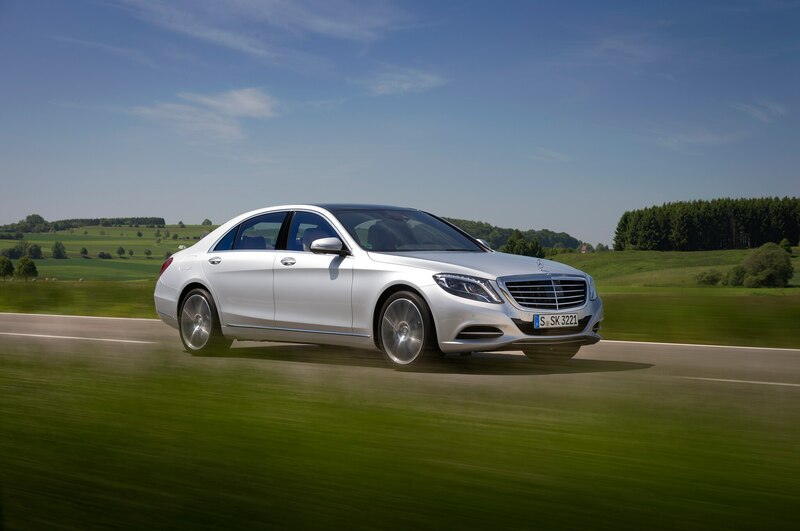 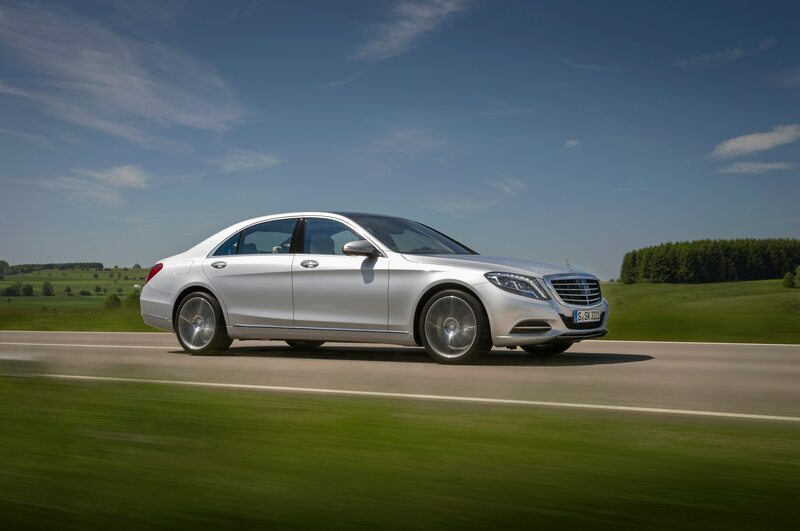 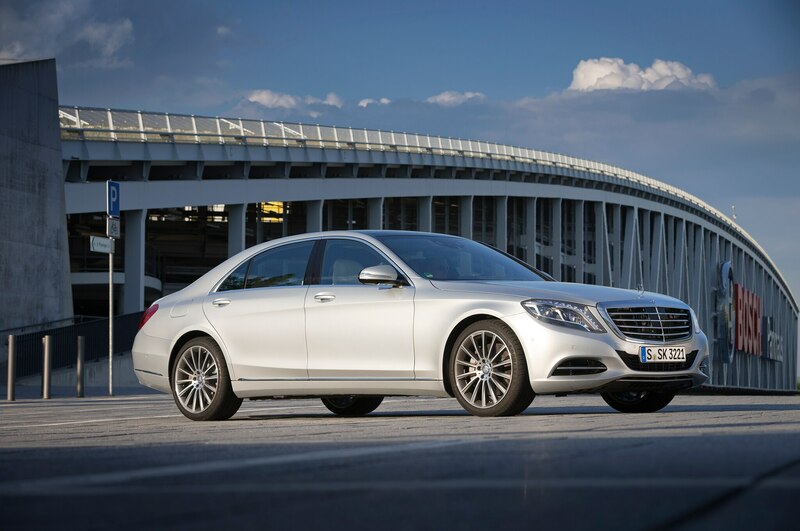 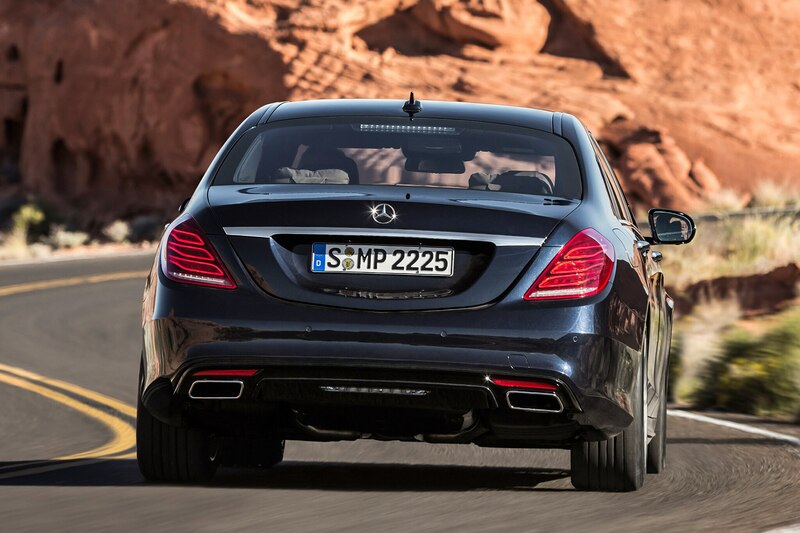 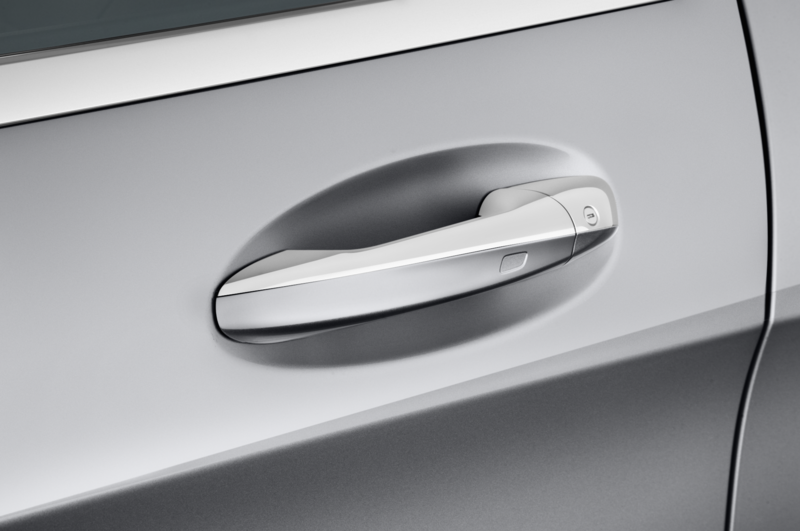 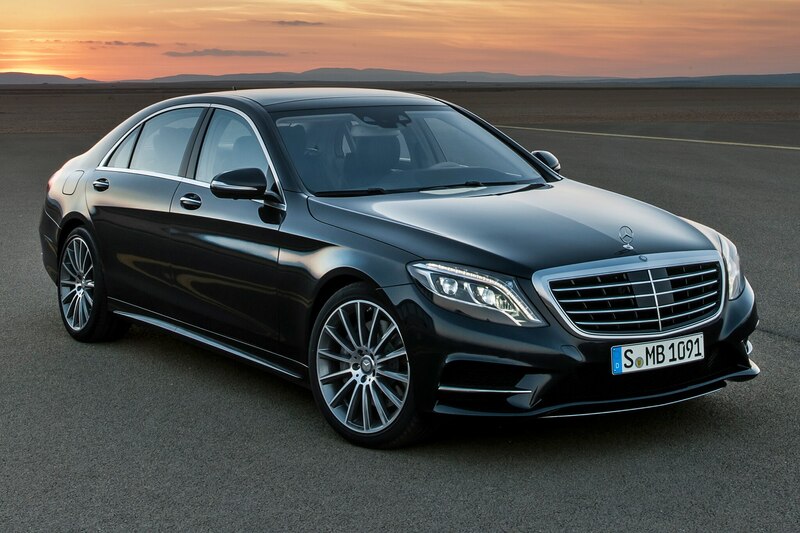 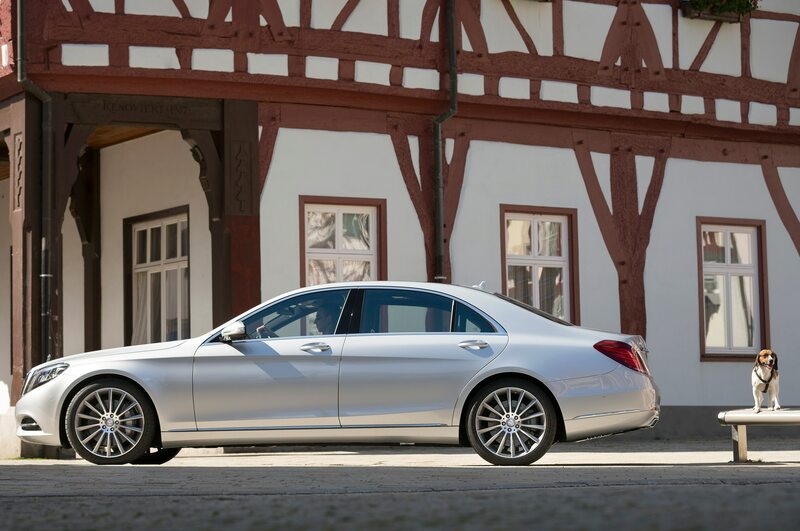 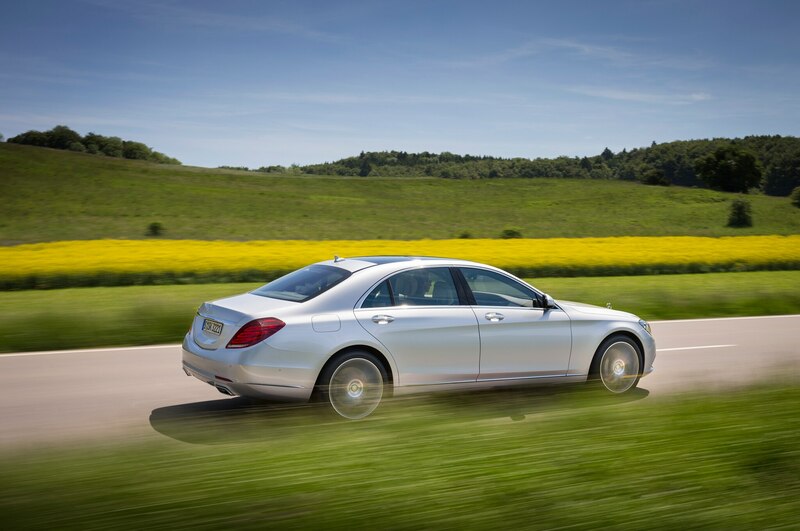 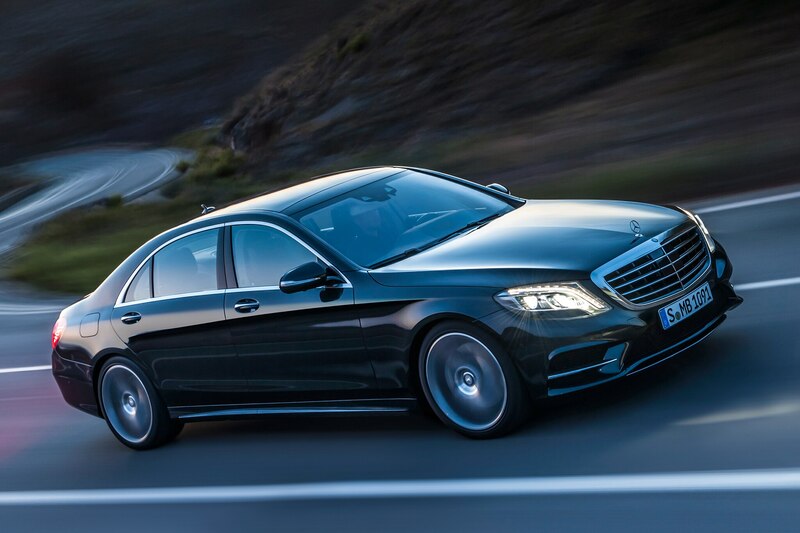 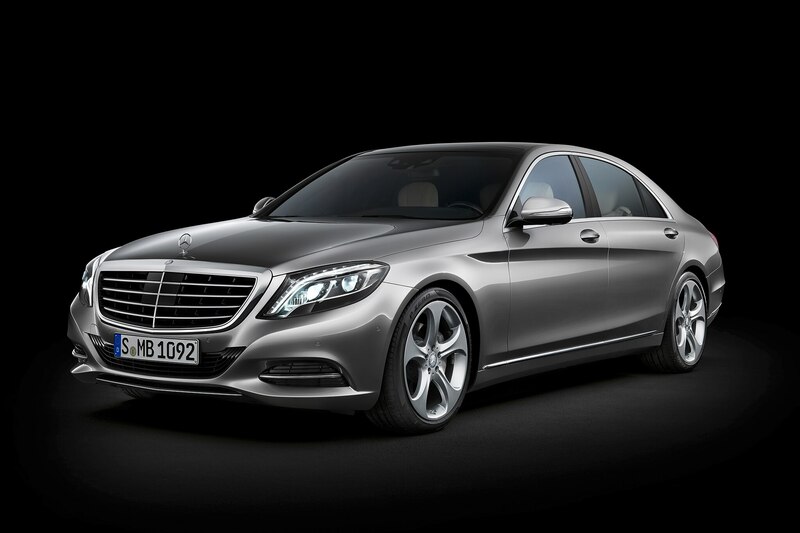 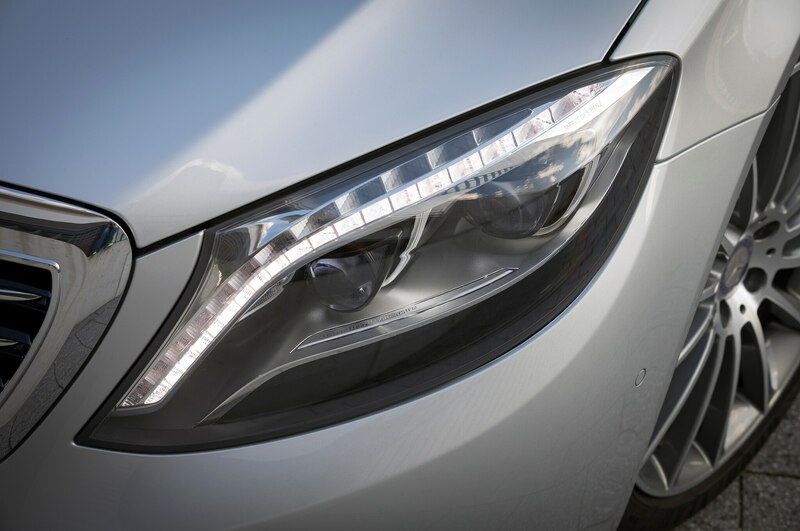 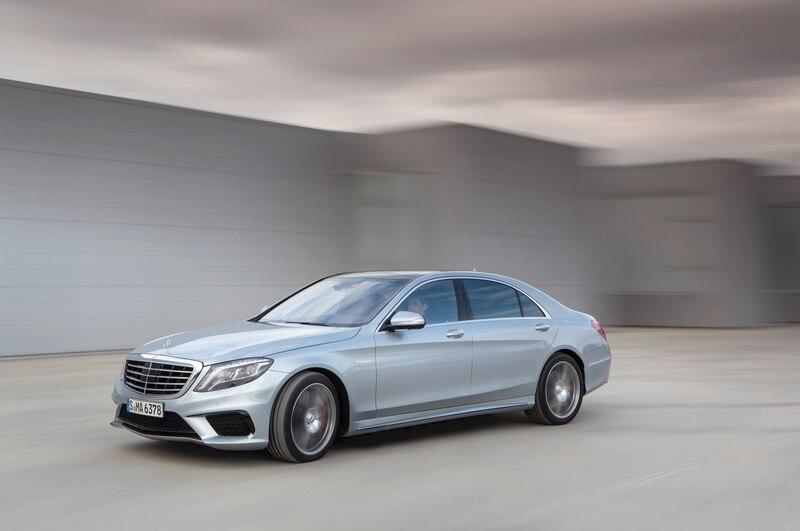 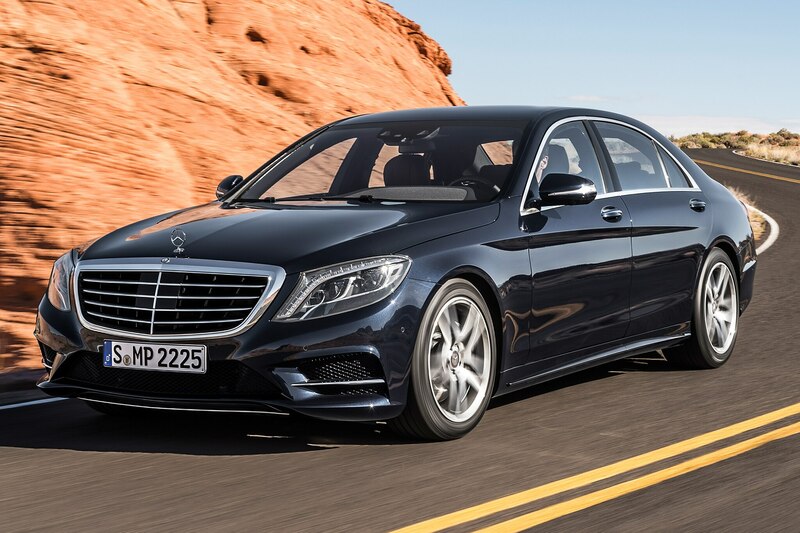 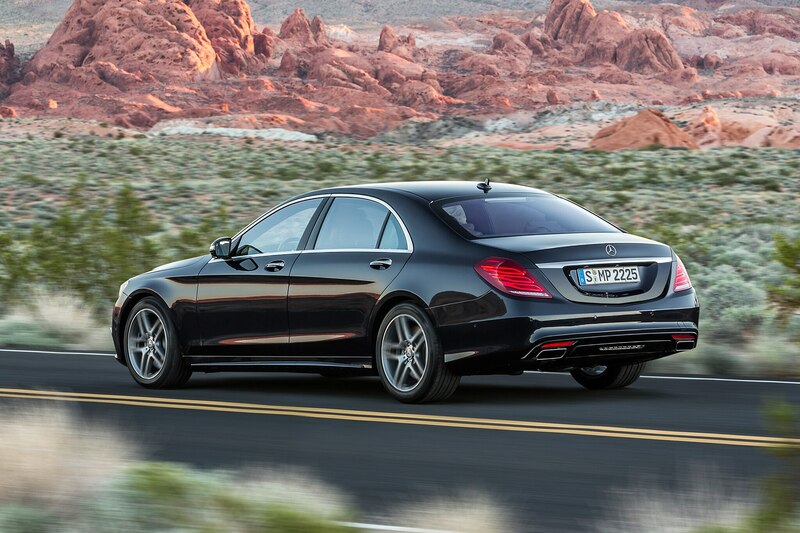 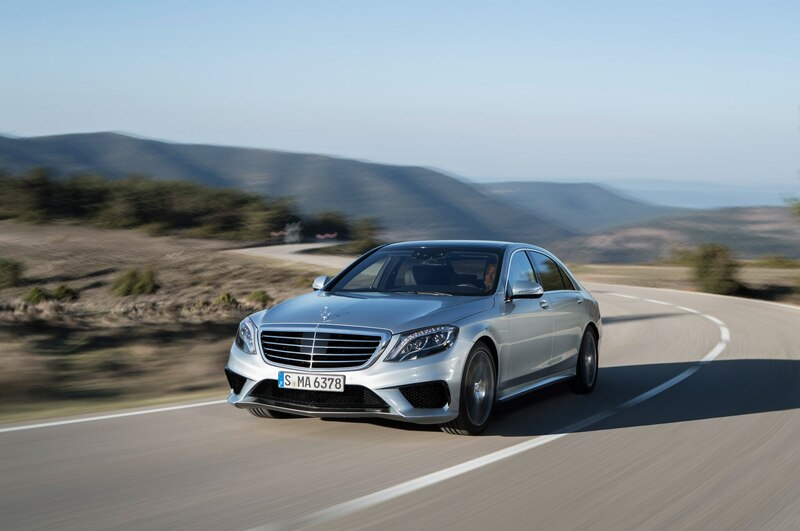 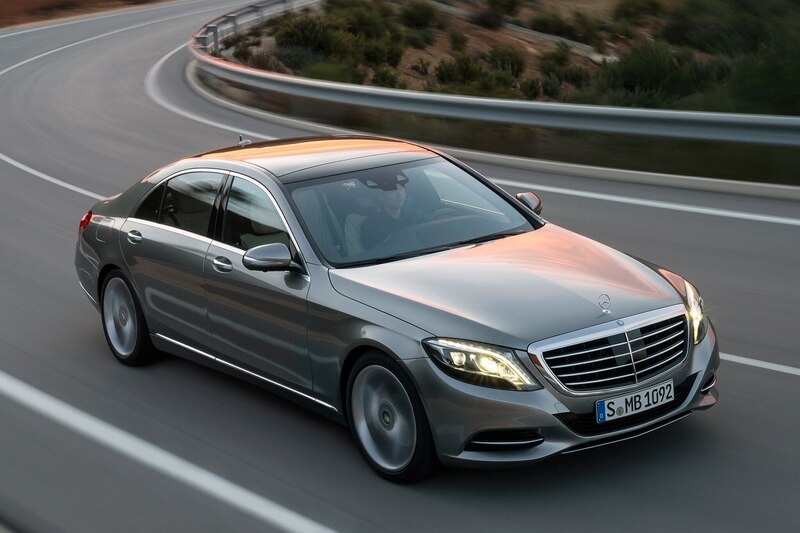 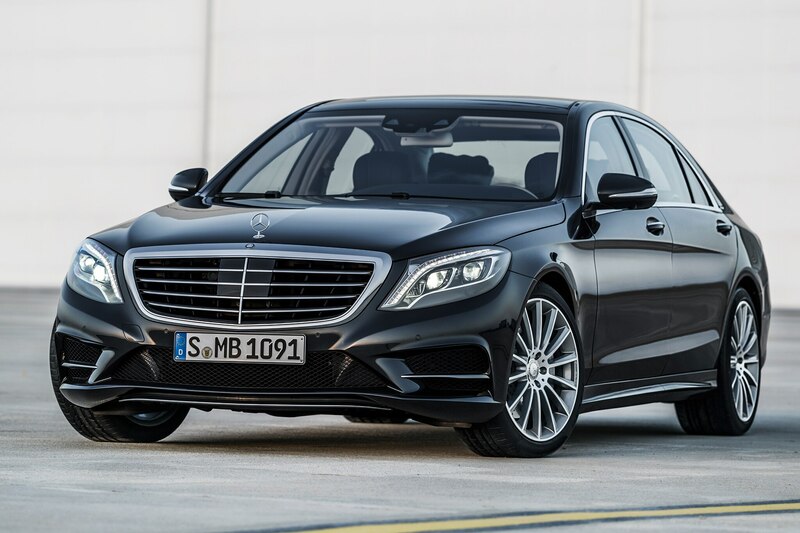 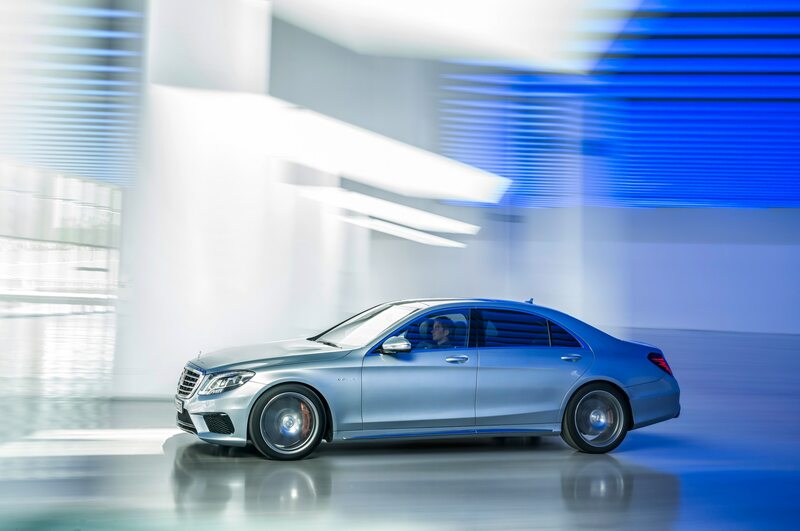 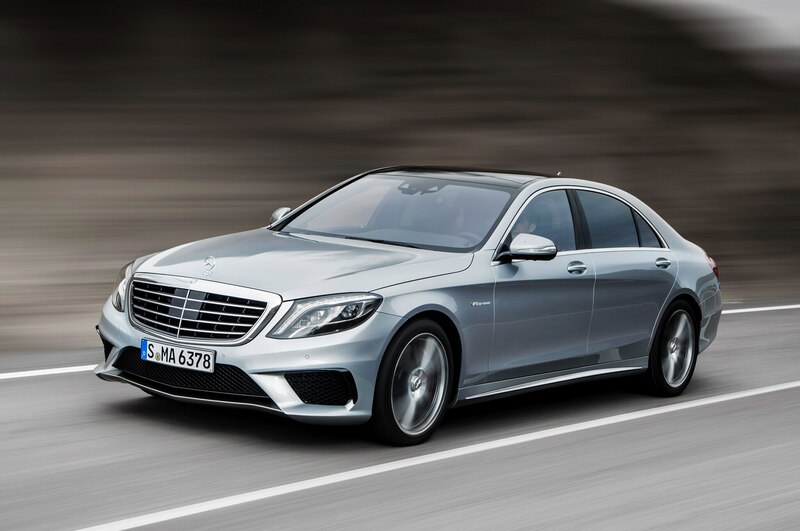 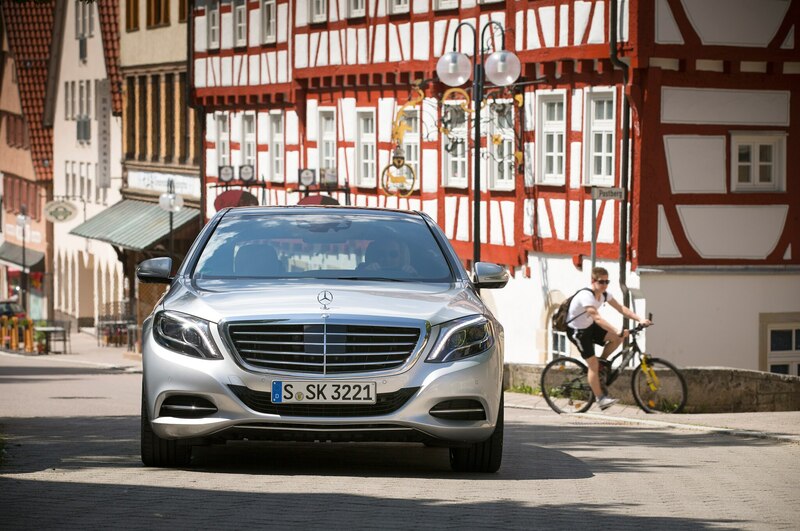 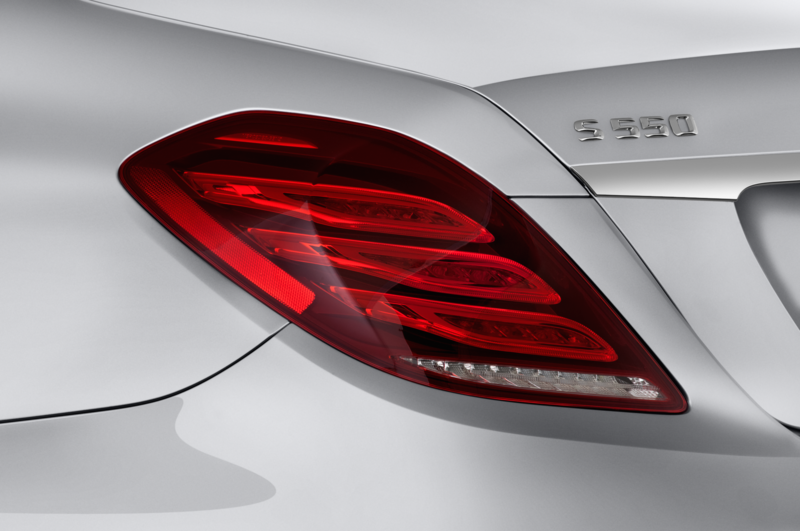 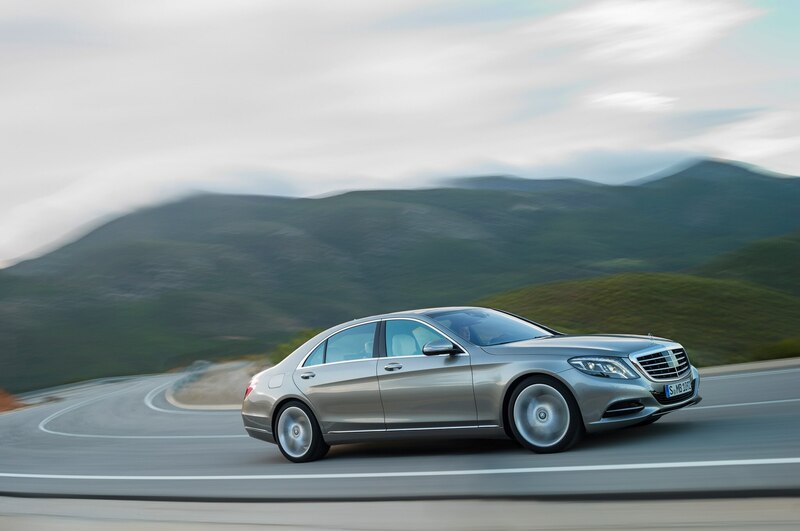 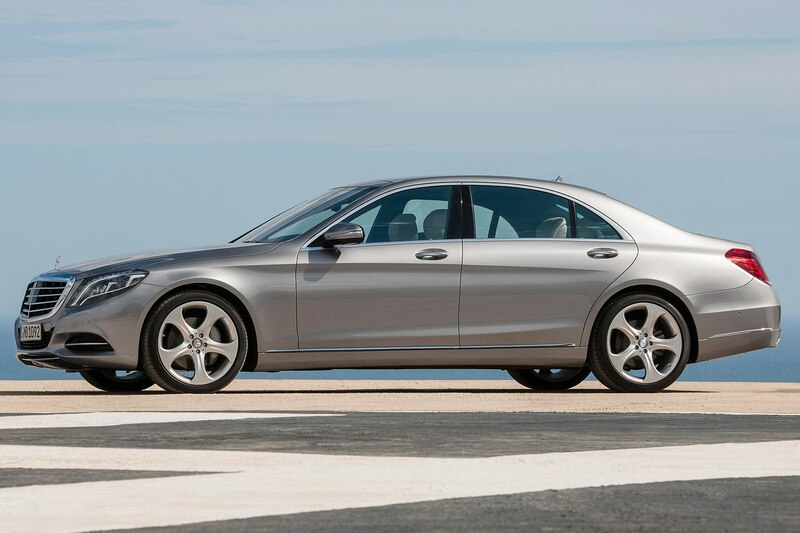 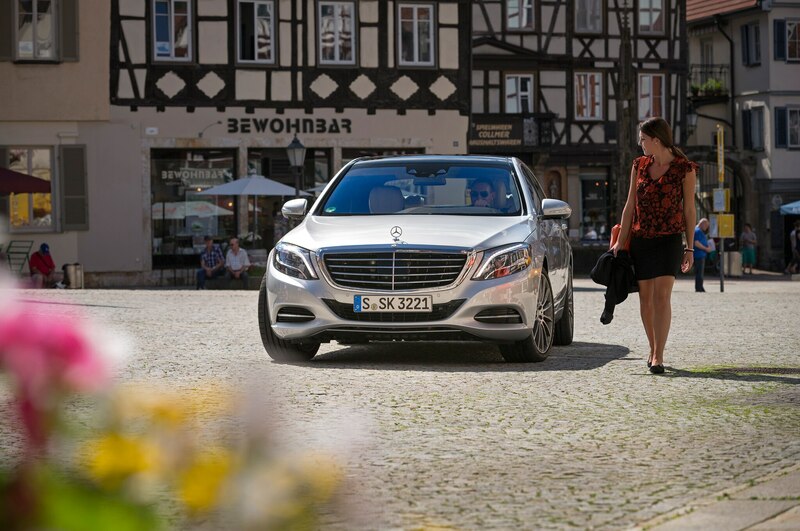 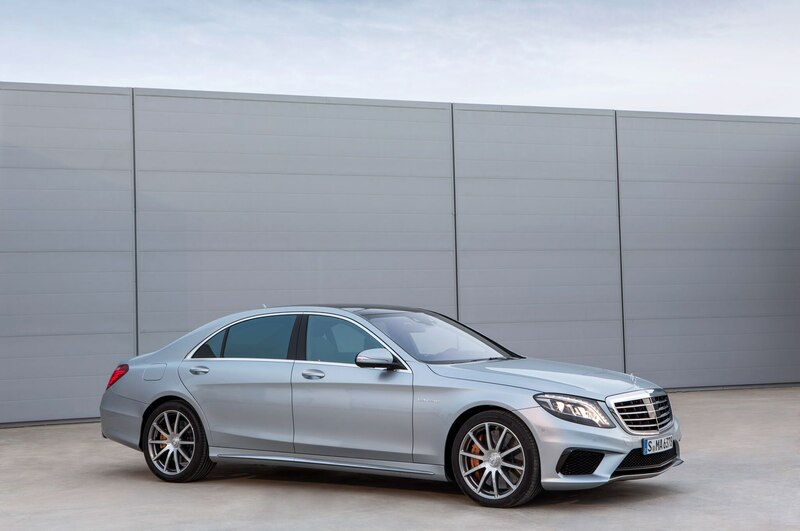 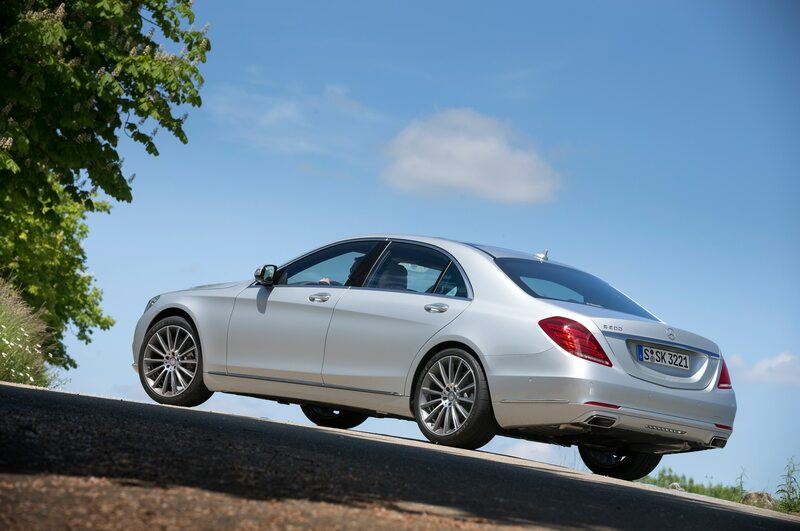 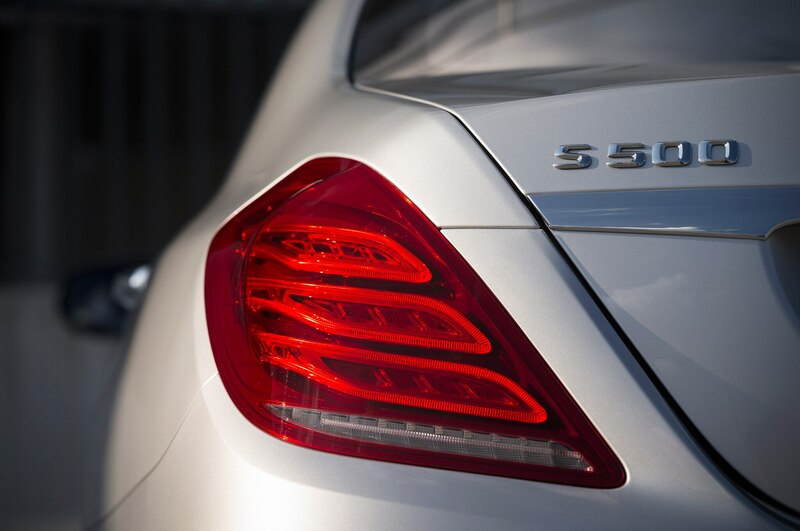 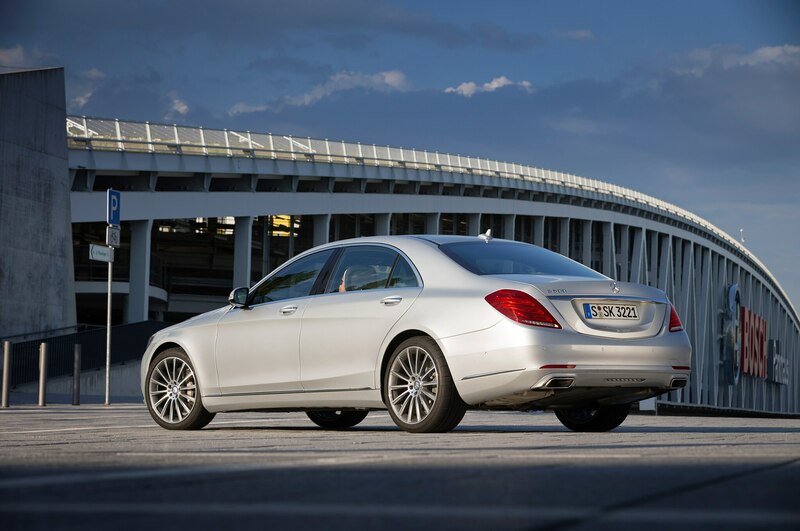 Strong demand means Mercedes-Benz S-Class production will be increased.